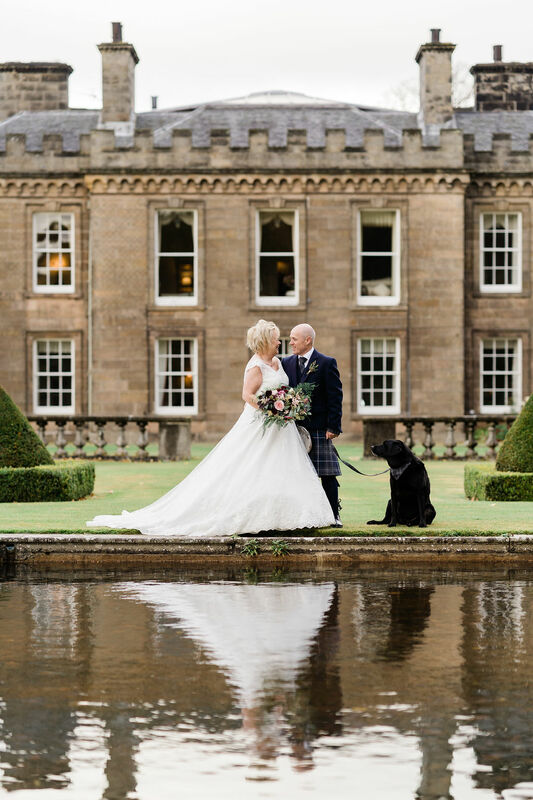 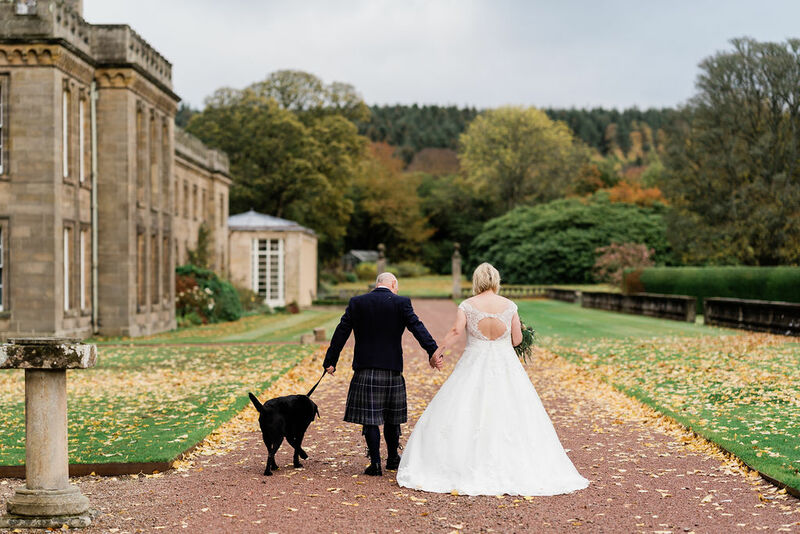 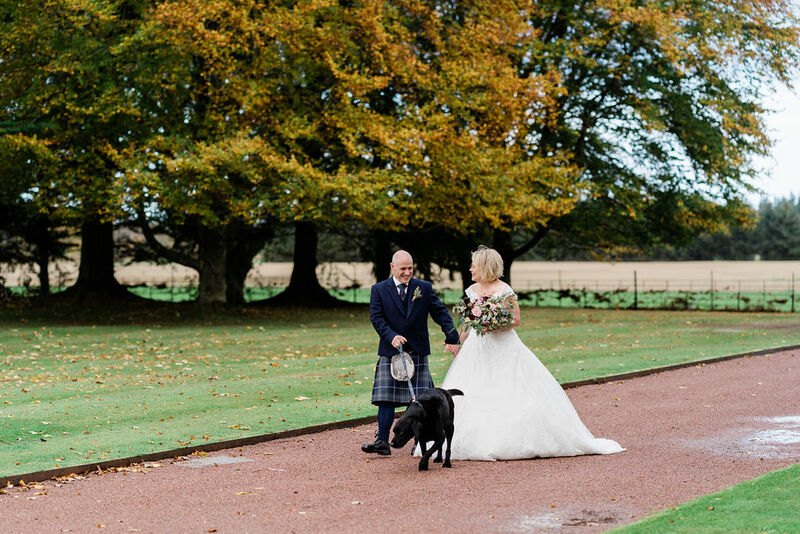 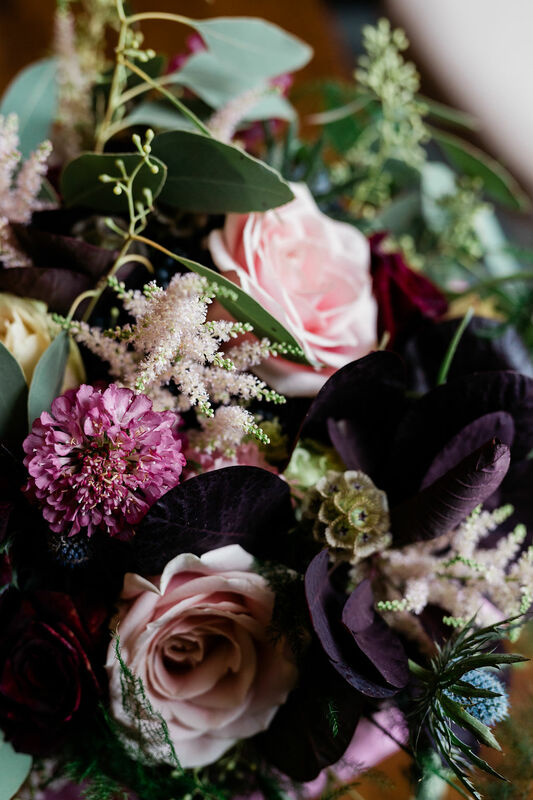 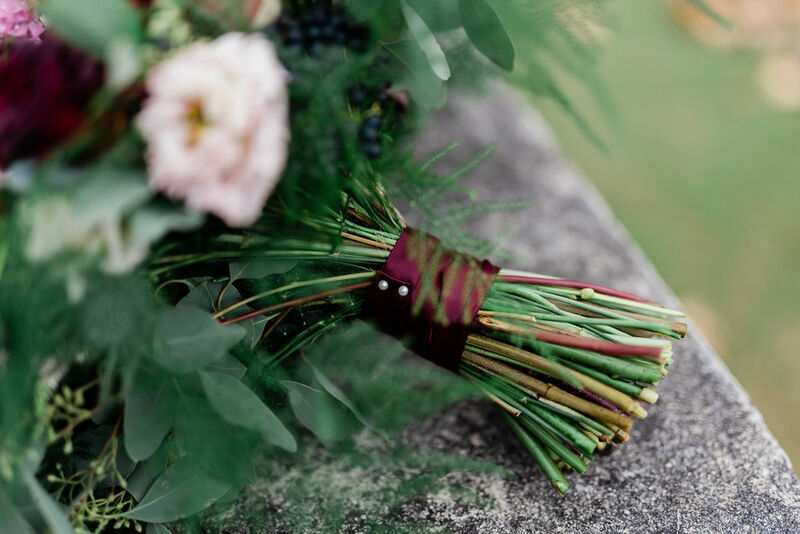 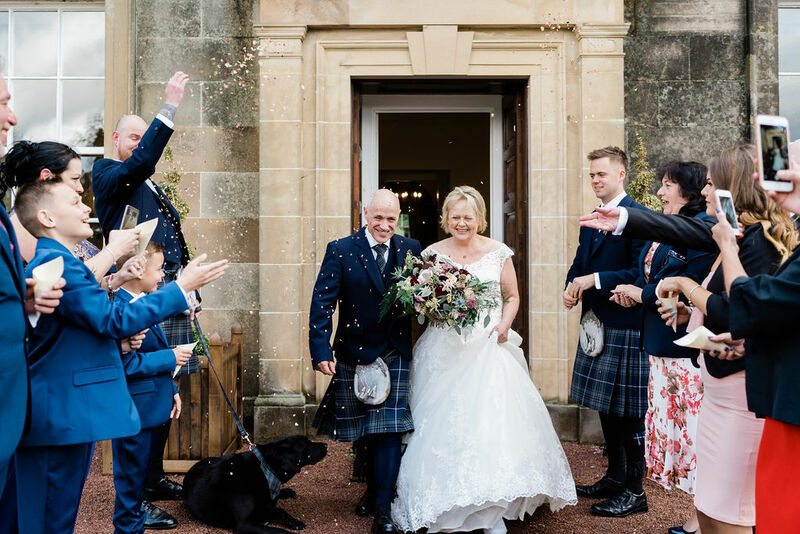 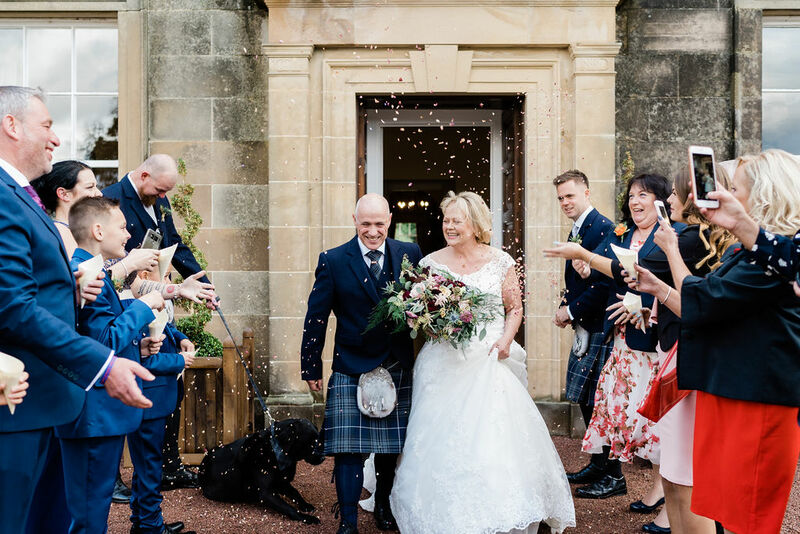 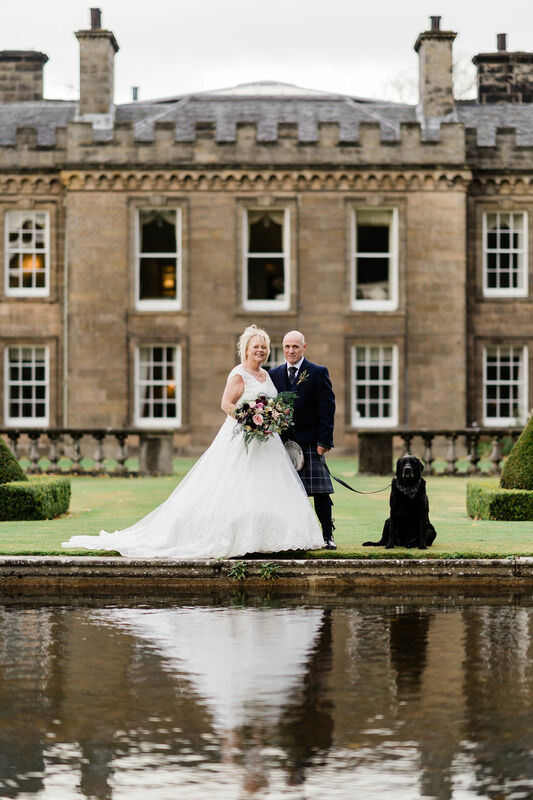 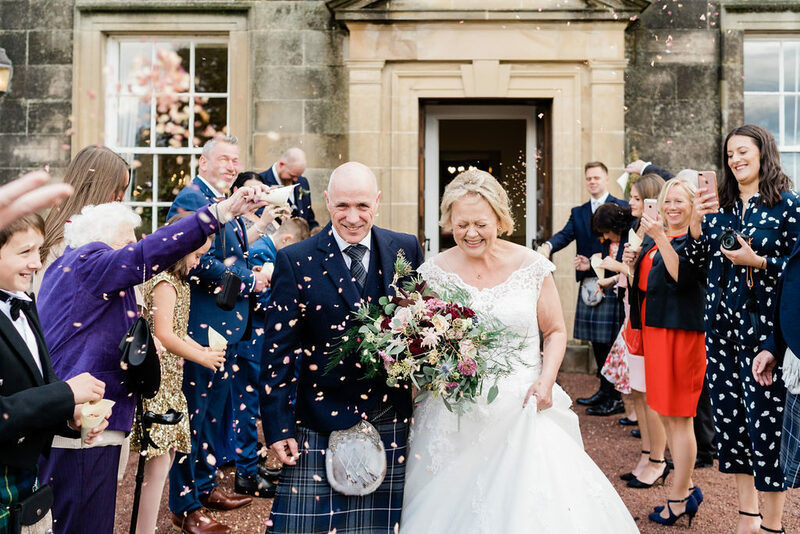 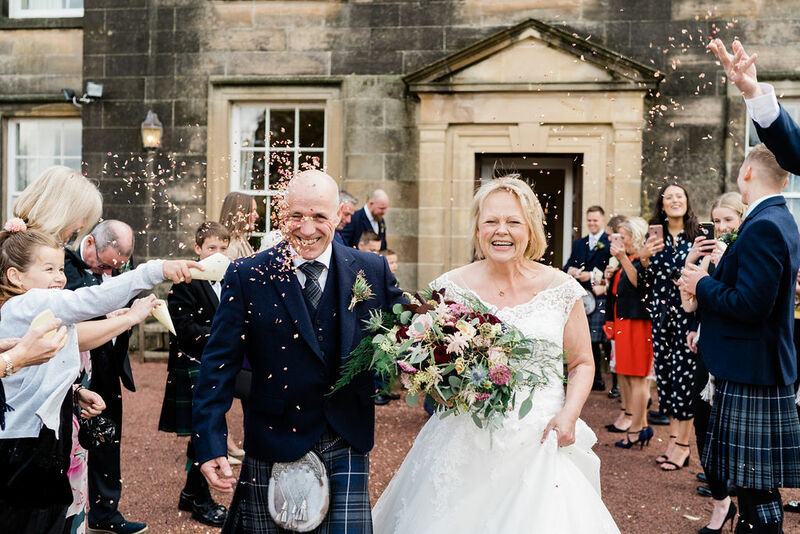 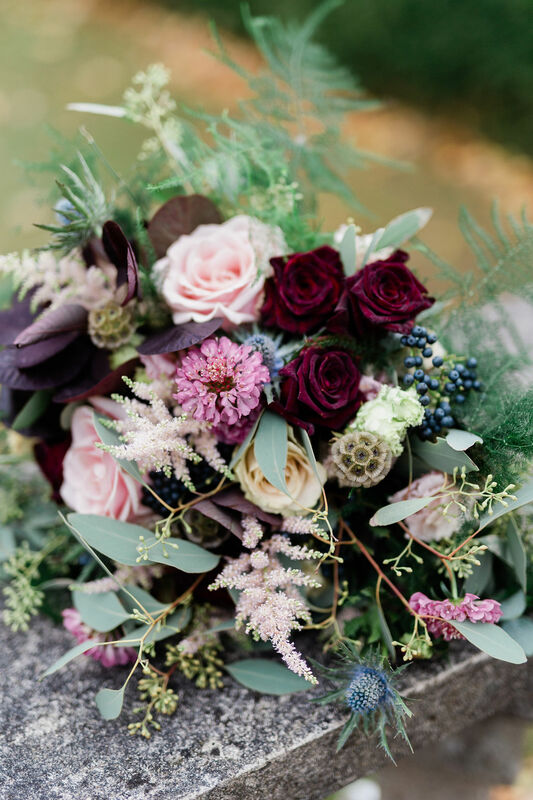 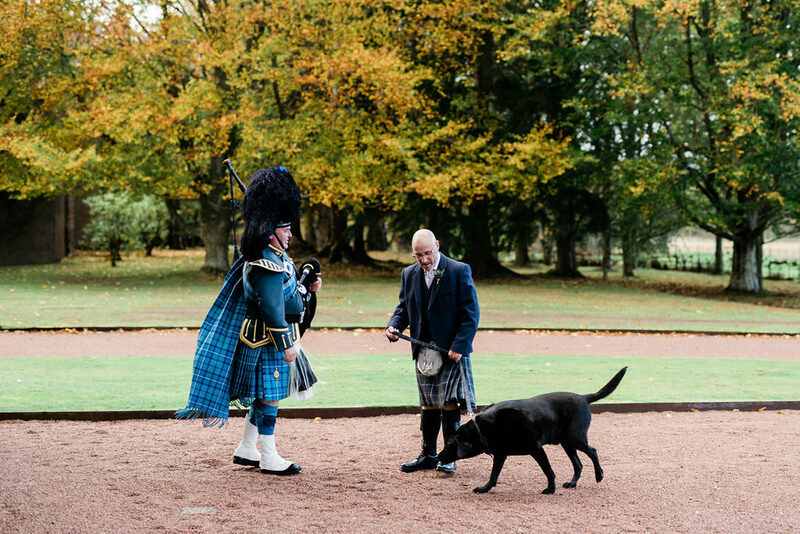 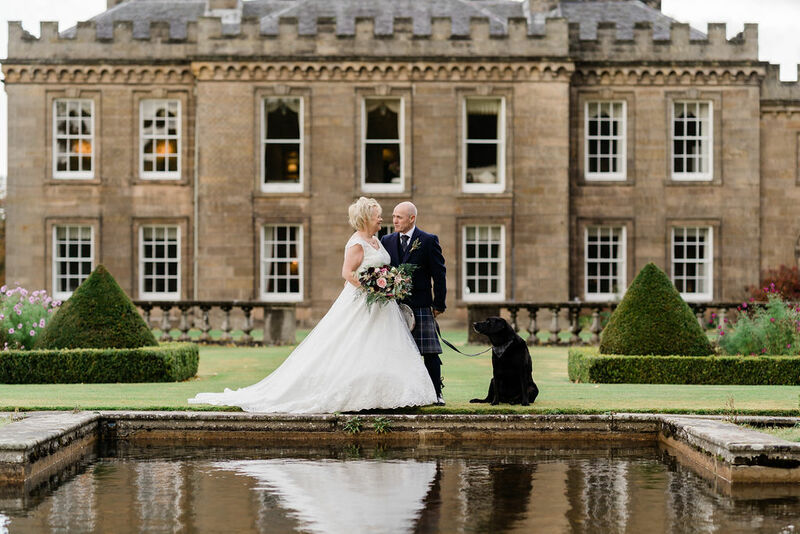 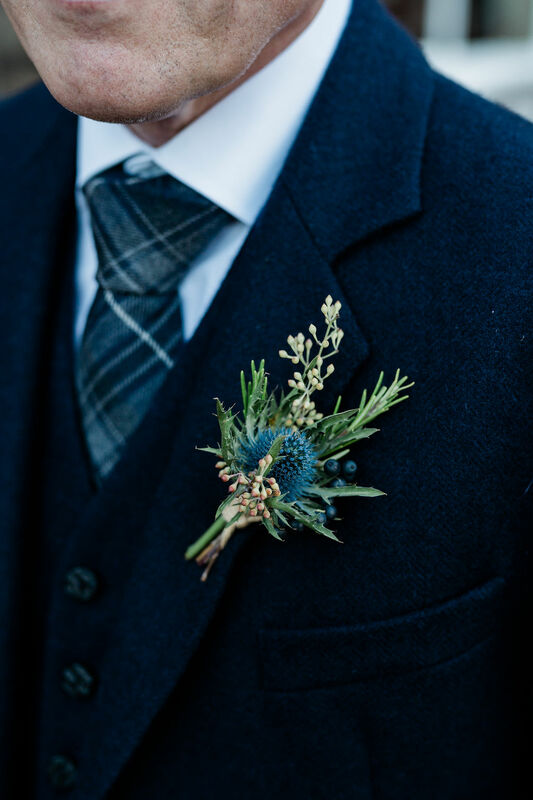 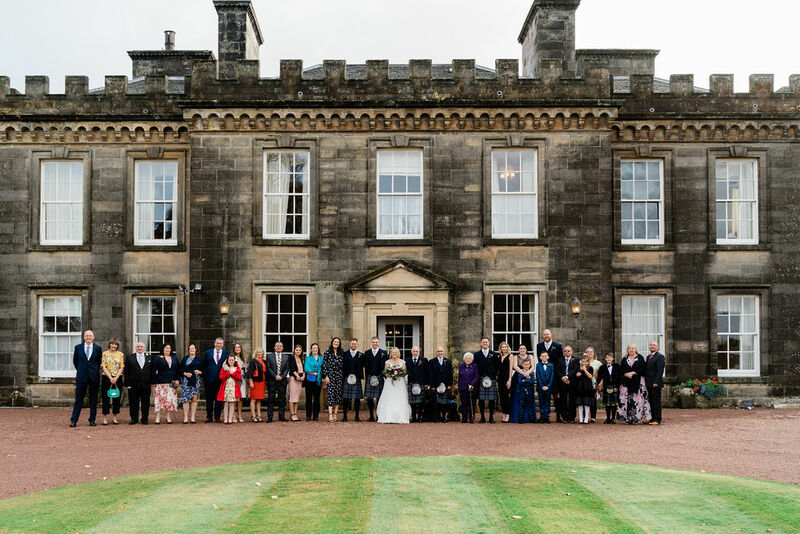 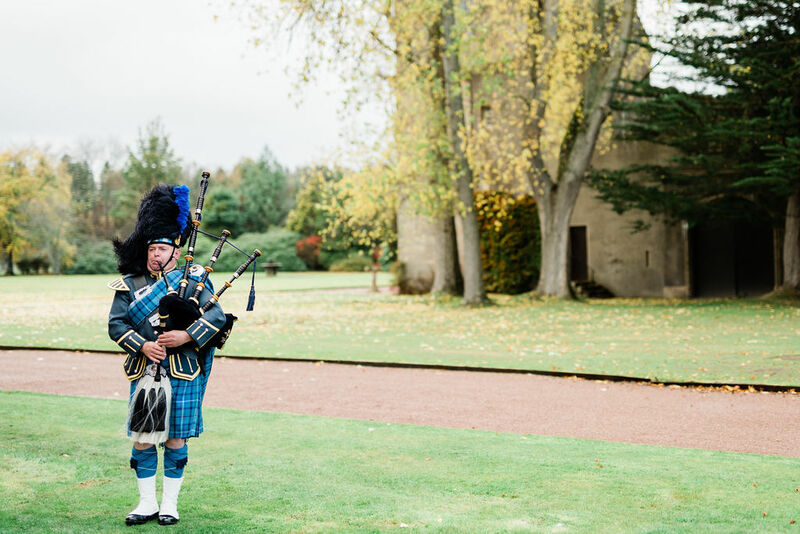 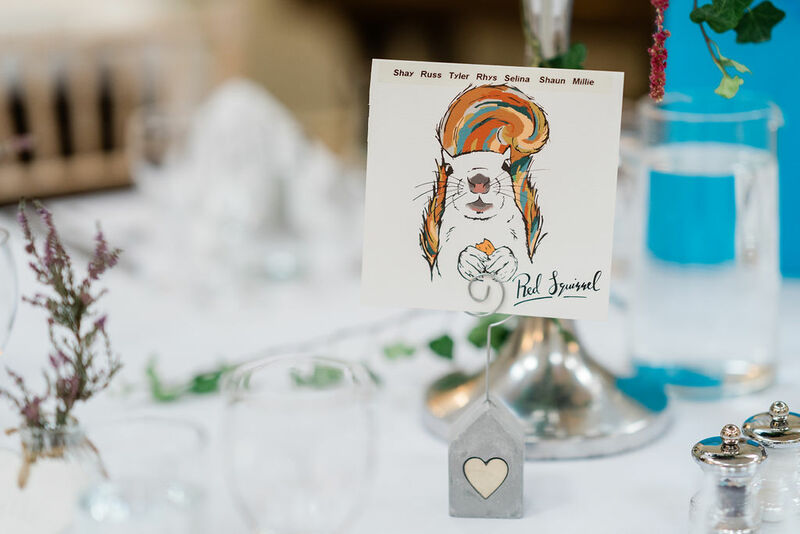 October is one of our favourite wedding seasons at Gordon Castle – full of colour and gorgeous sun-kissed evenings. 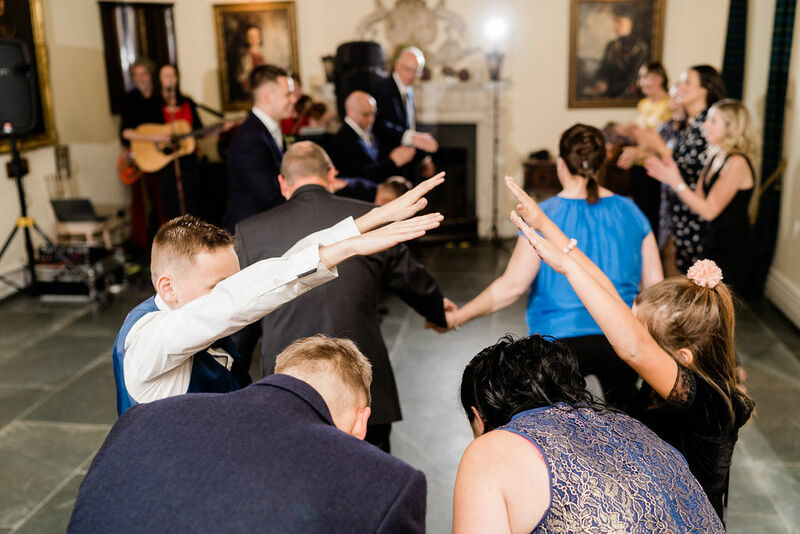 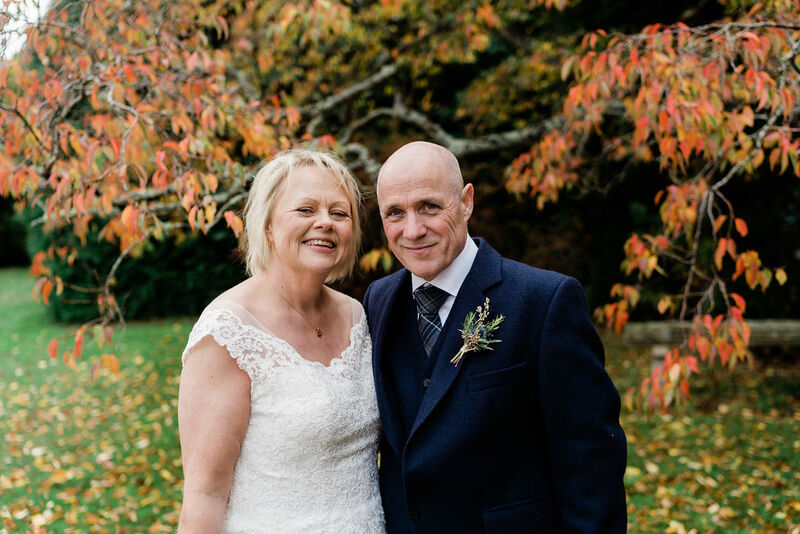 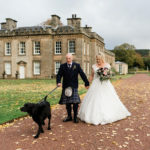 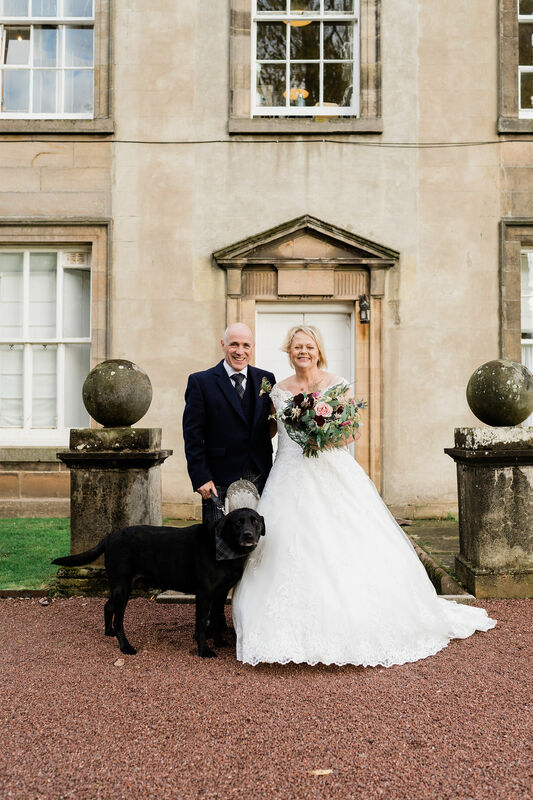 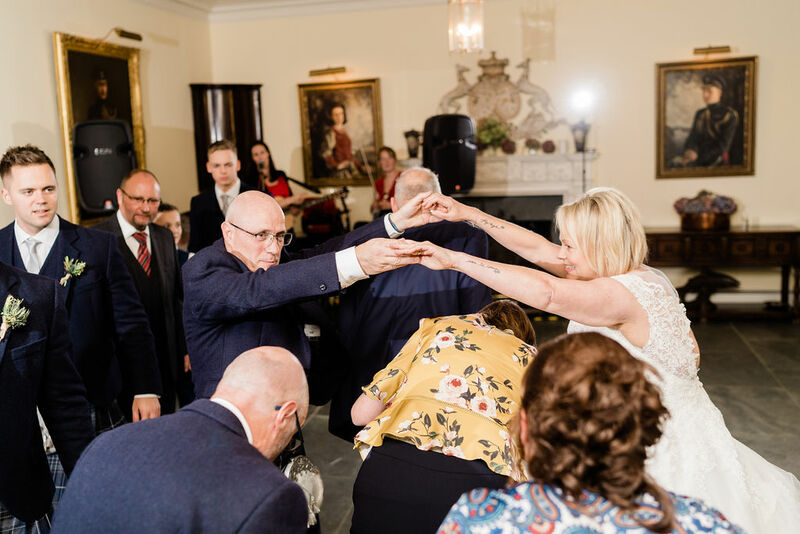 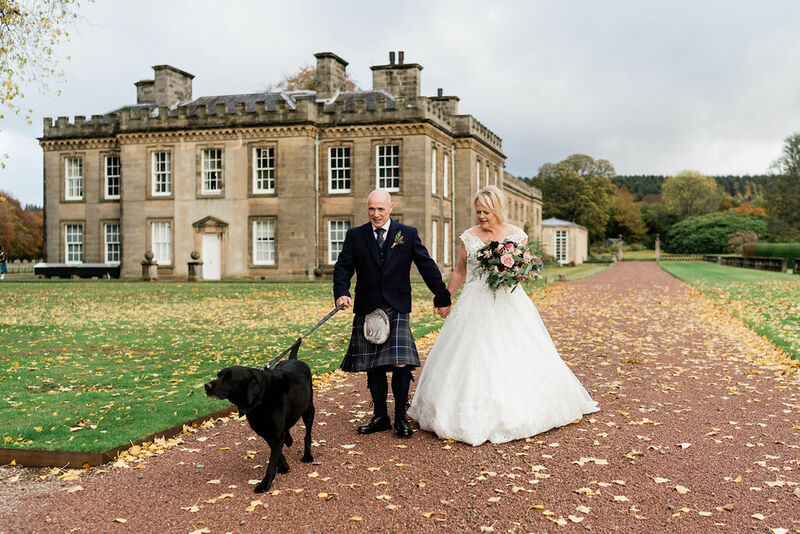 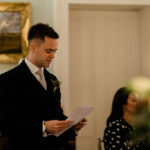 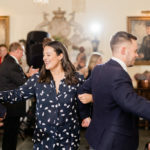 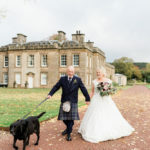 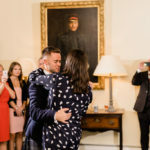 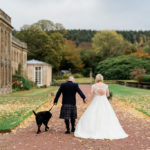 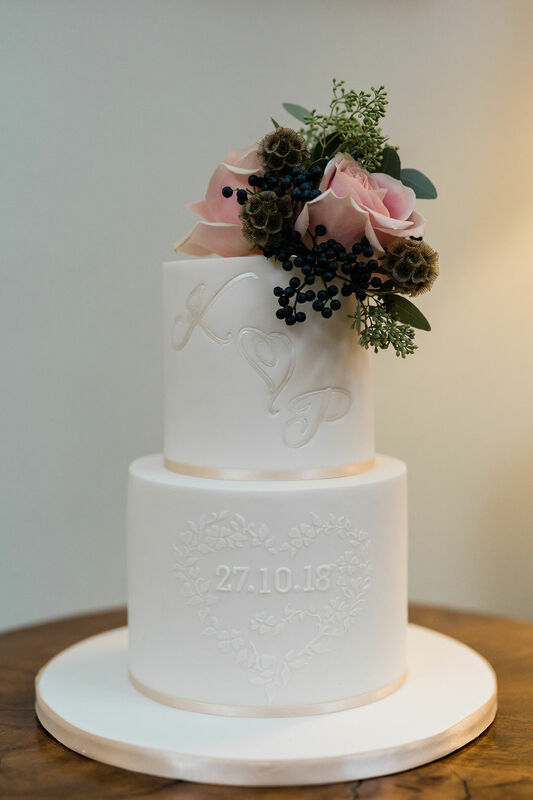 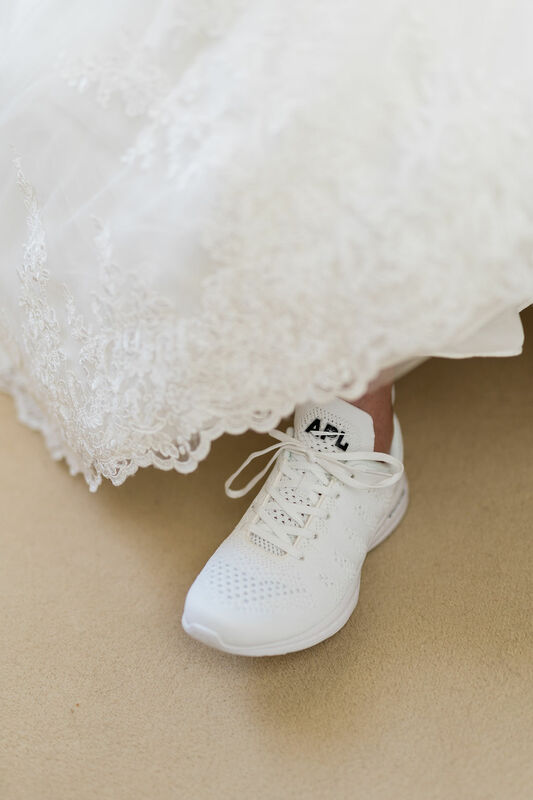 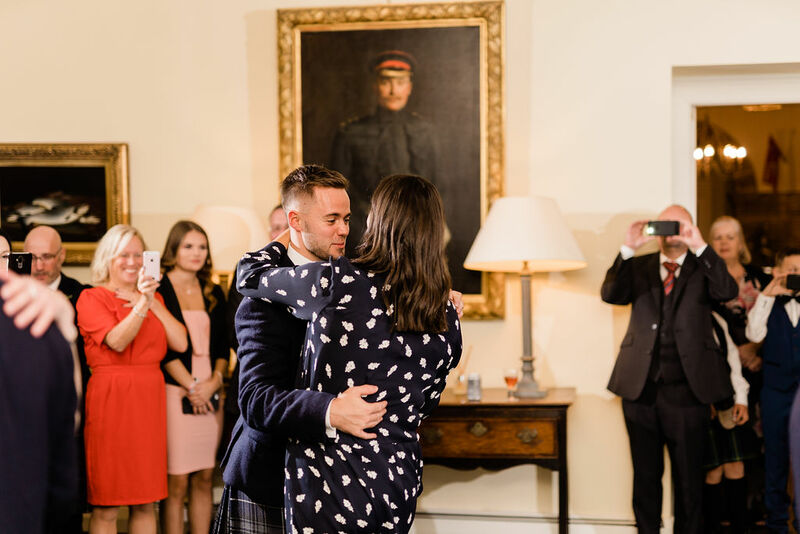 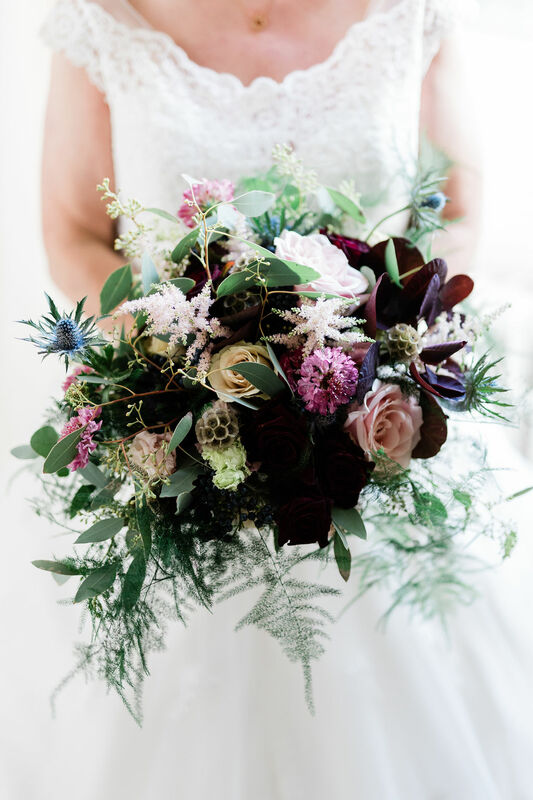 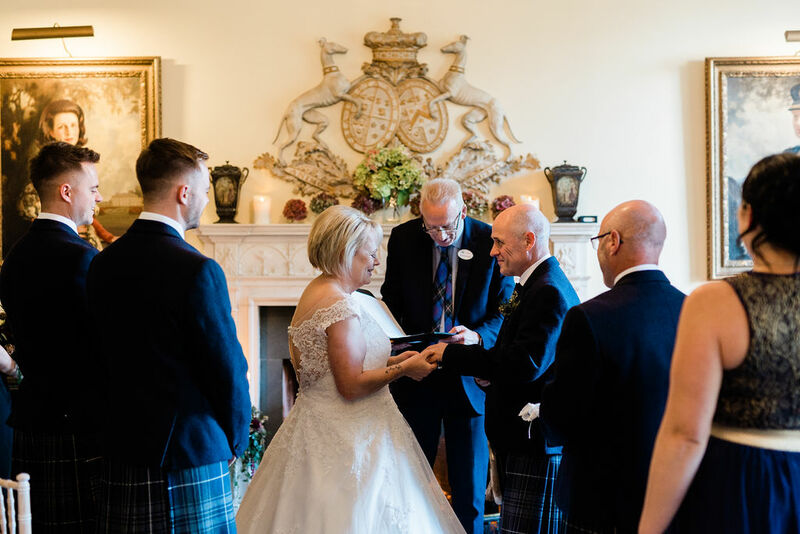 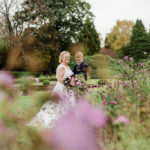 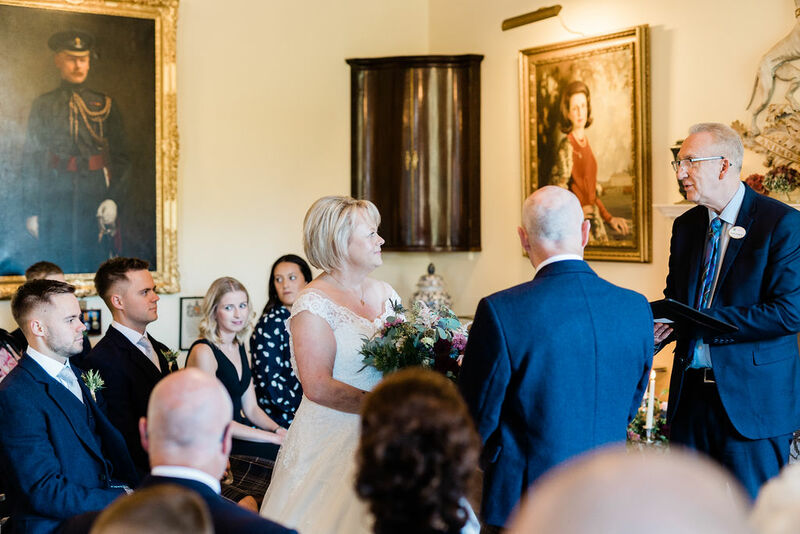 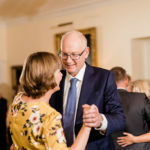 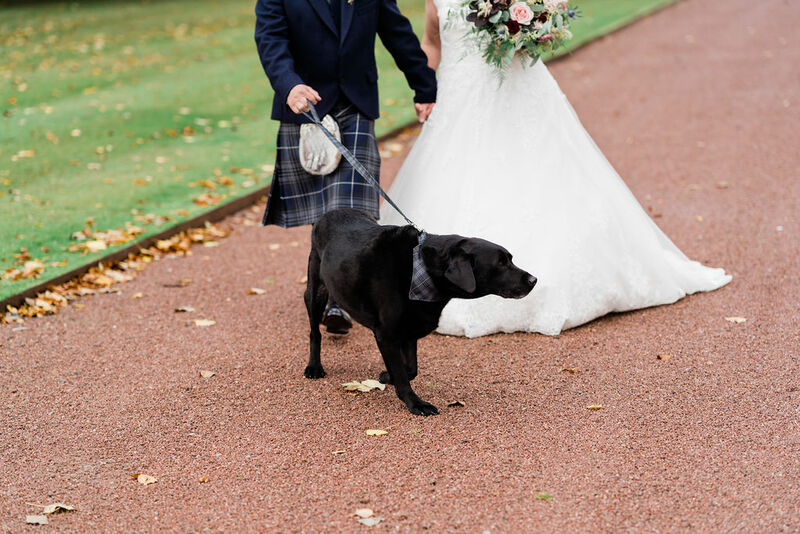 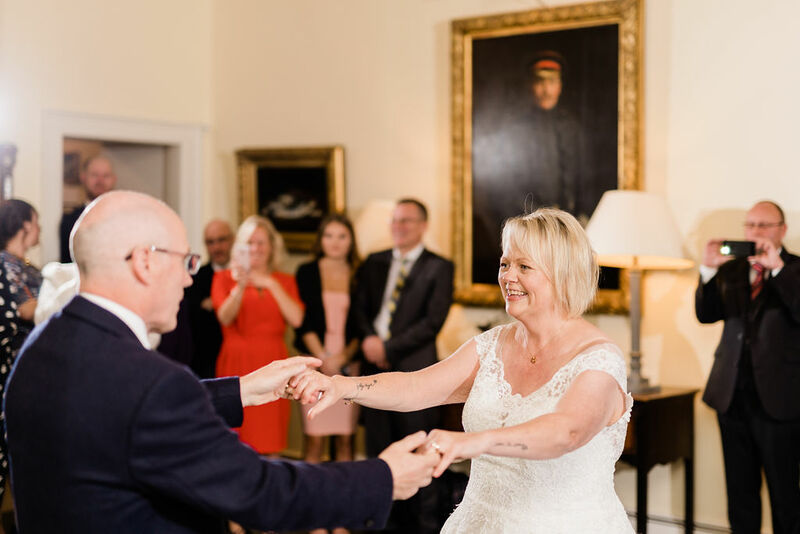 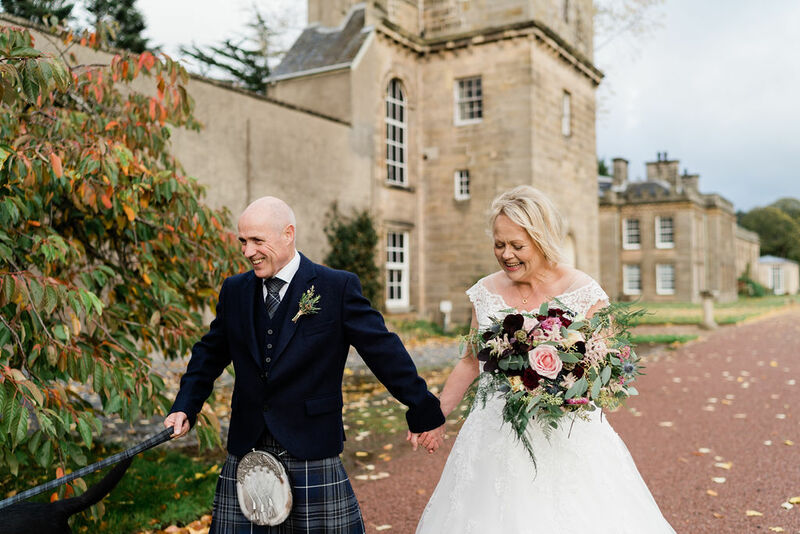 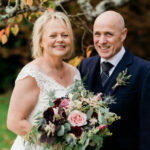 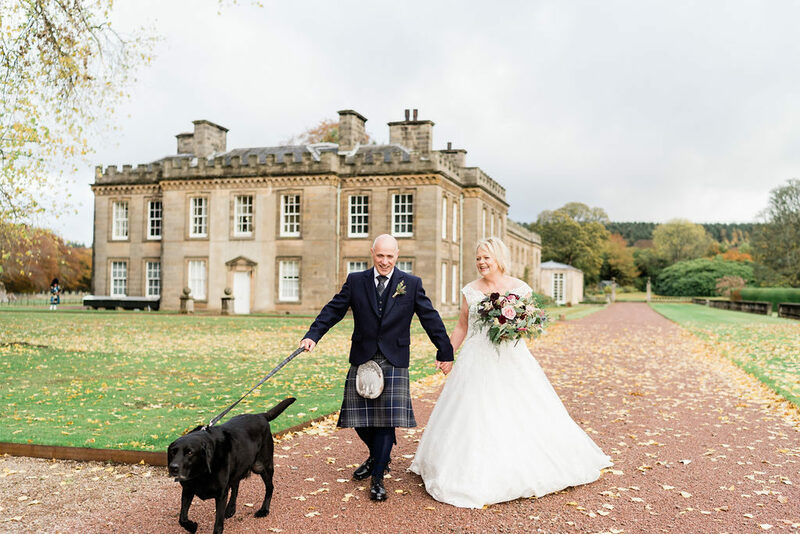 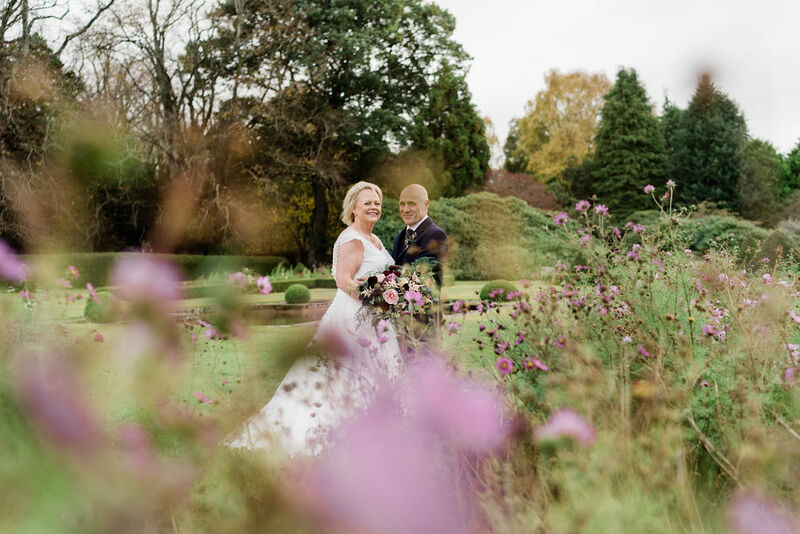 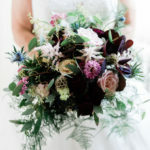 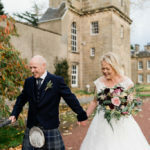 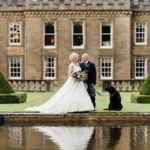 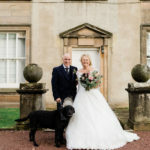 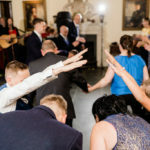 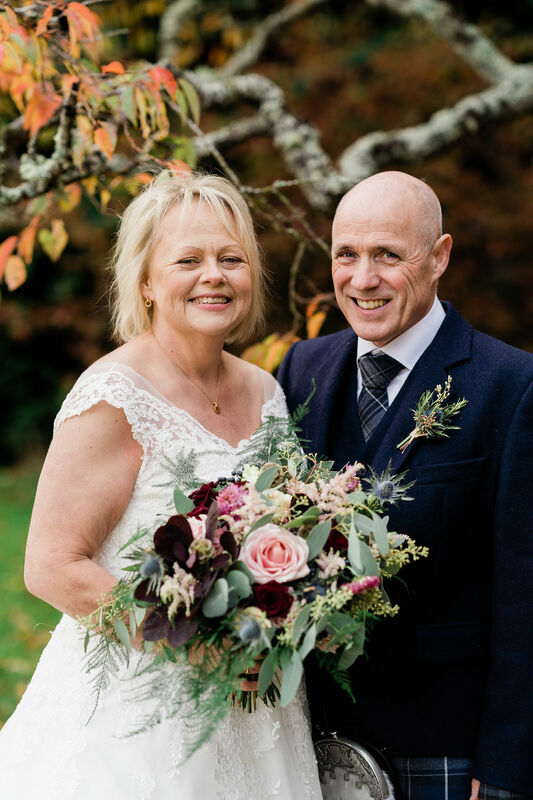 When Phil and Katie were married here on 27th October 2018, their day was no exception. 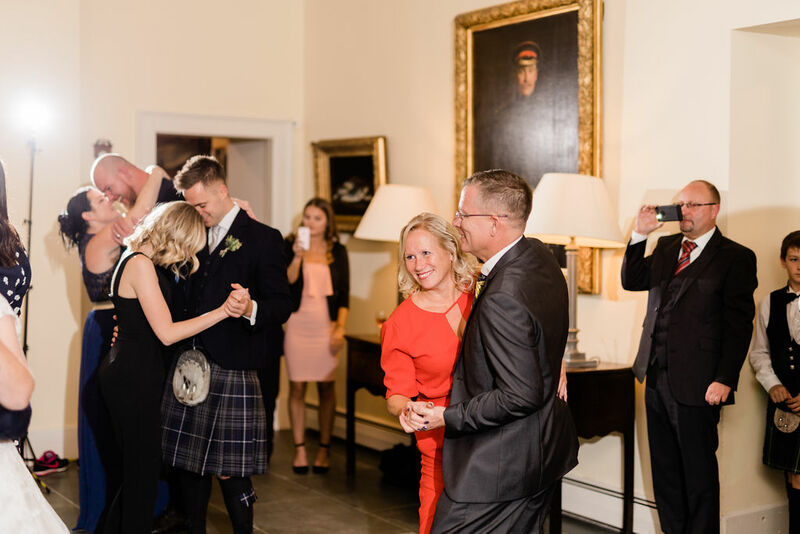 Surrounded by close friends and family, it was a weekend-long celebration. 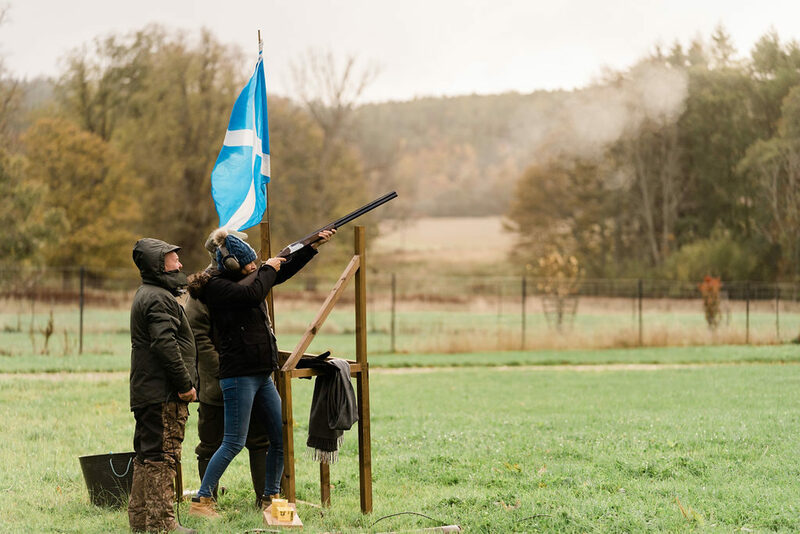 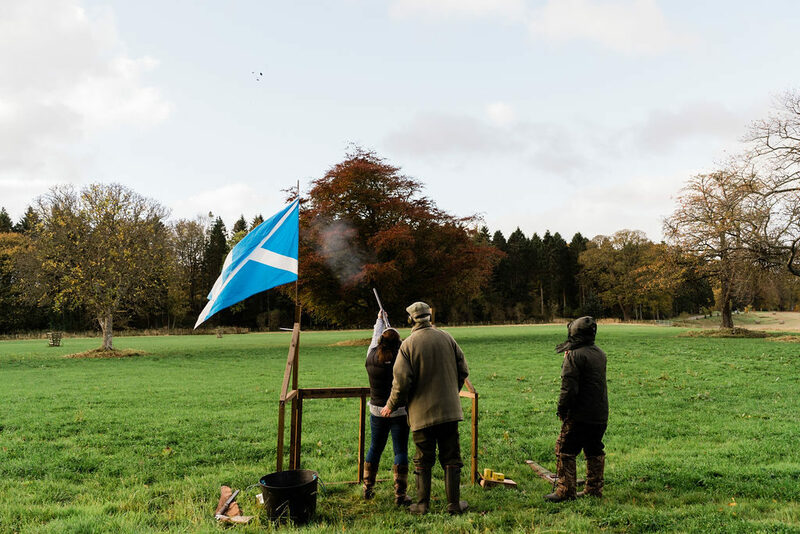 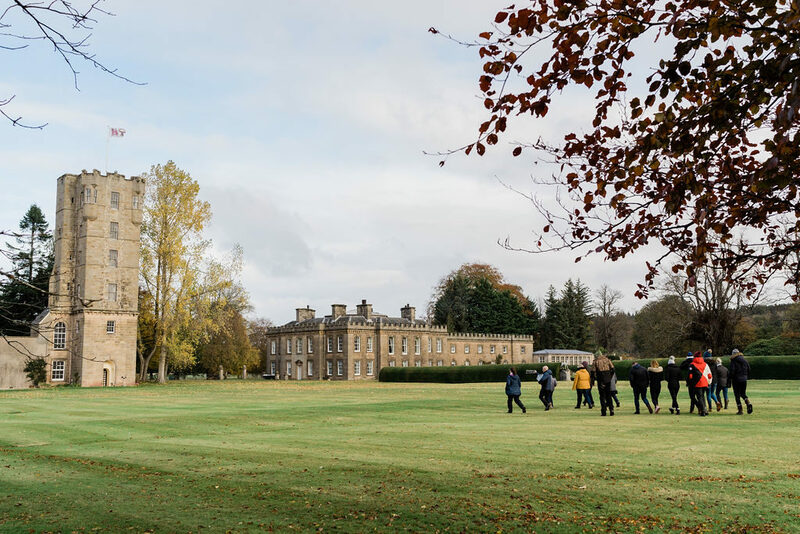 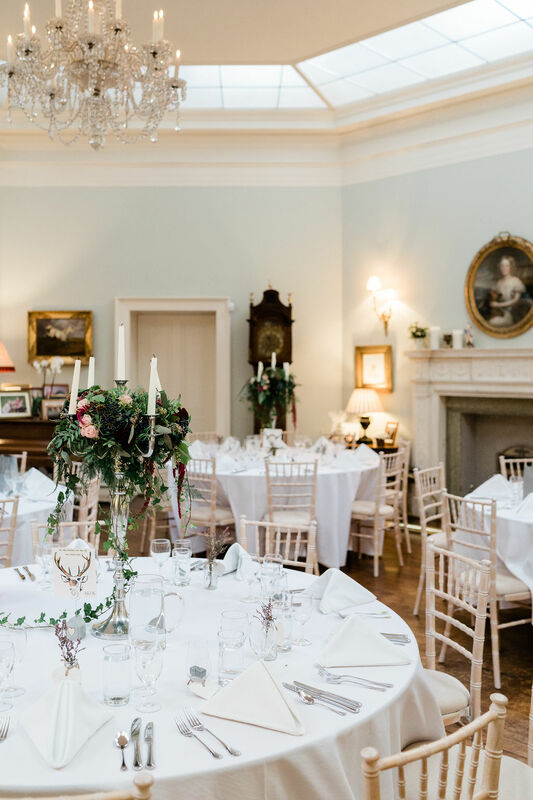 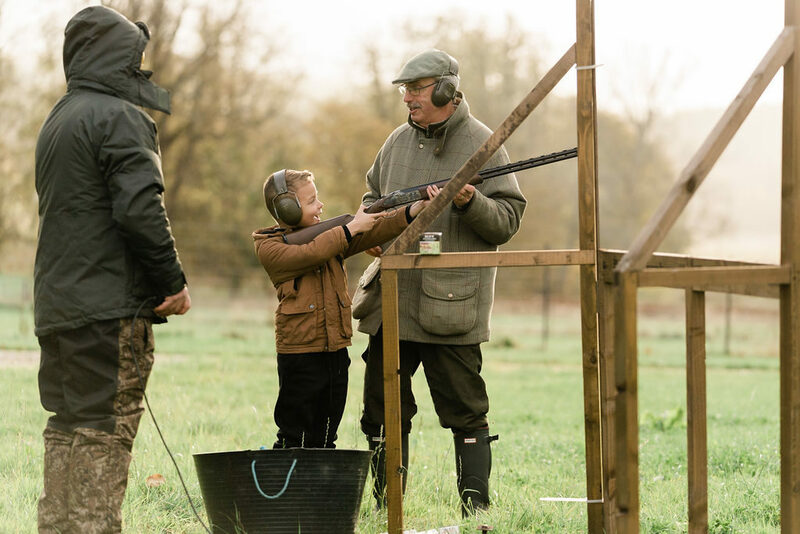 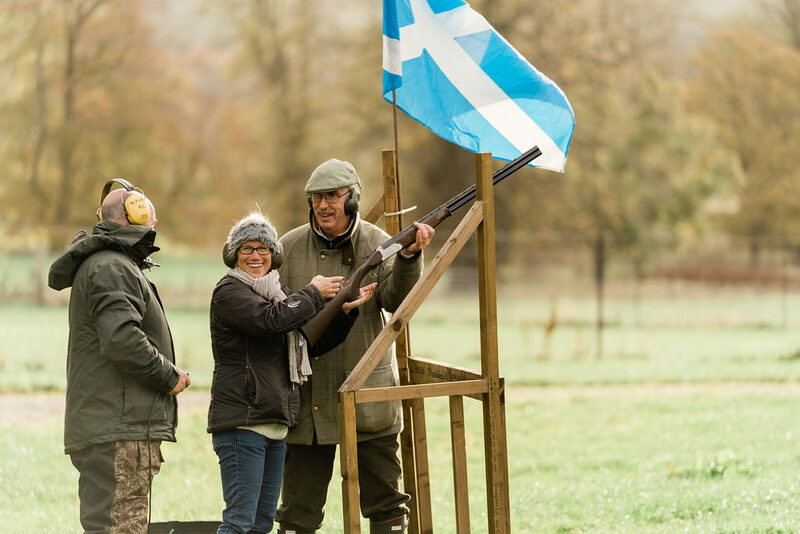 Pre-wedding celebrations began on the Friday by taking full advantage of the estate surroundings with clay pidgeon shooting followed by lunch in the Orangery. 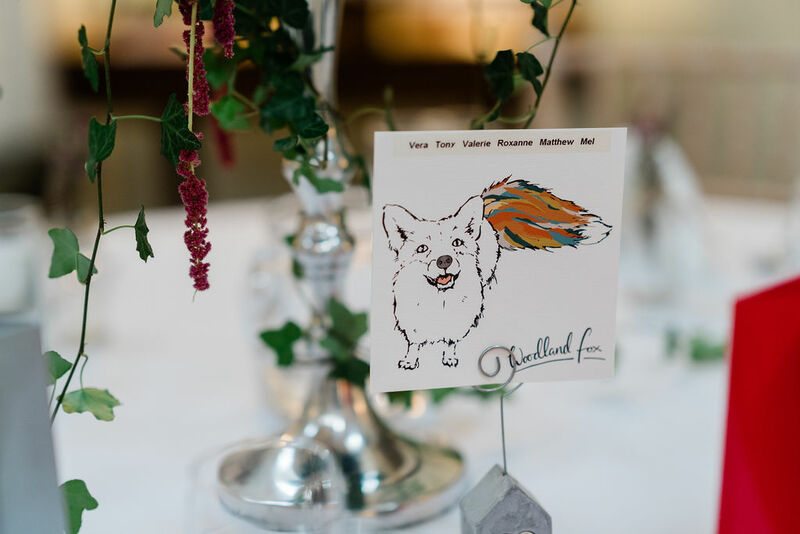 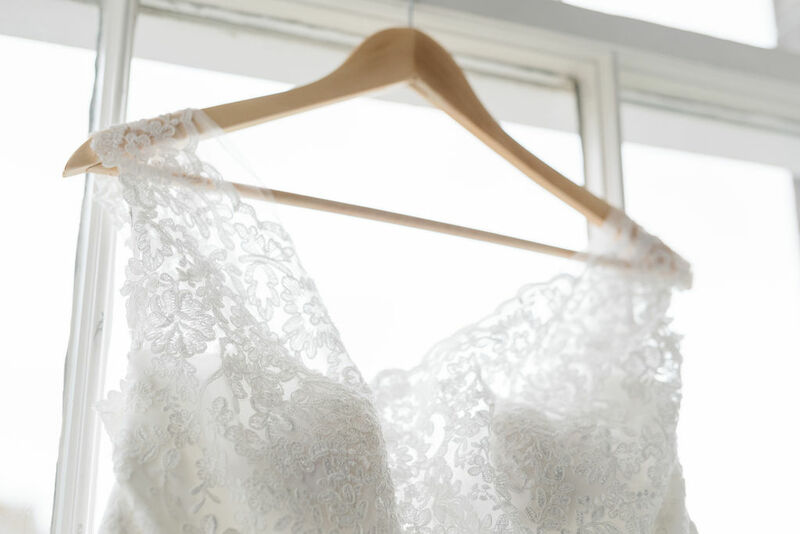 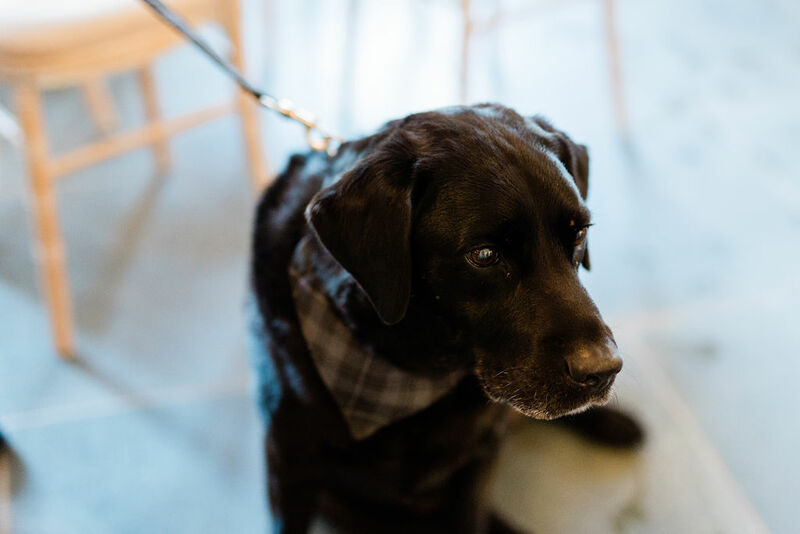 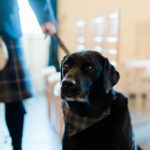 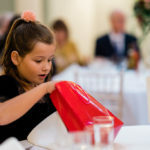 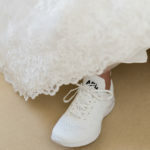 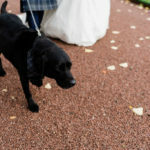 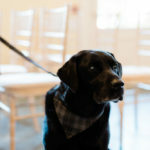 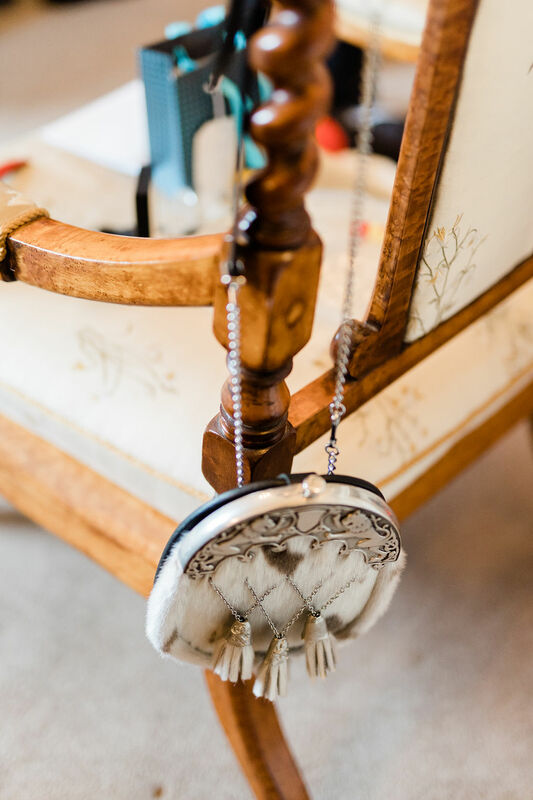 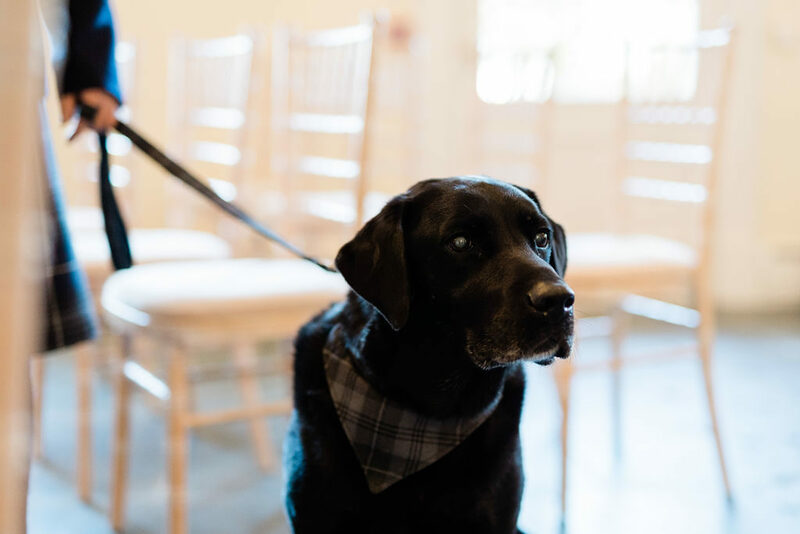 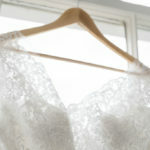 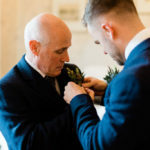 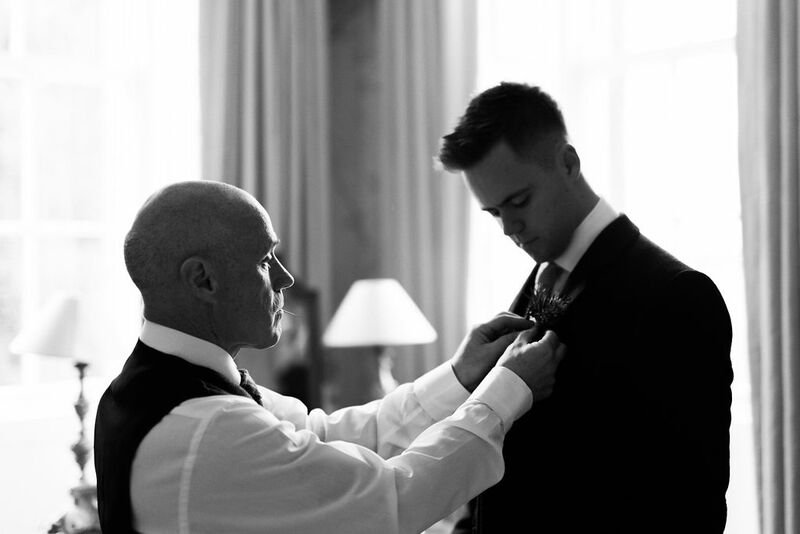 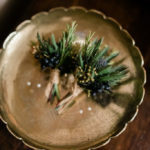 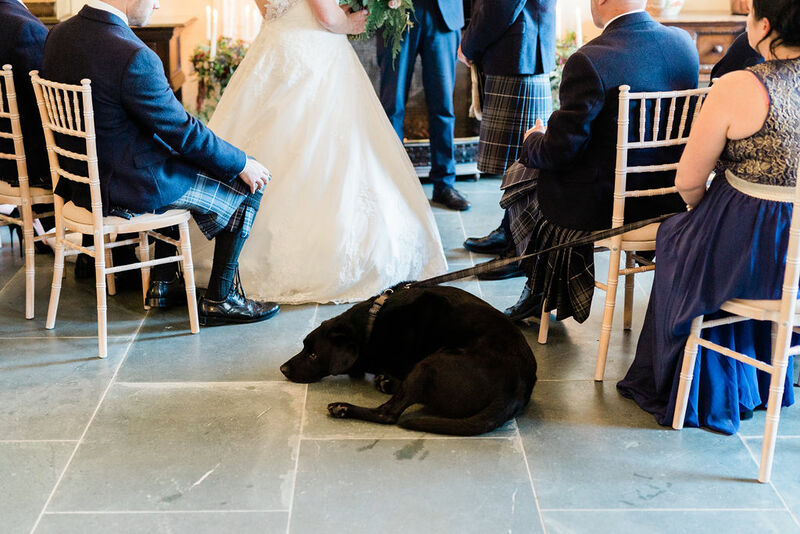 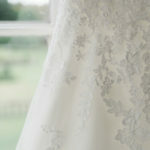 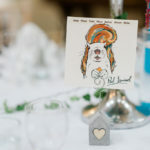 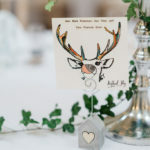 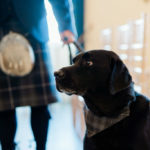 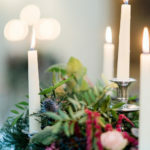 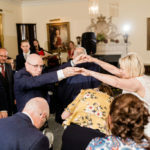 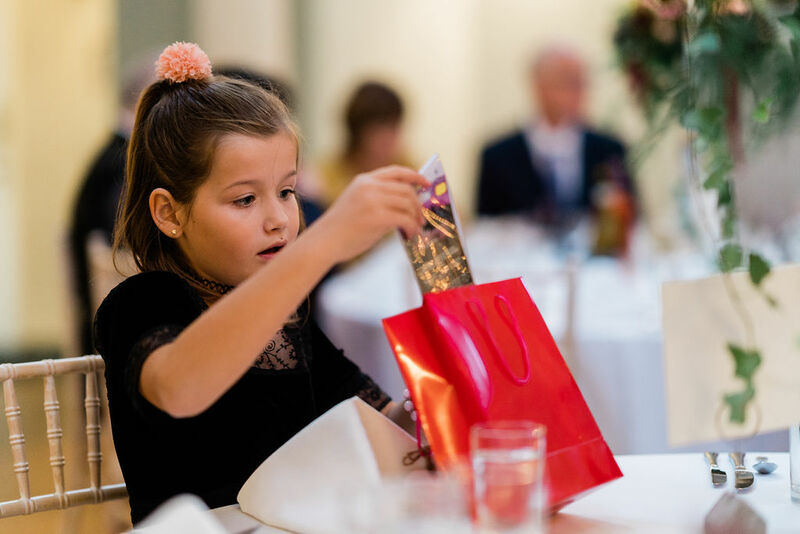 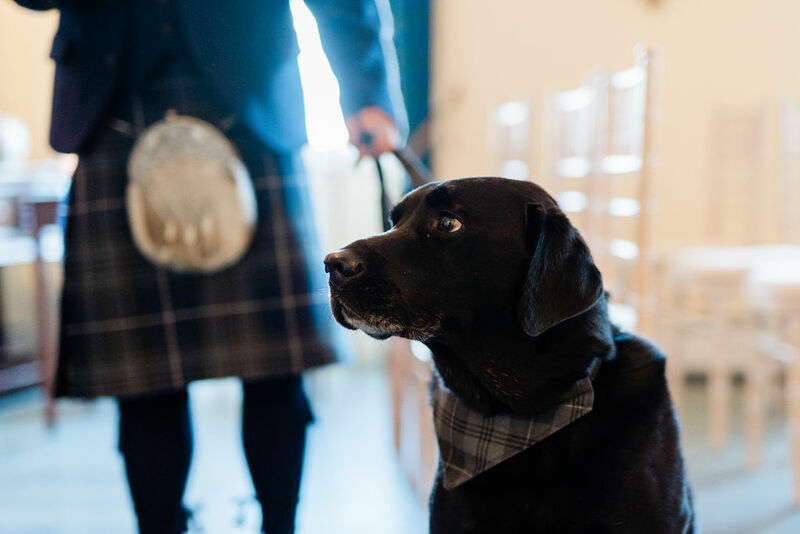 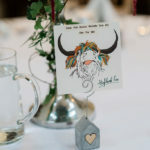 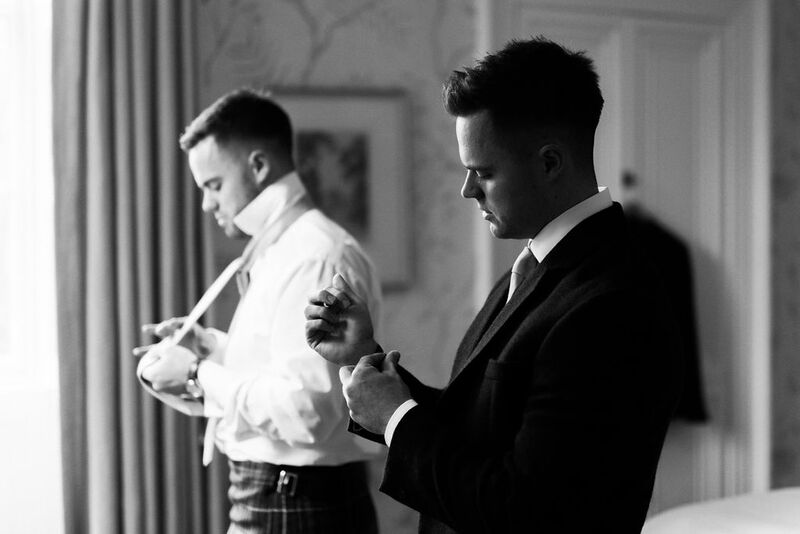 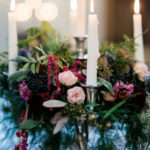 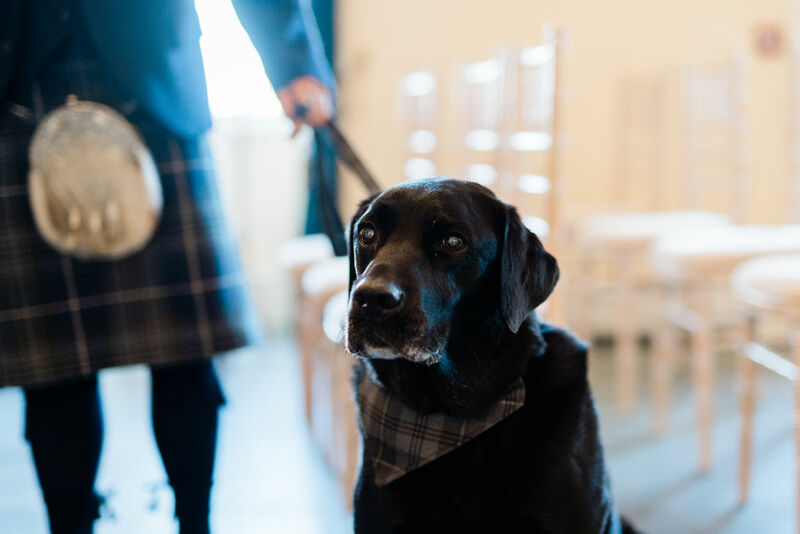 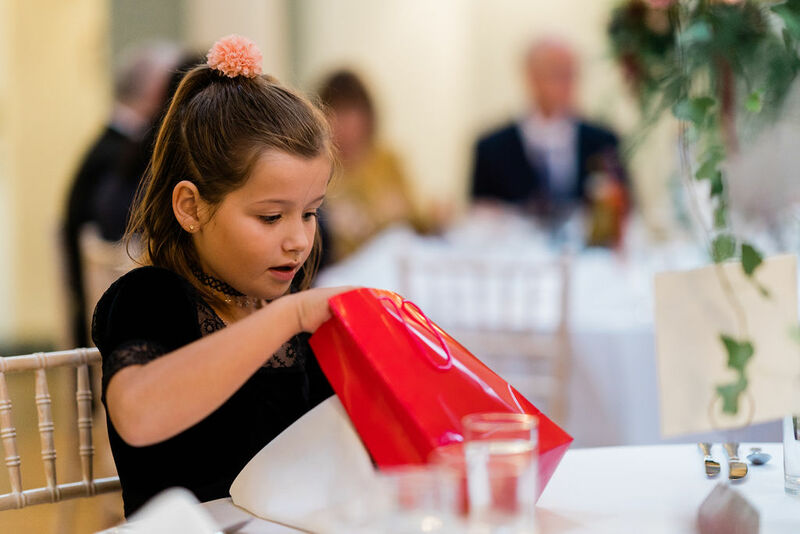 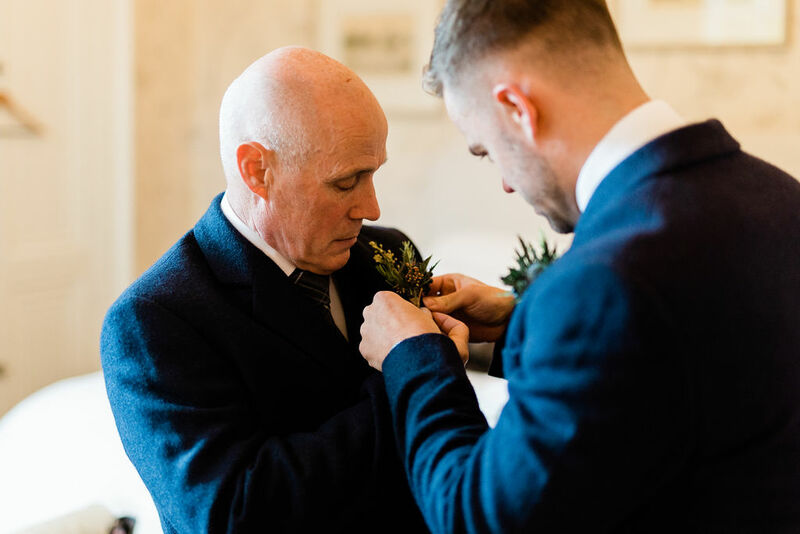 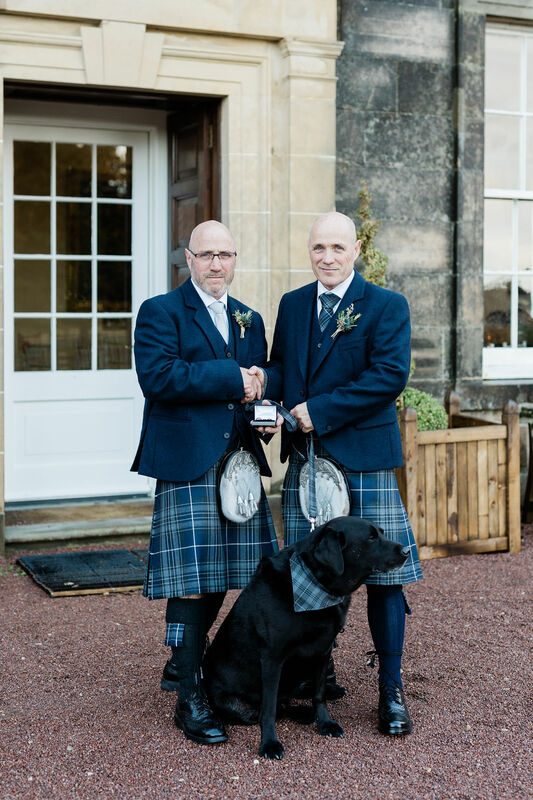 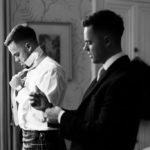 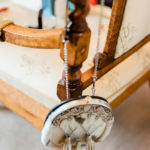 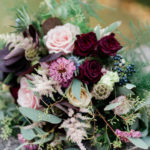 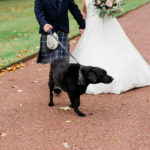 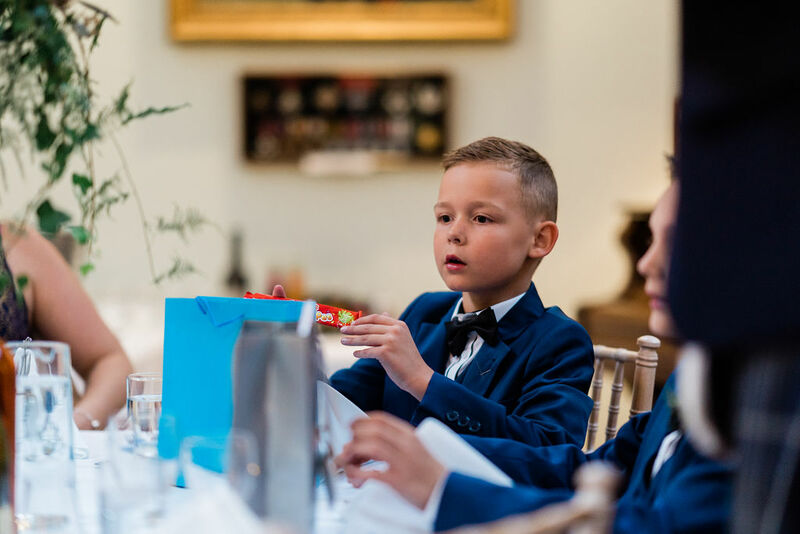 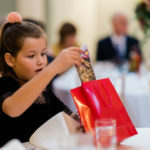 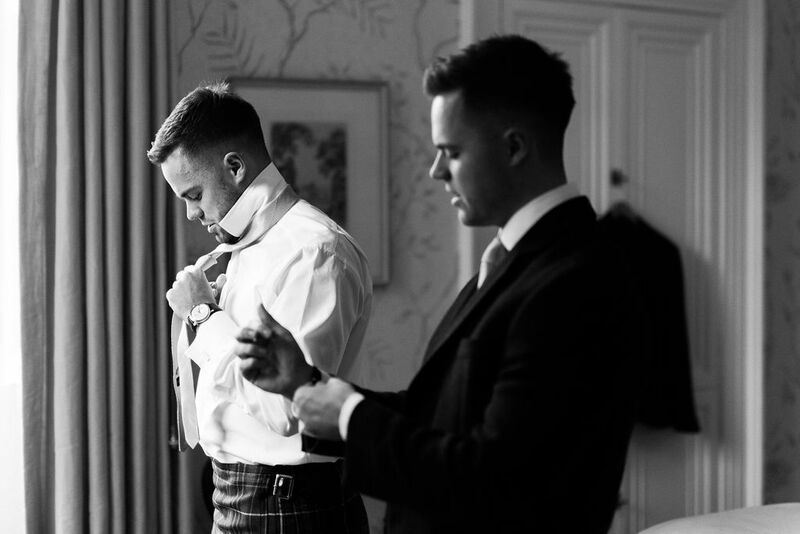 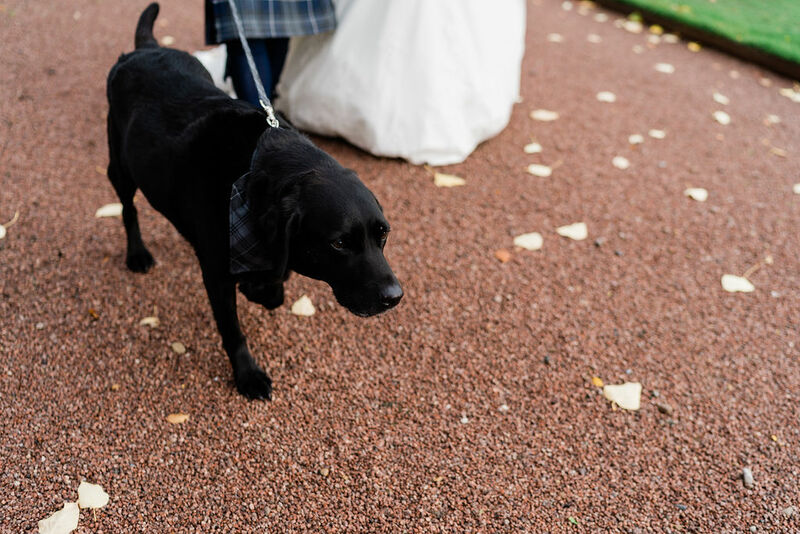 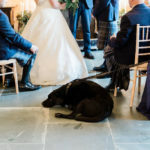 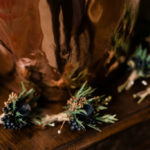 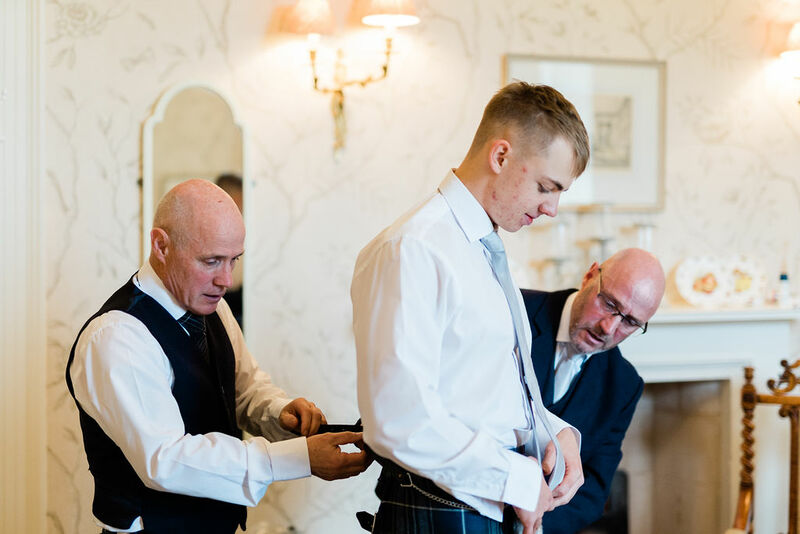 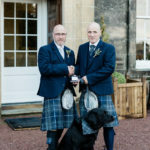 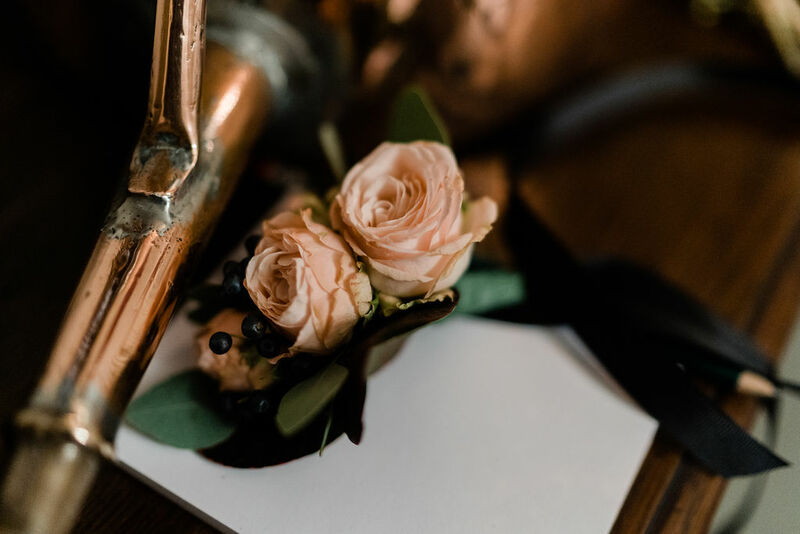 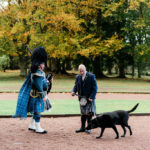 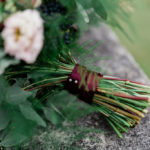 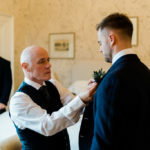 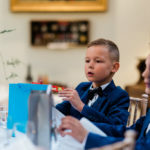 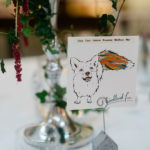 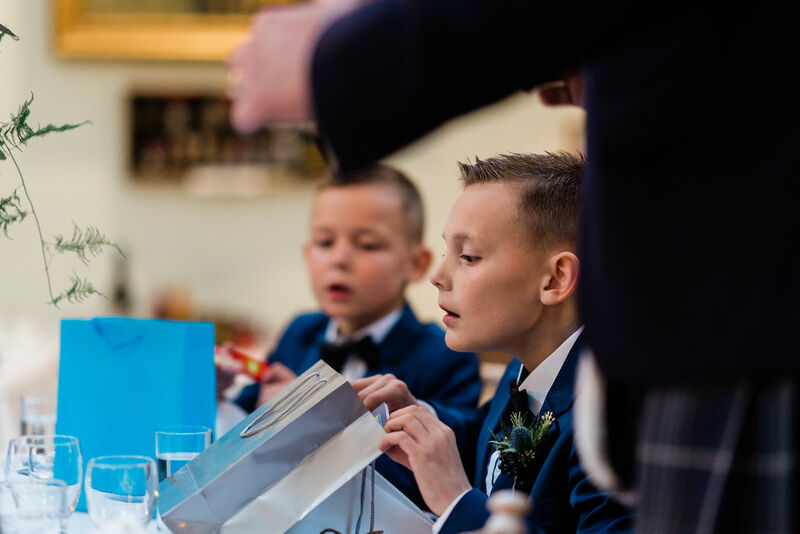 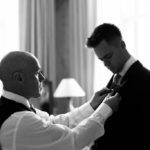 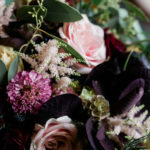 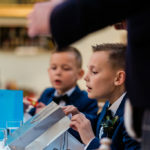 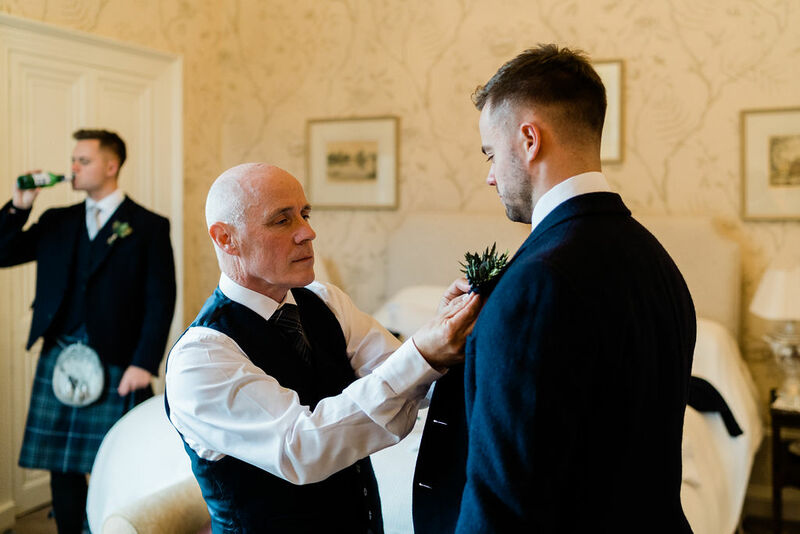 After a relaxing evening and family breakfast, the time had come for final wedding preparations – and one very special friend to take his place. 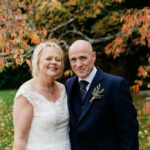 “Phil and I first met in Greyfield Woods near Bath. 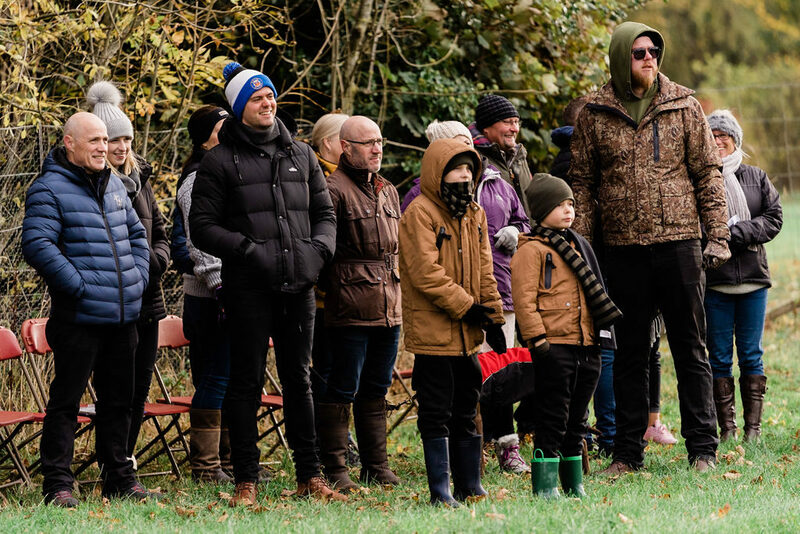 I was walking Charlie in the woods and noticed that a film was being shot on the field by the woods. 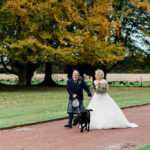 We finished our walk and cut back through the field to have a little look. 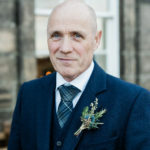 Phil was in 4×4 ambulance as he was the medic on the film set. 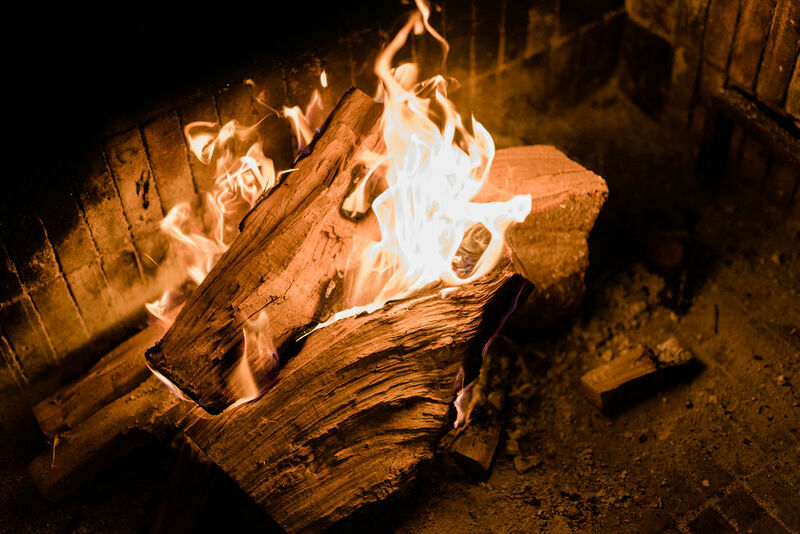 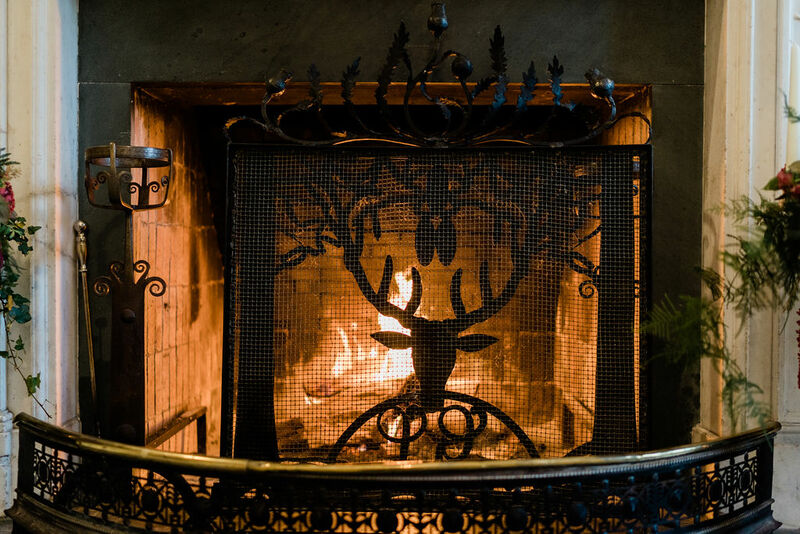 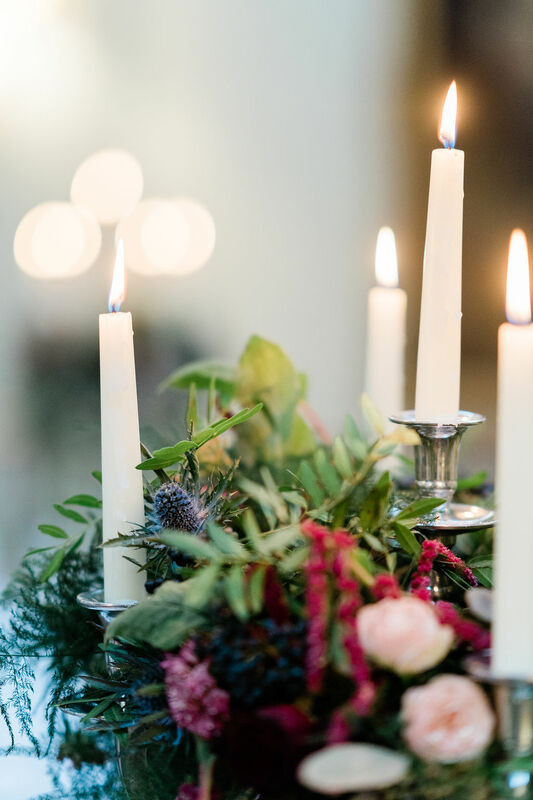 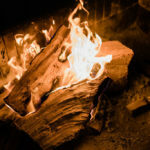 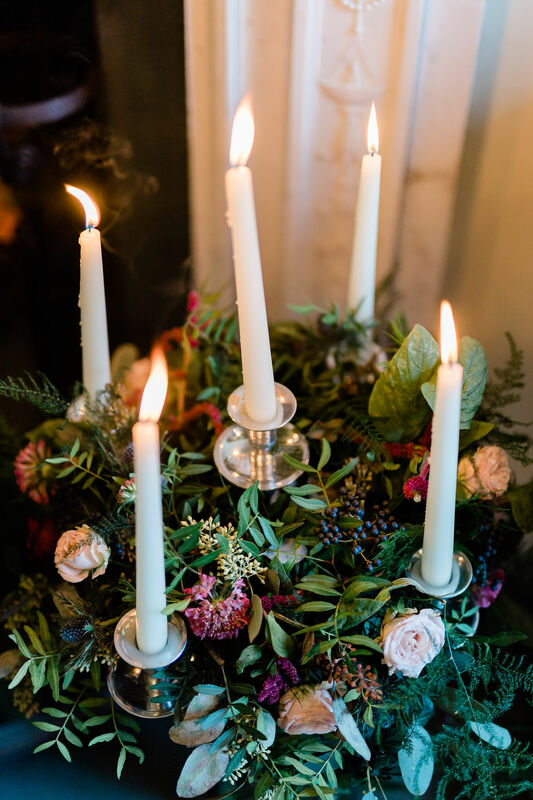 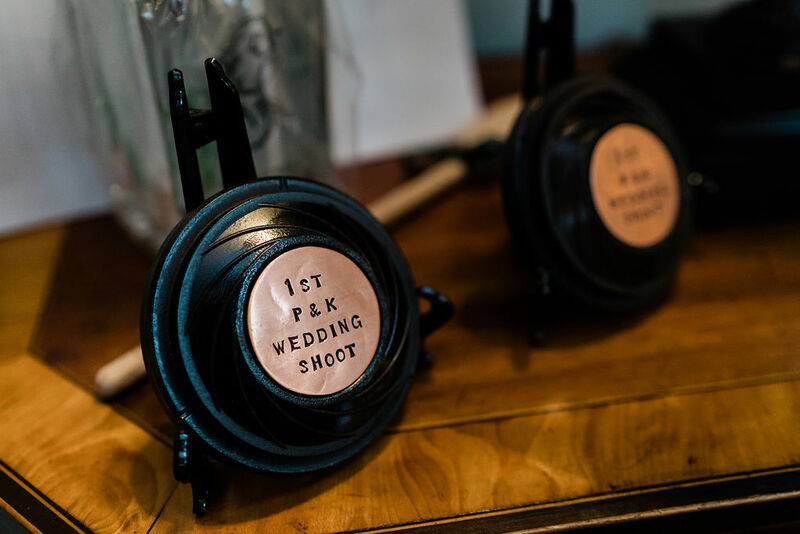 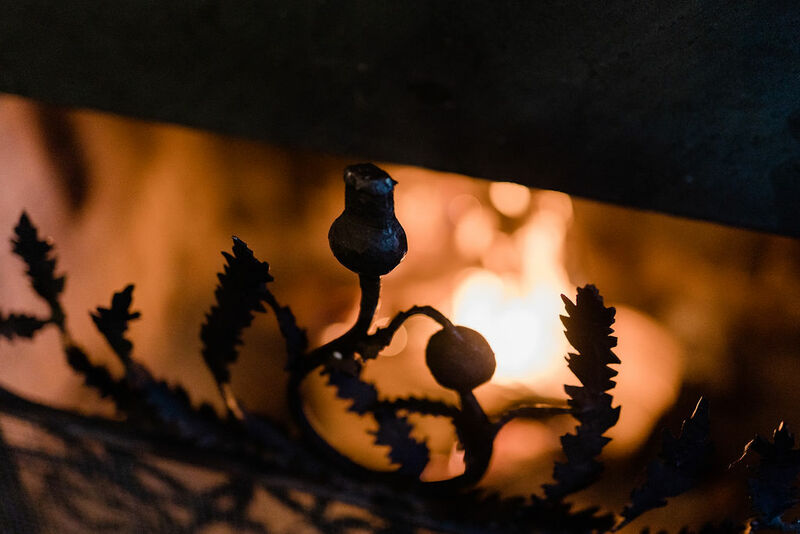 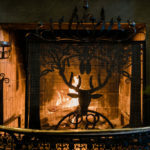 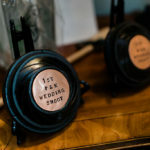 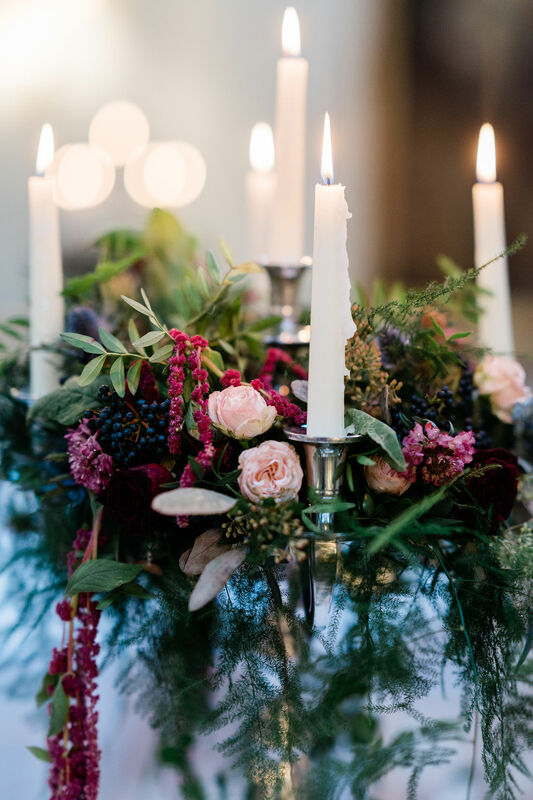 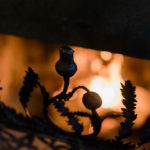 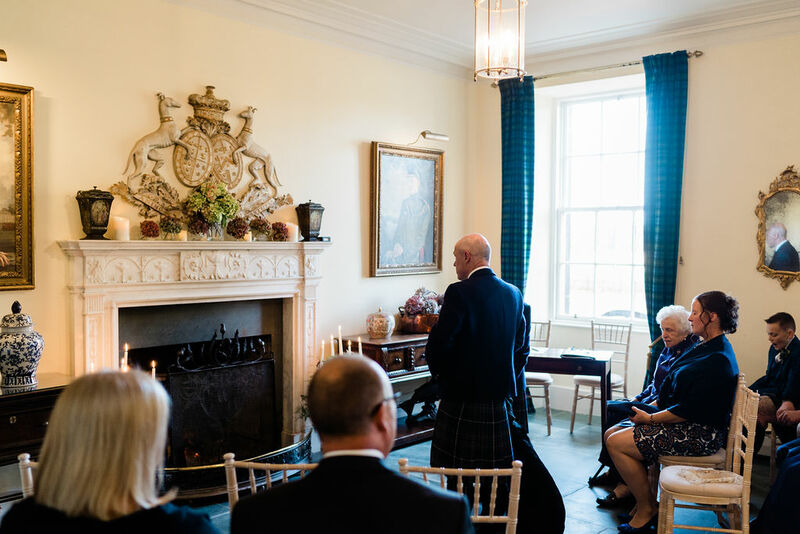 It has to be exchanging our vows in front of an open fire – it was simply beautiful! 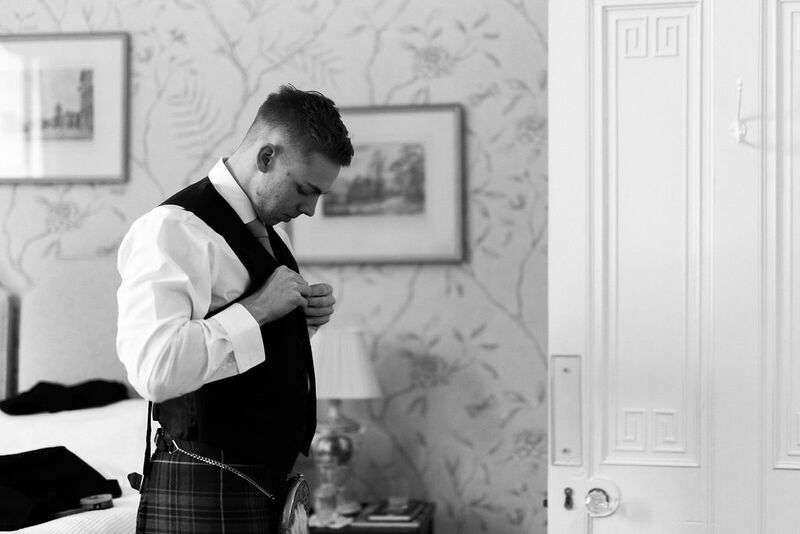 I just loved how homely Gordon Castle felt, it really was a home from home. 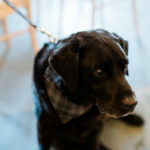 The food was outstanding but in hindsight, we would of done with slightly more of it! 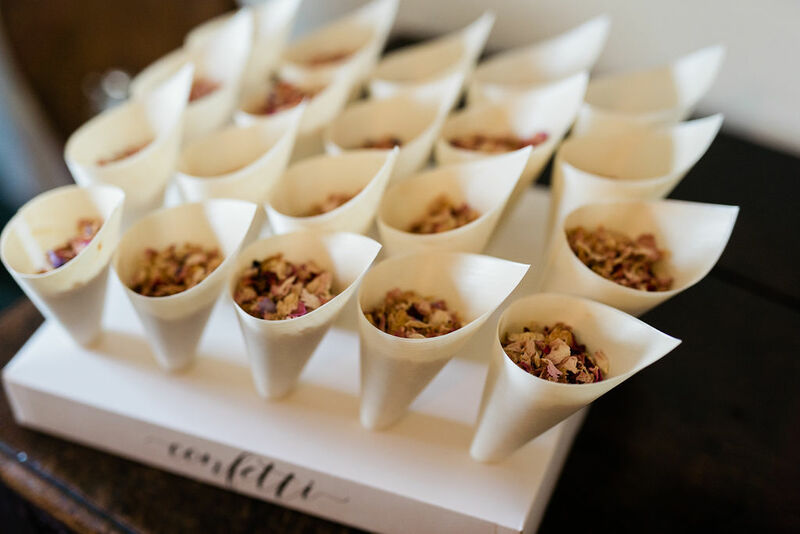 It’s a long day so don’t underestimate how hungry your guests might be. 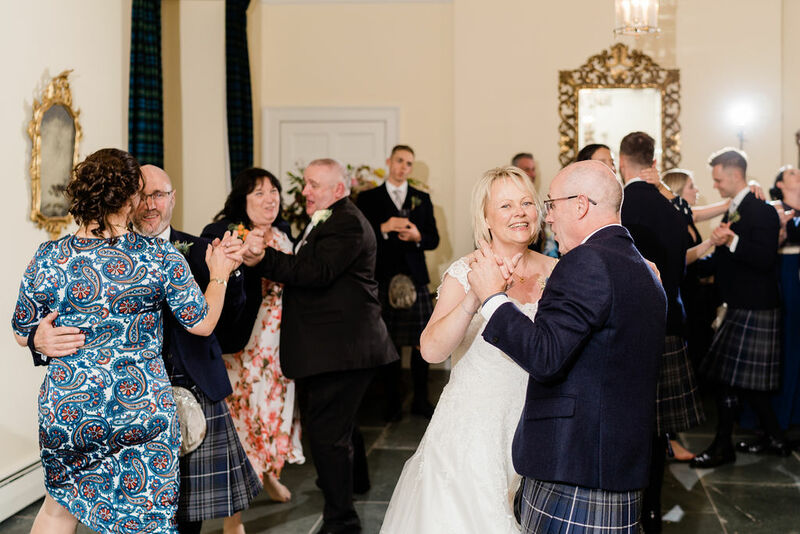 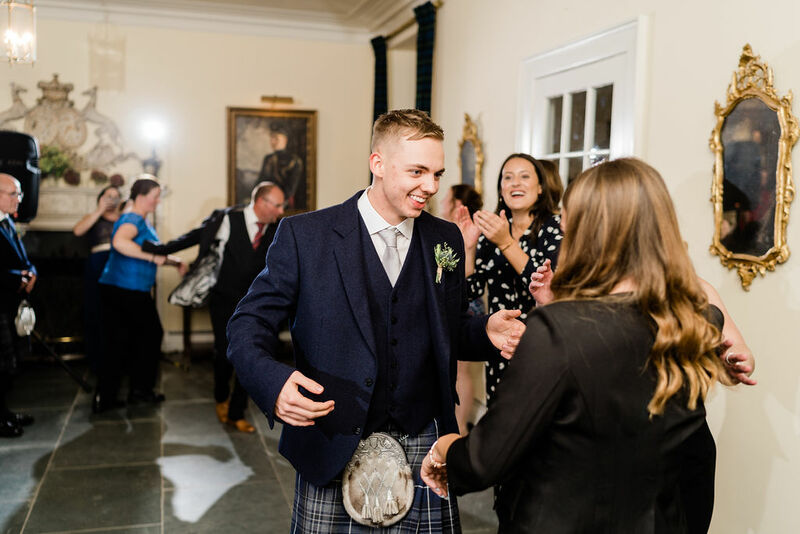 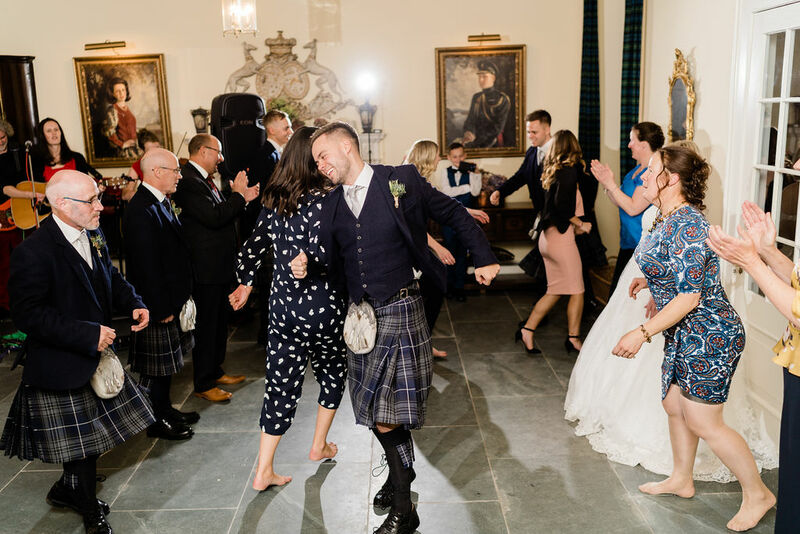 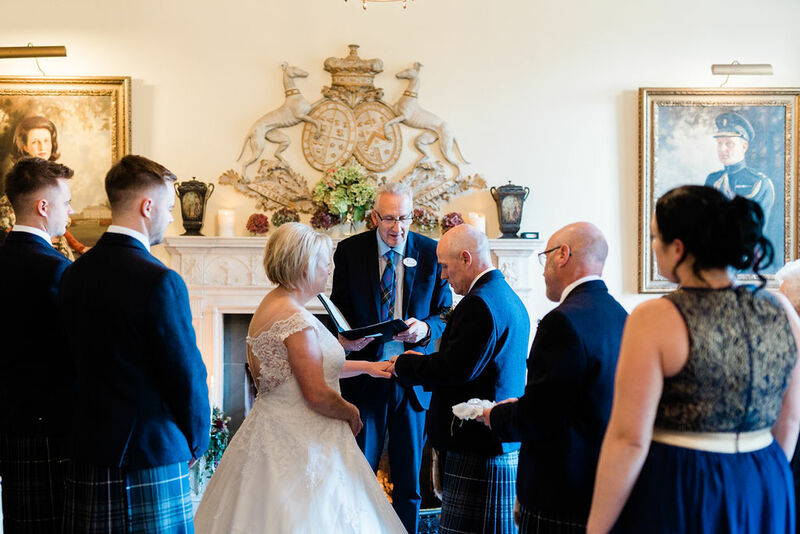 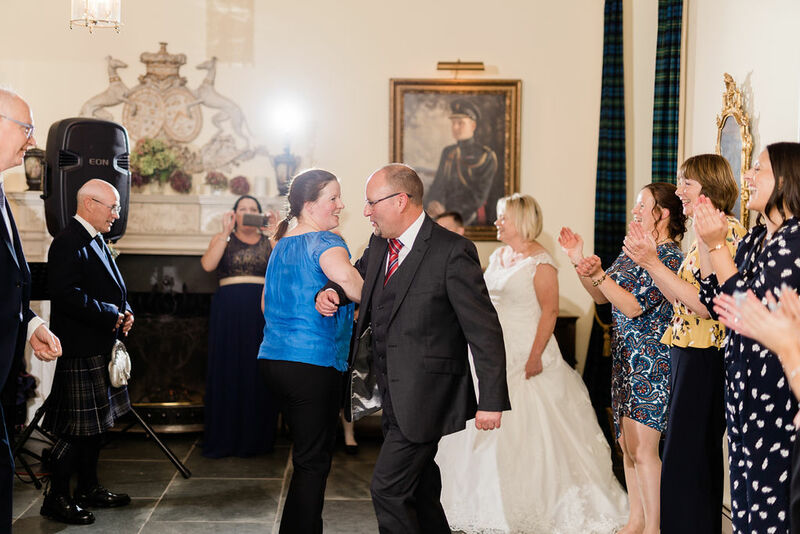 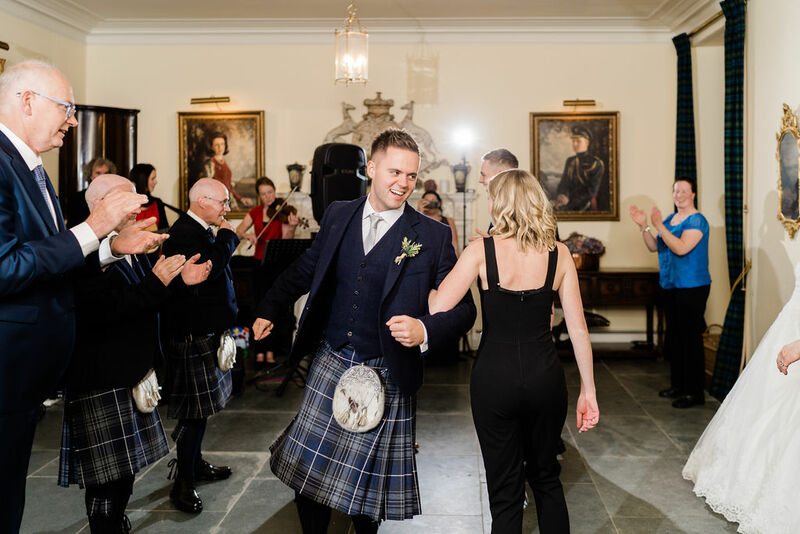 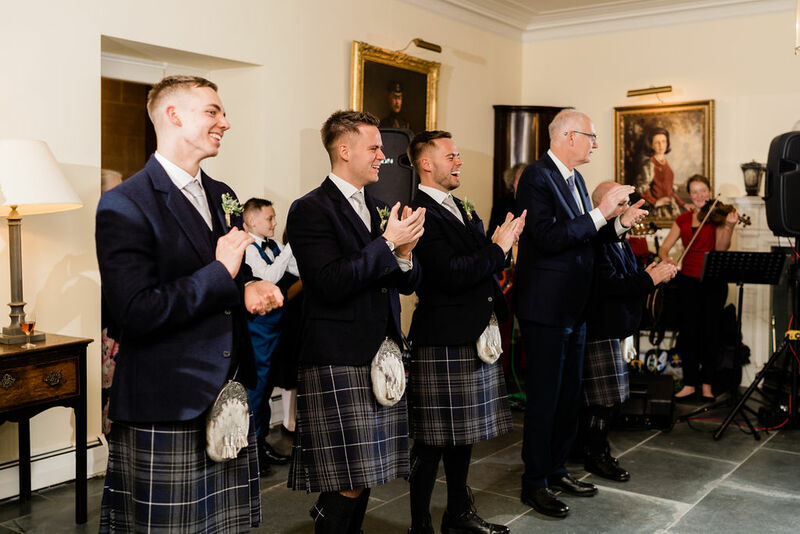 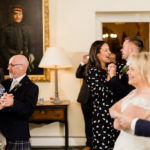 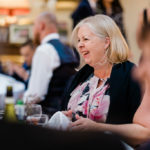 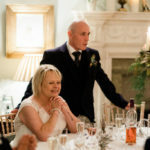 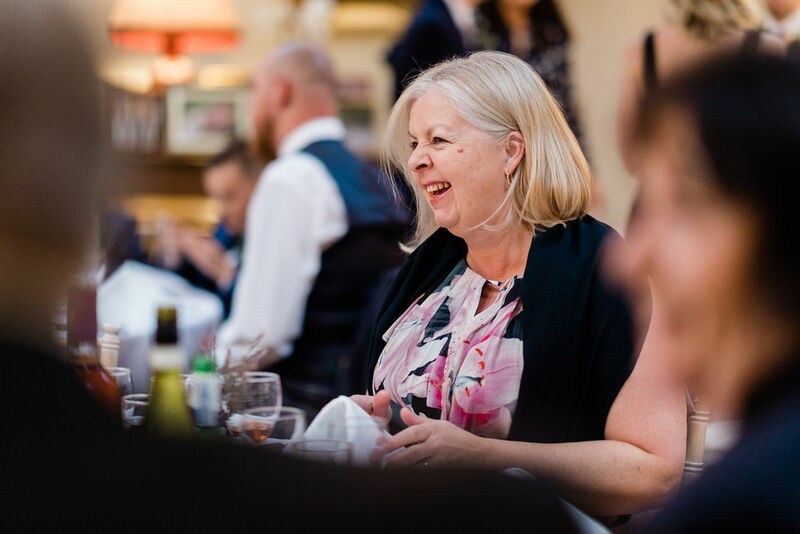 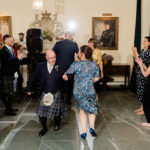 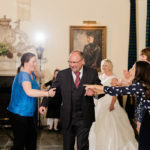 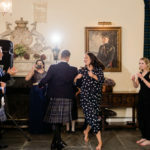 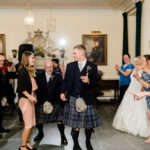 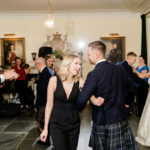 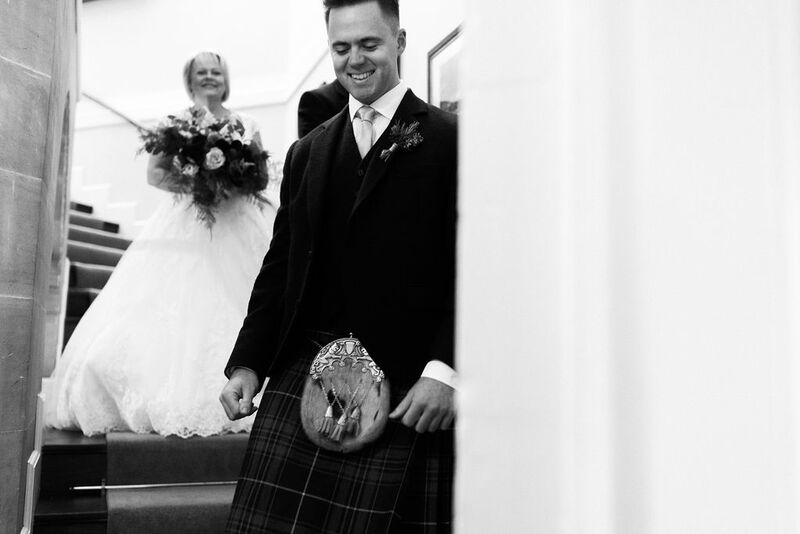 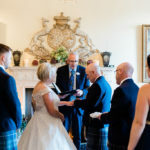 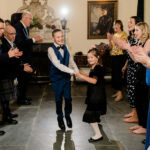 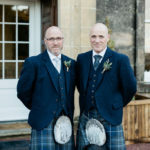 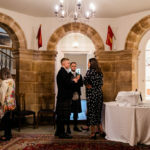 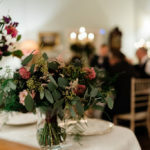 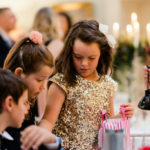 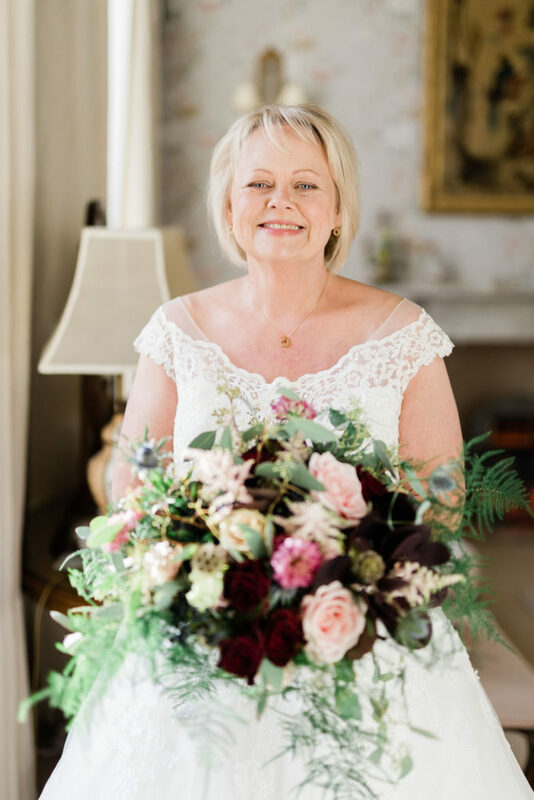 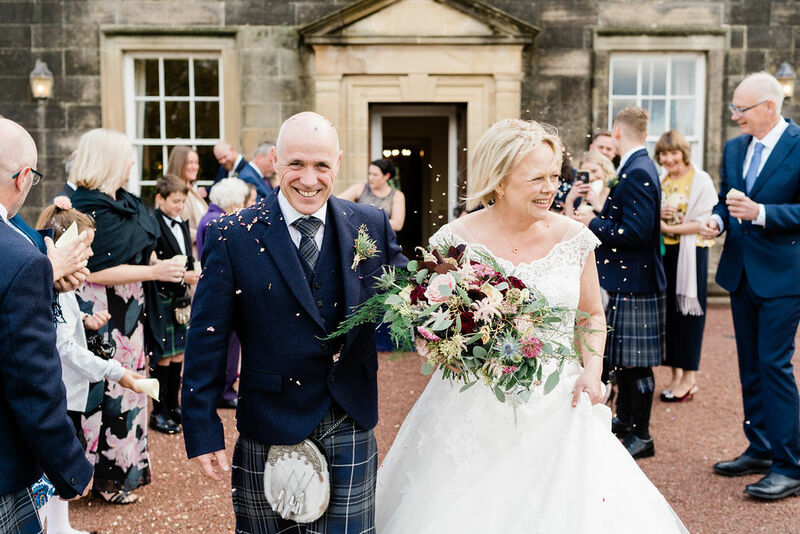 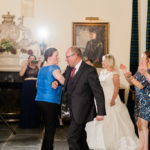 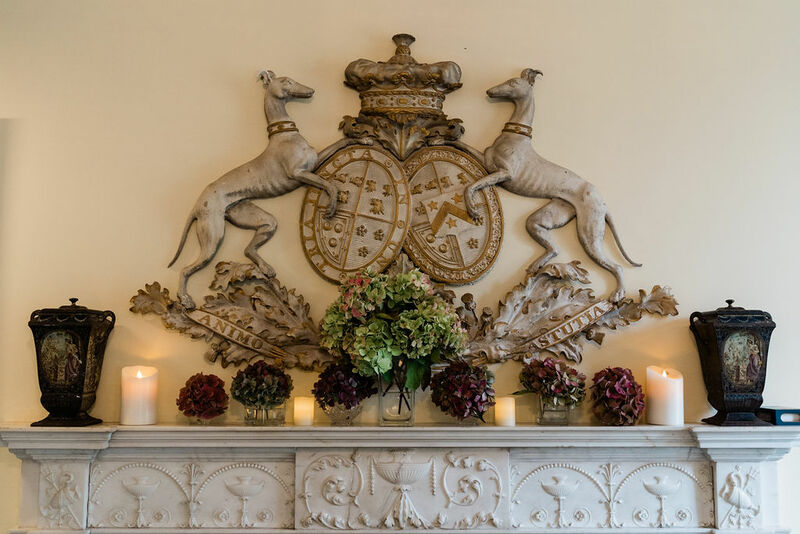 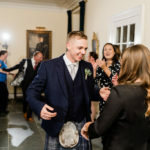 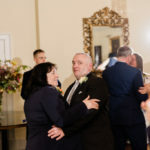 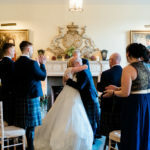 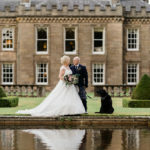 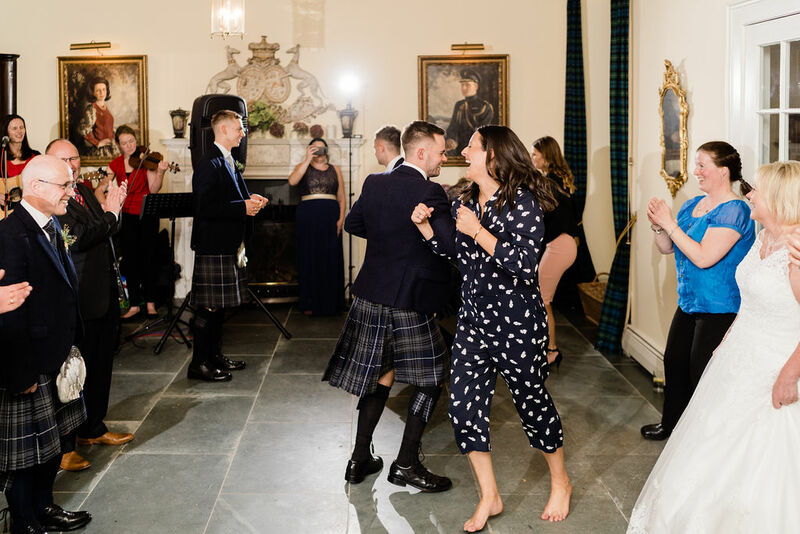 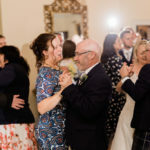 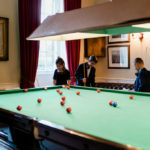 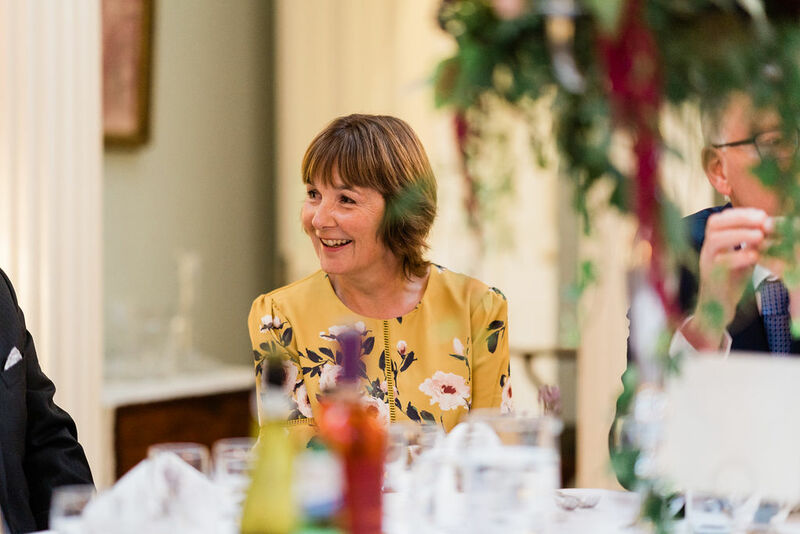 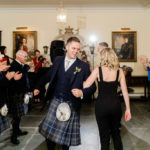 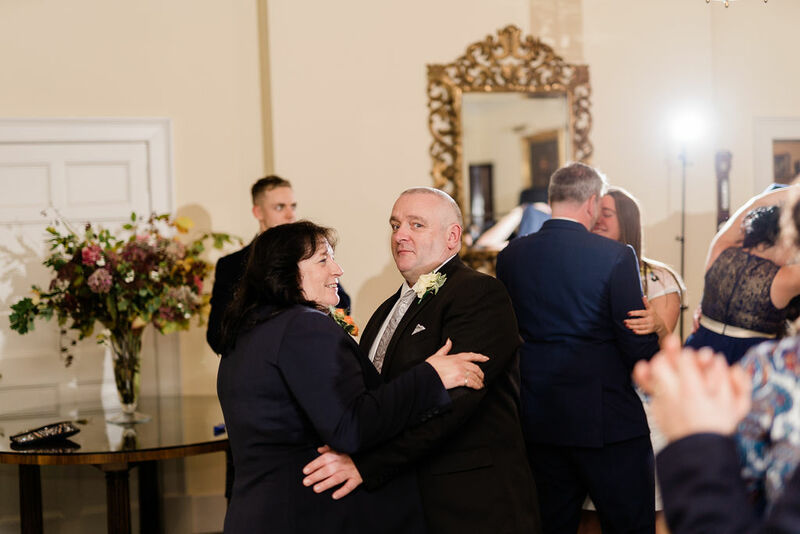 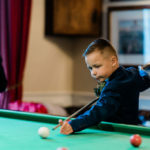 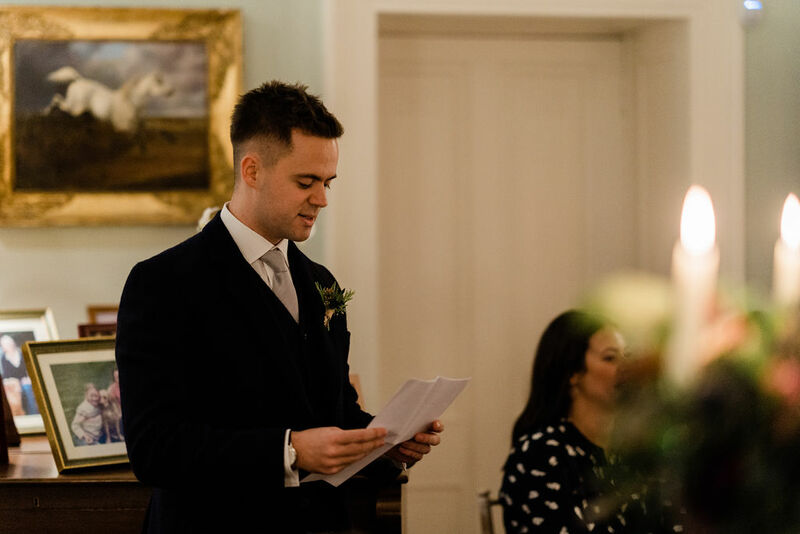 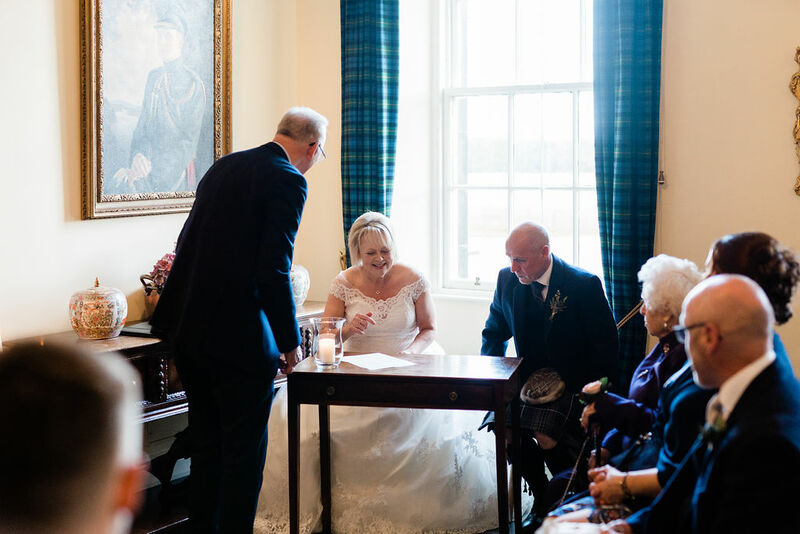 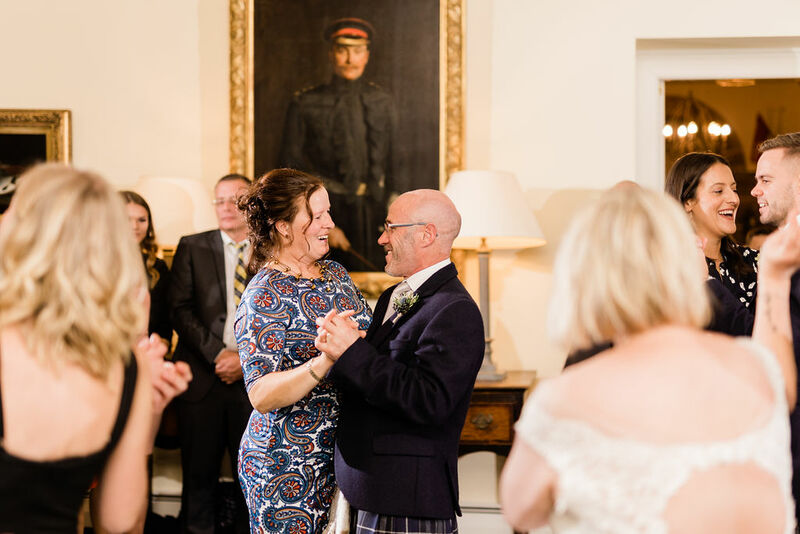 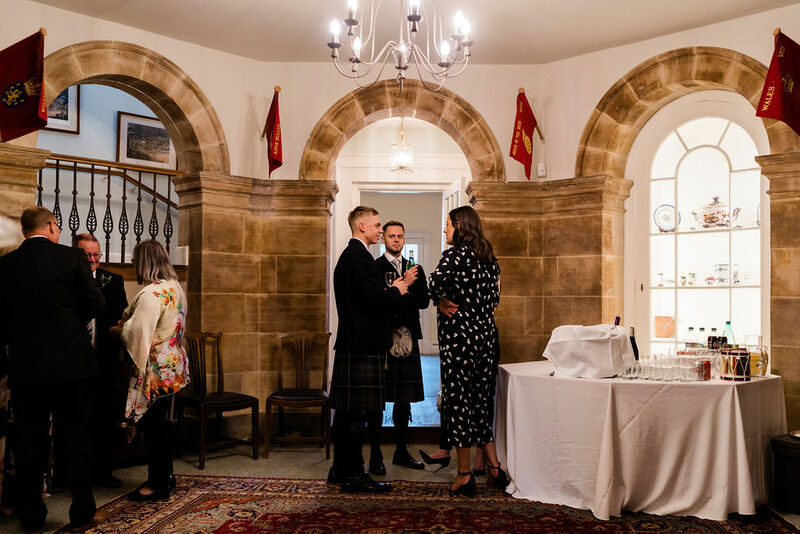 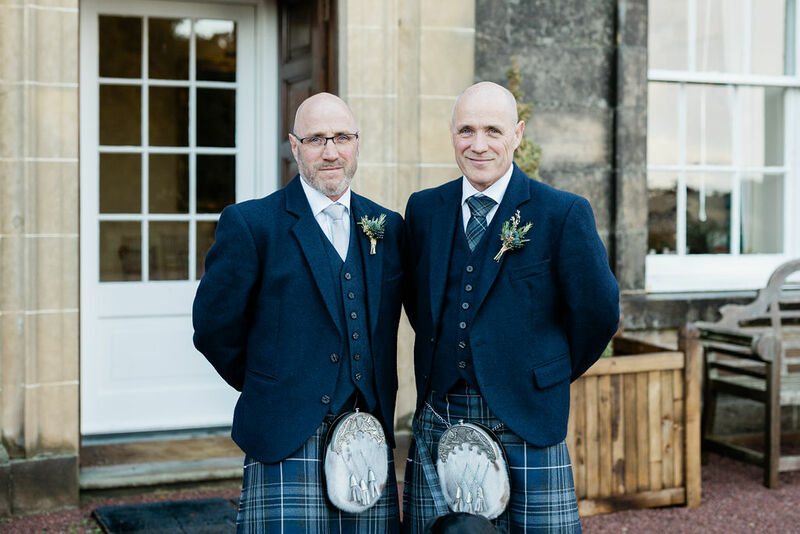 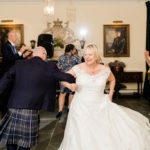 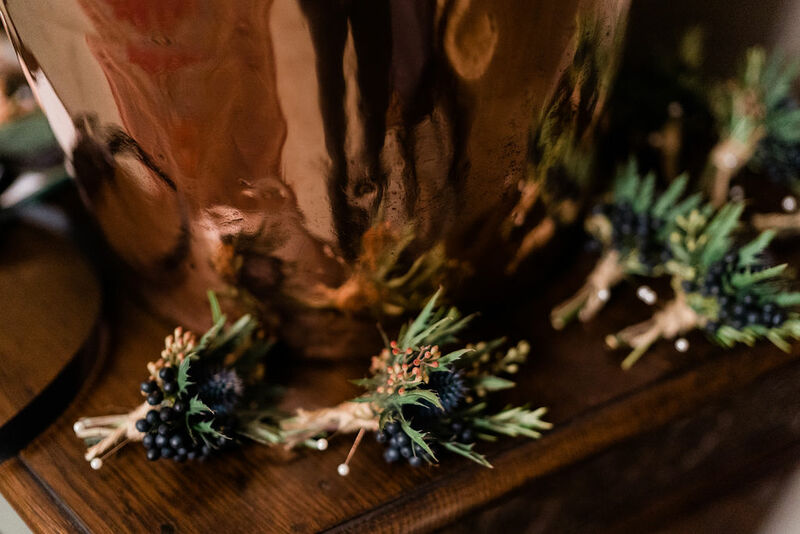 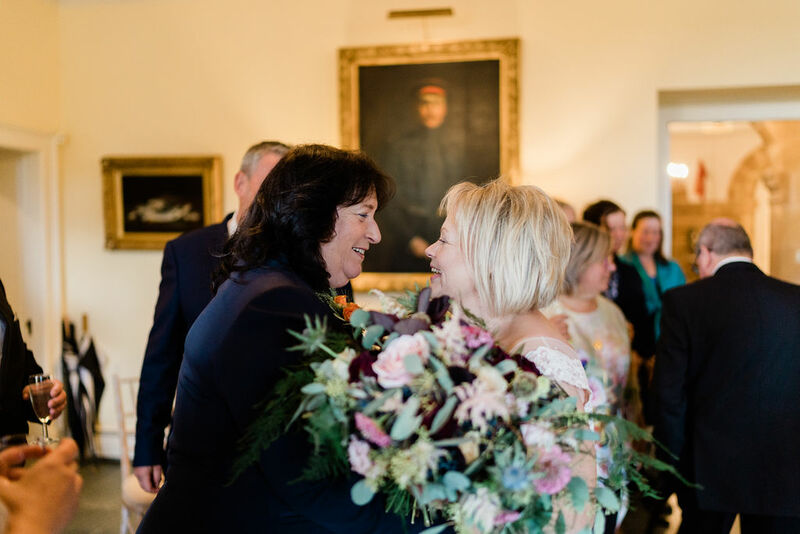 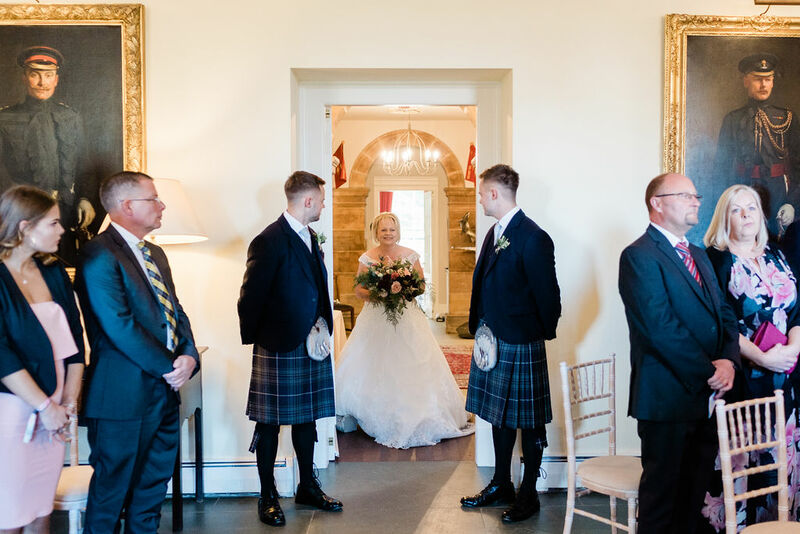 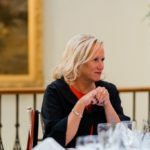 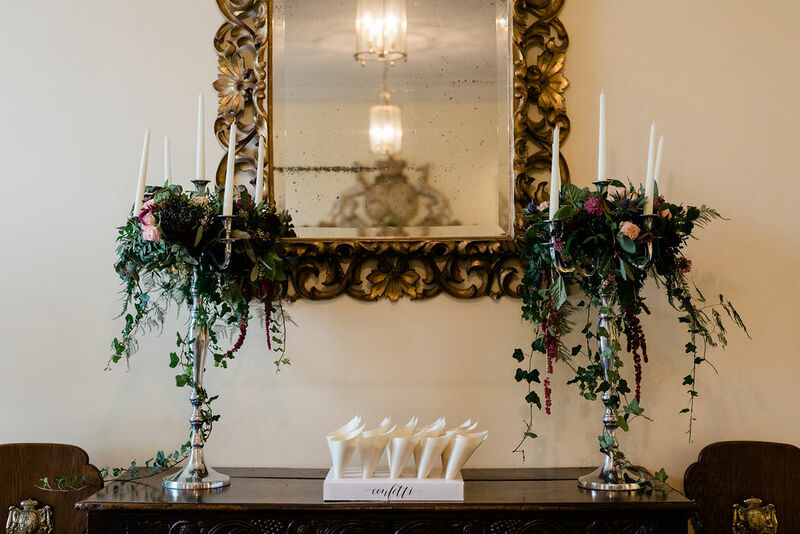 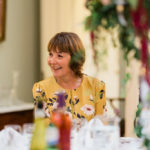 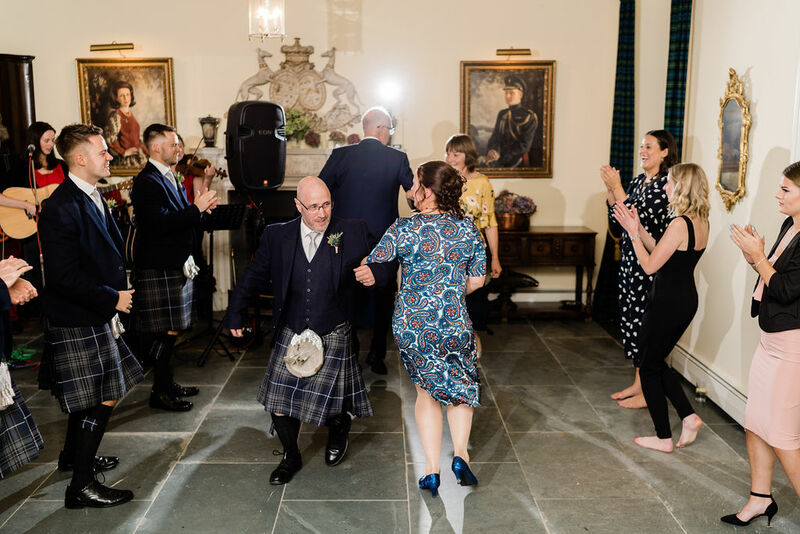 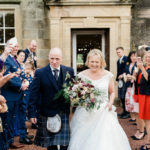 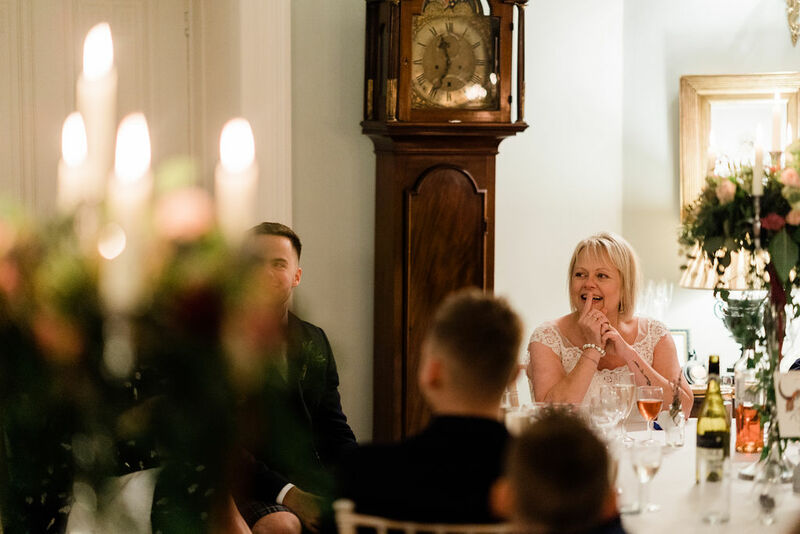 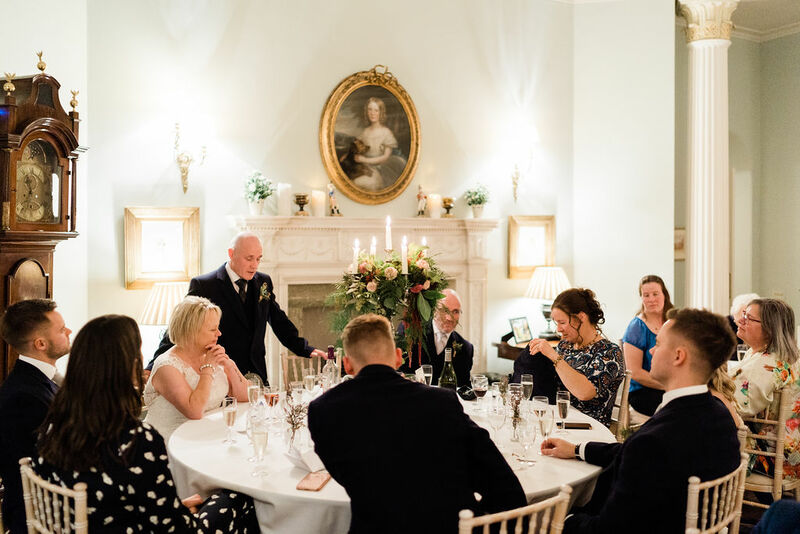 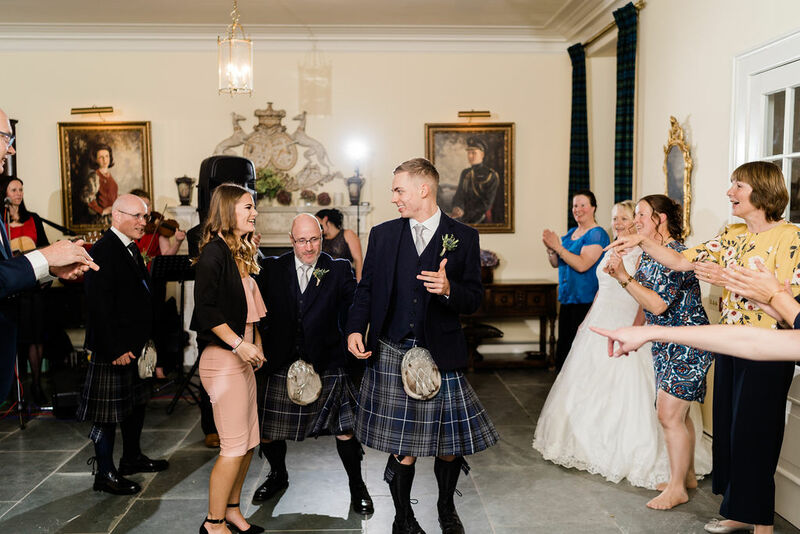 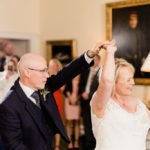 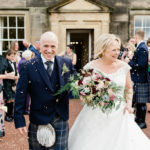 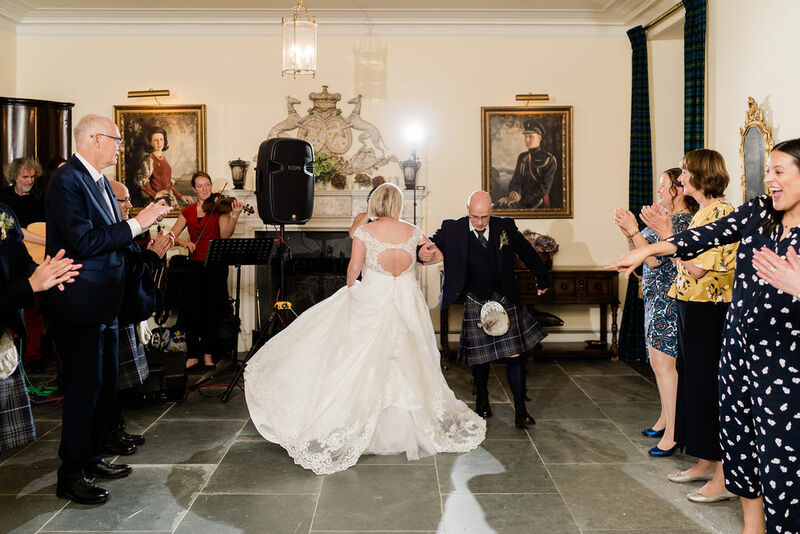 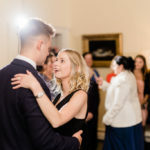 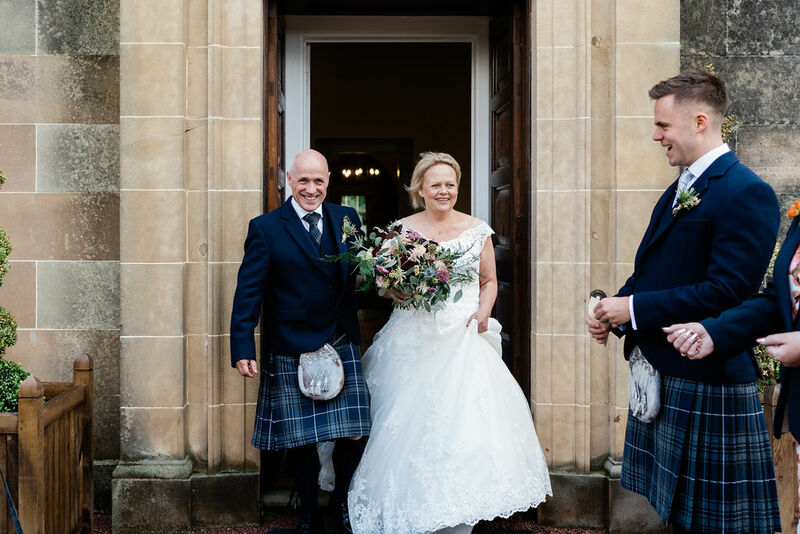 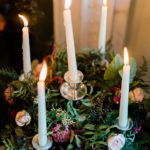 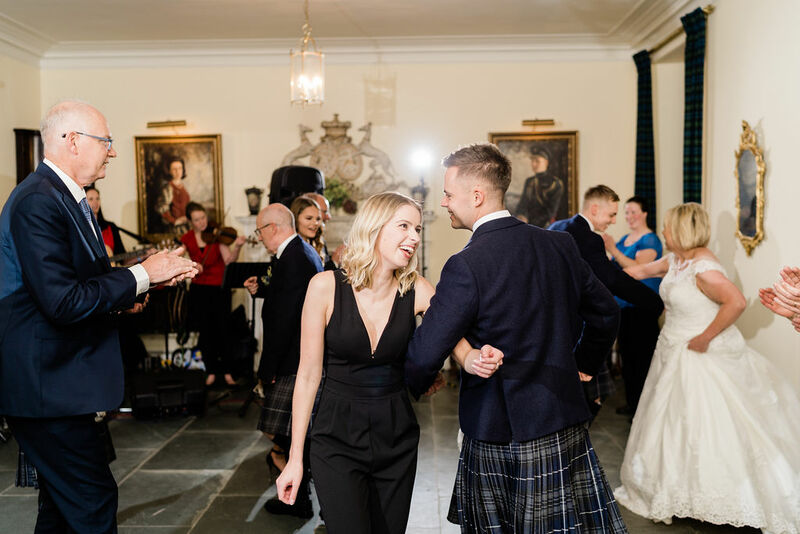 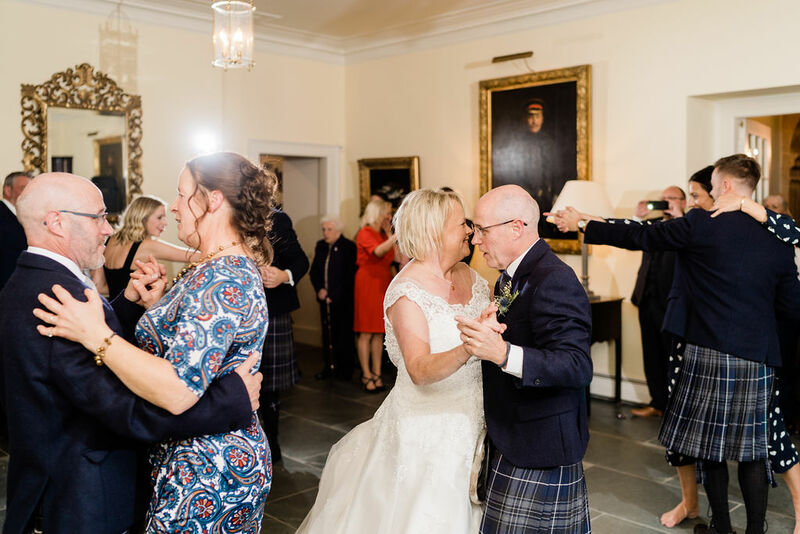 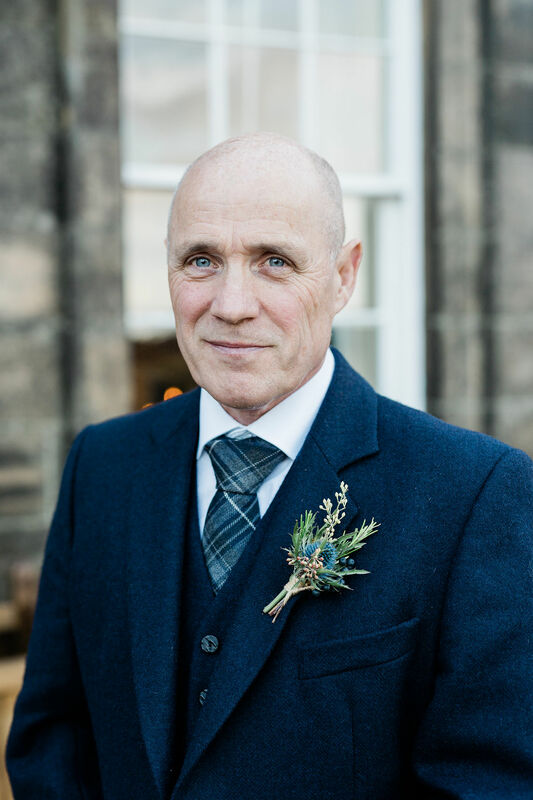 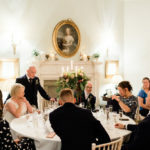 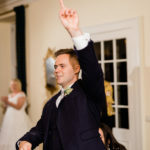 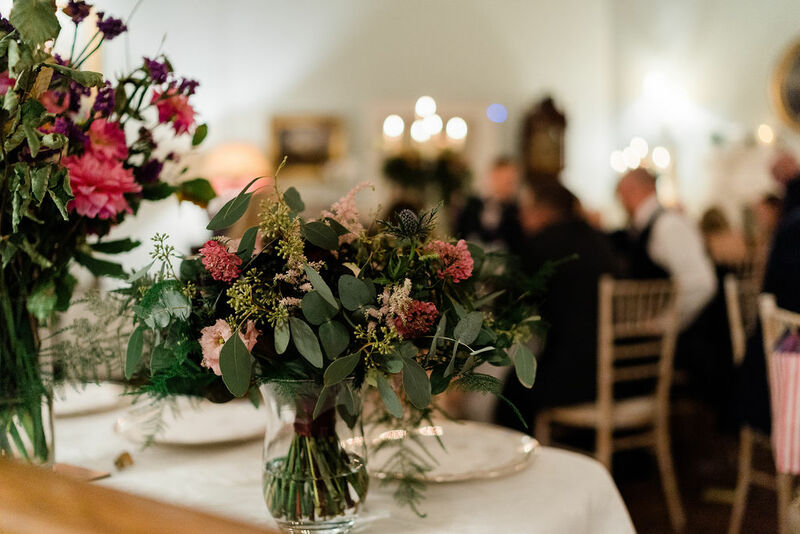 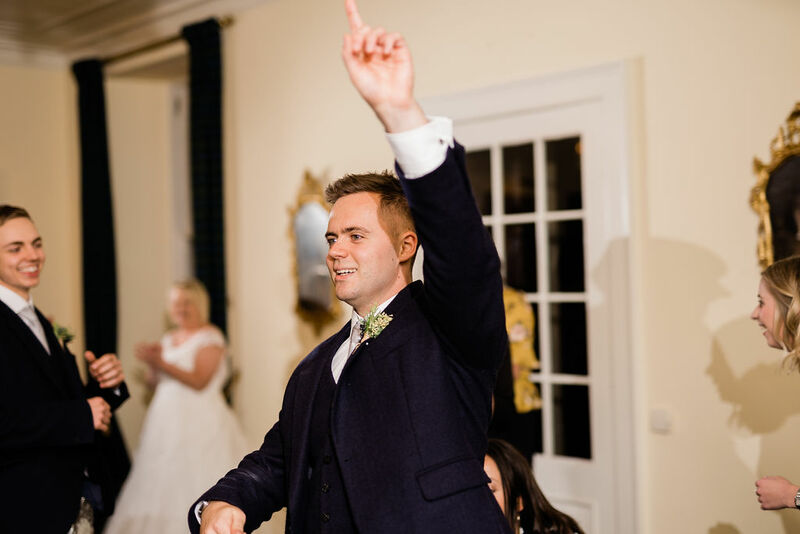 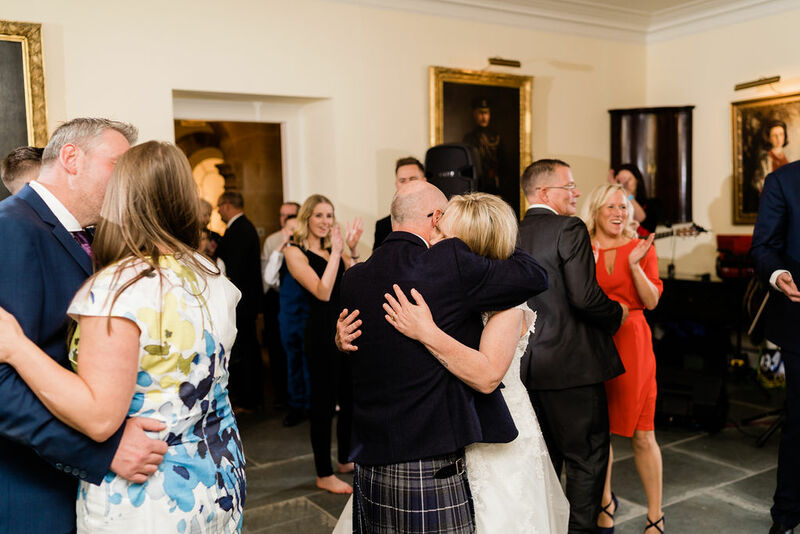 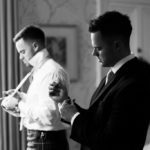 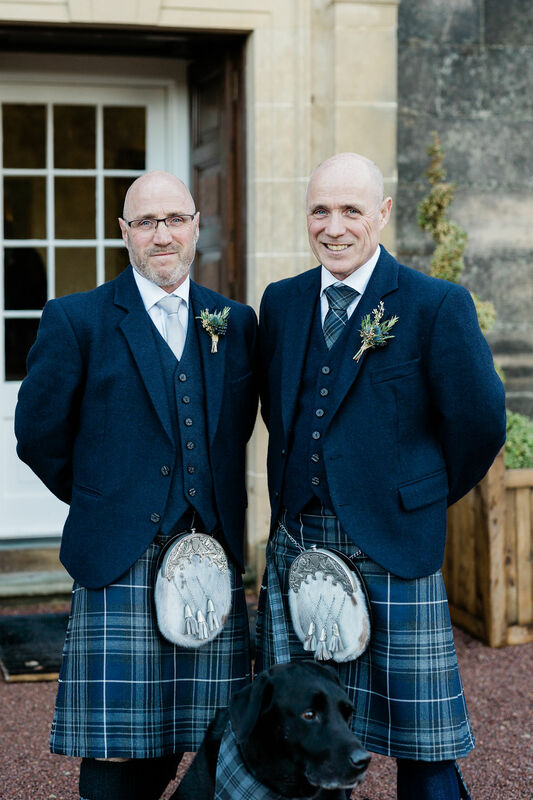 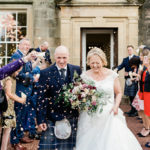 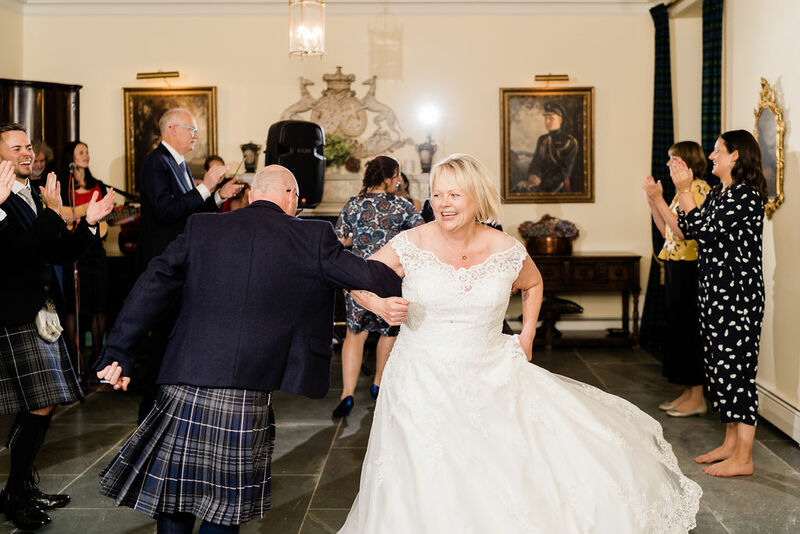 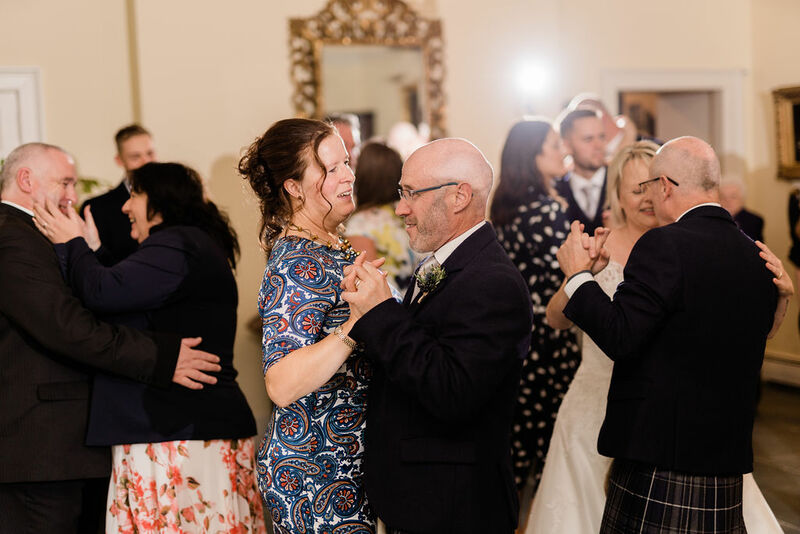 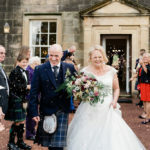 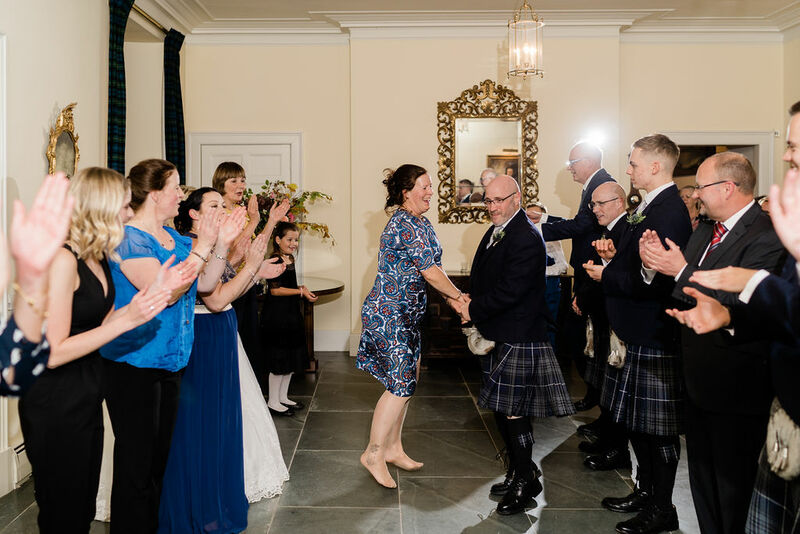 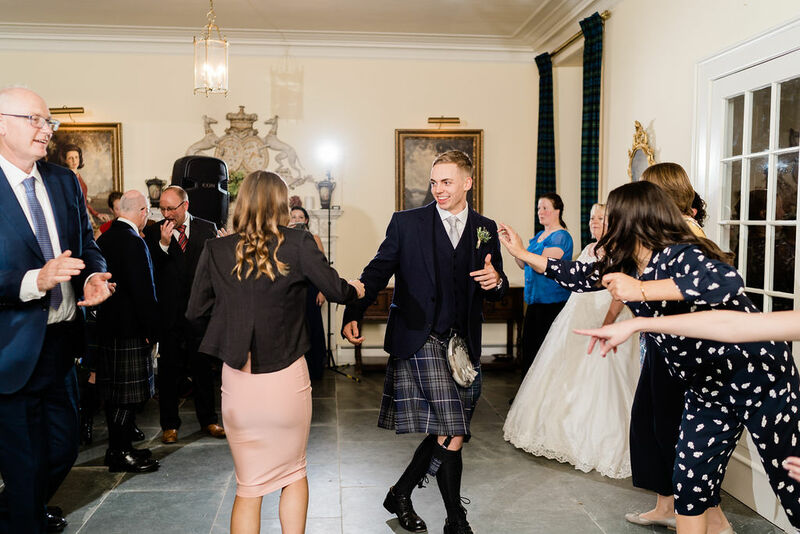 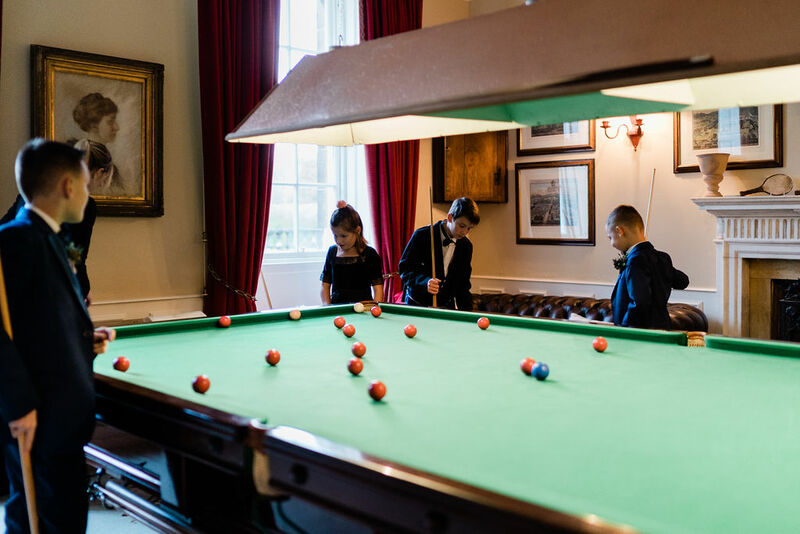 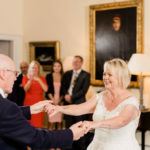 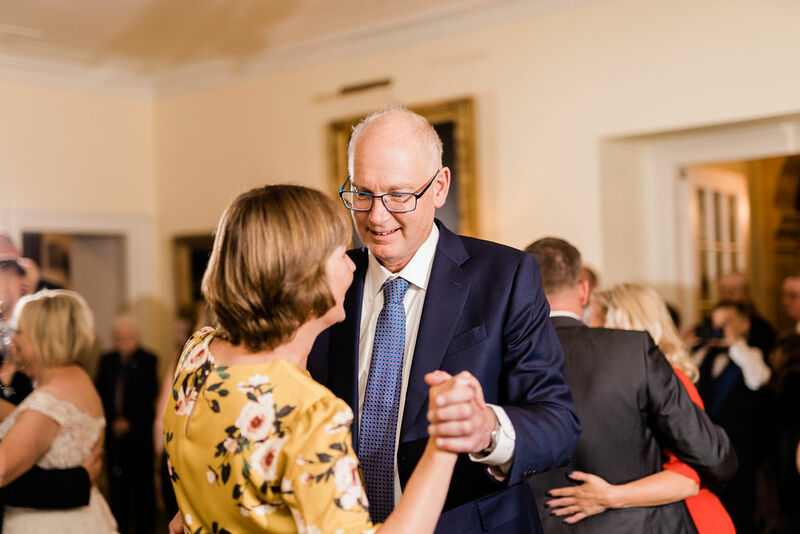 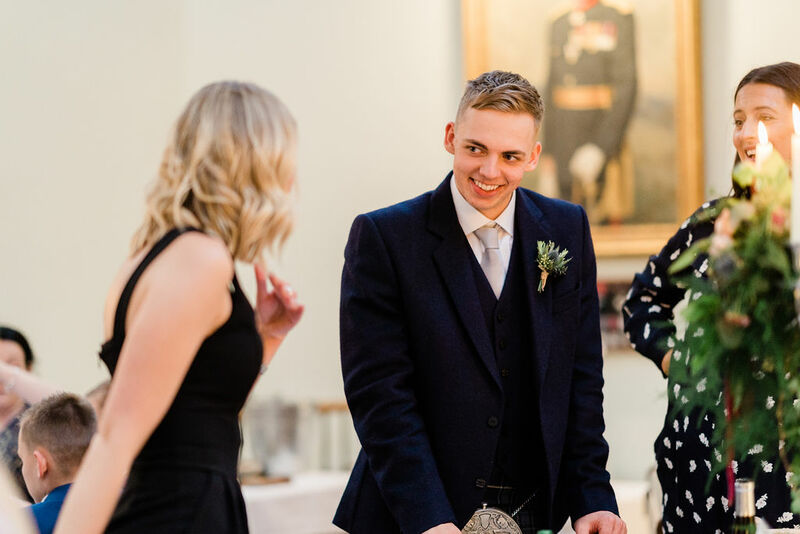 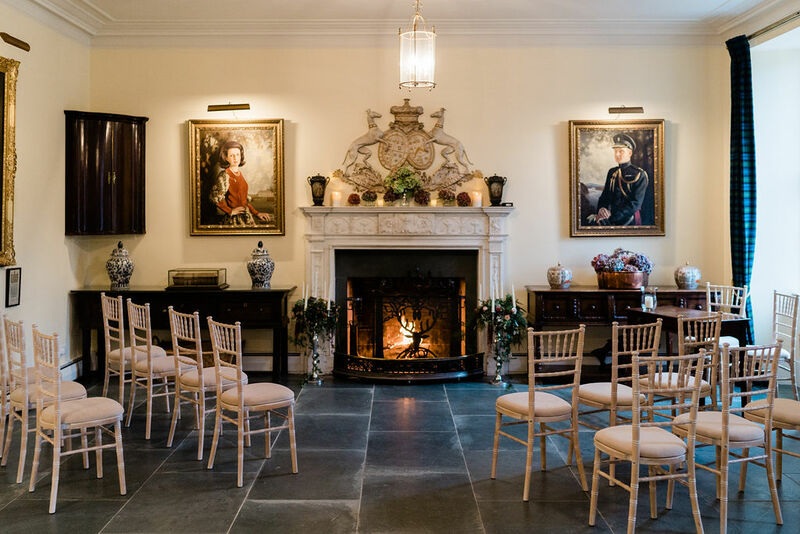 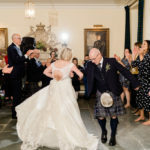 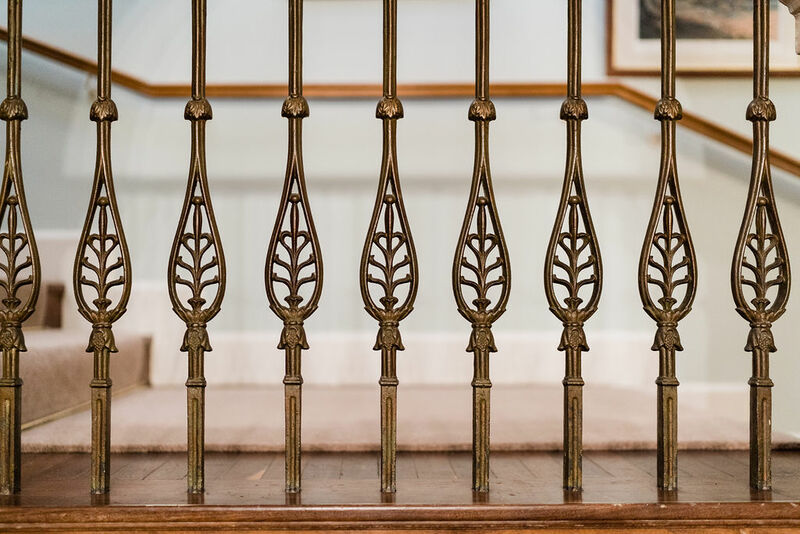 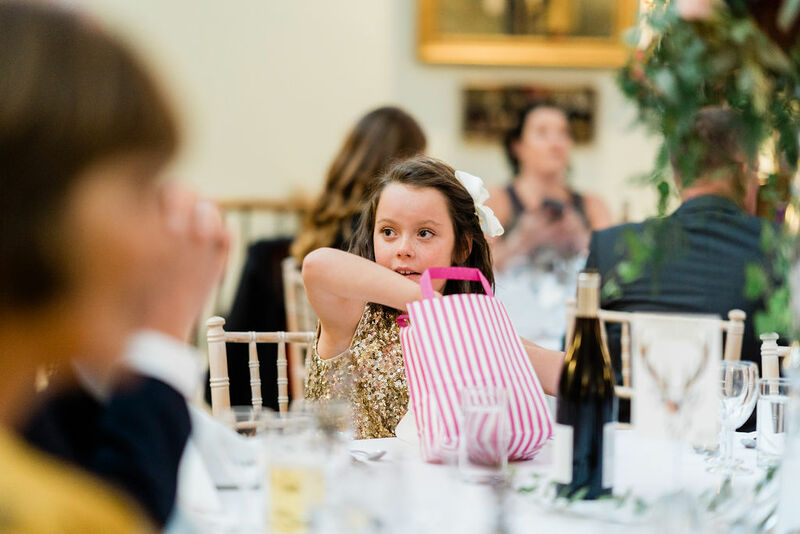 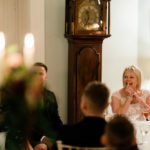 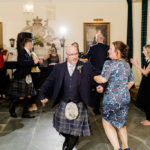 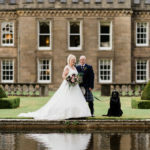 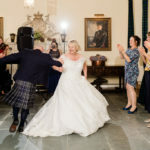 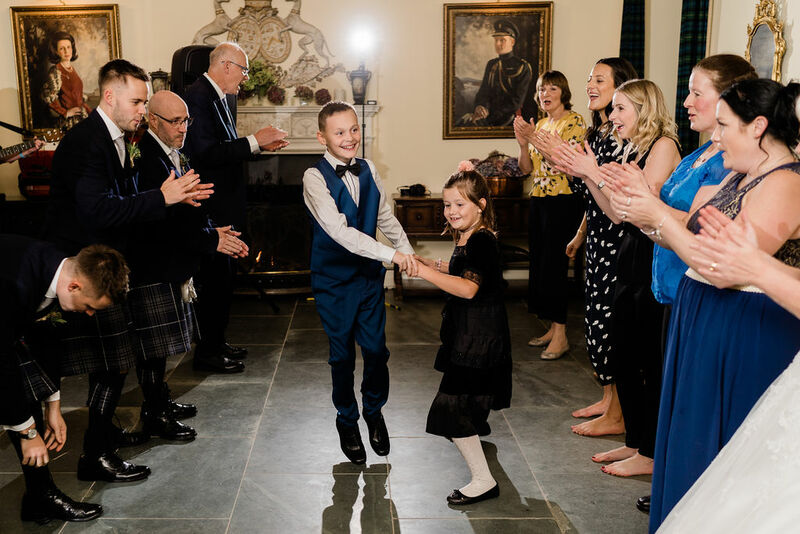 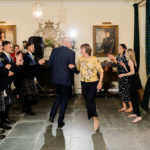 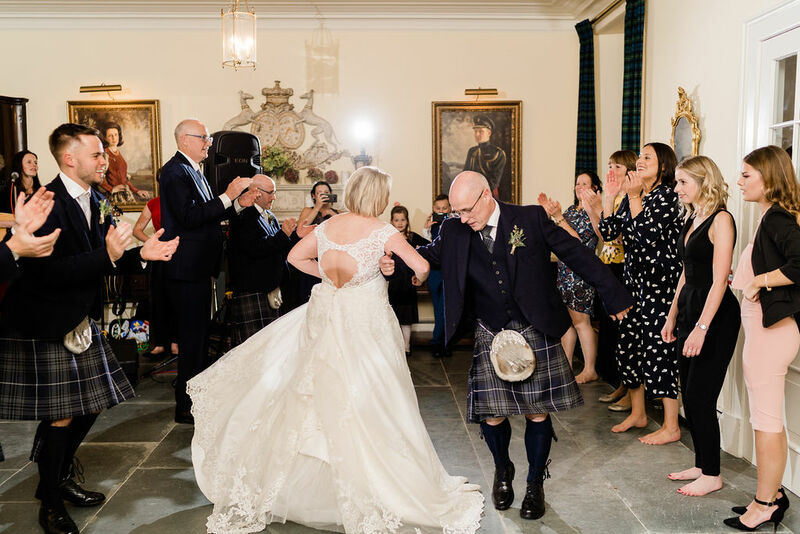 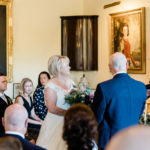 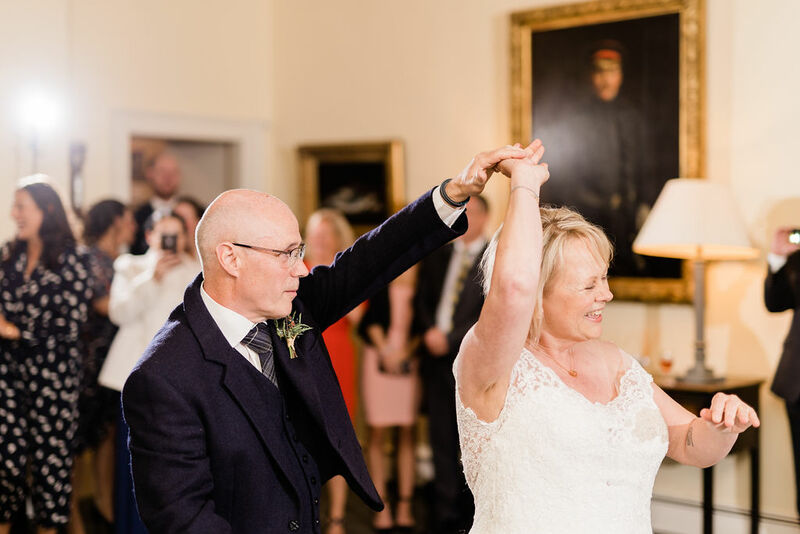 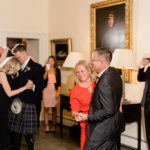 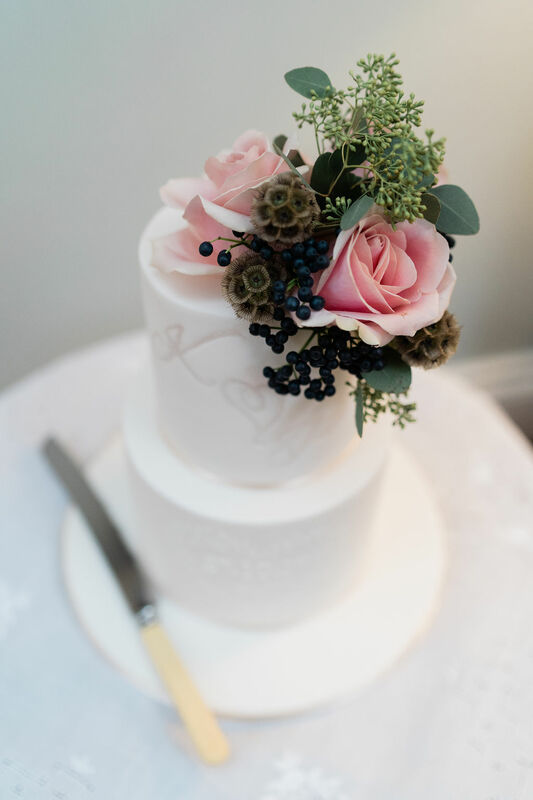 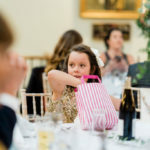 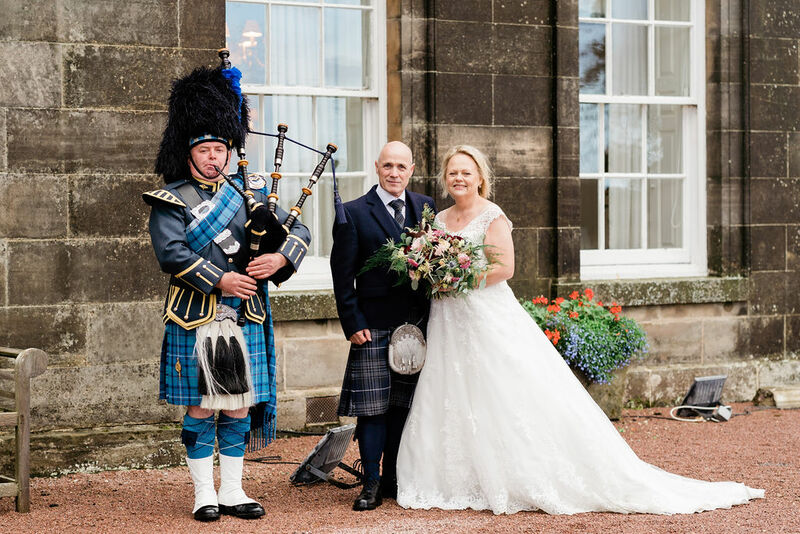 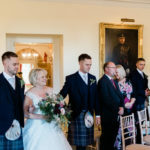 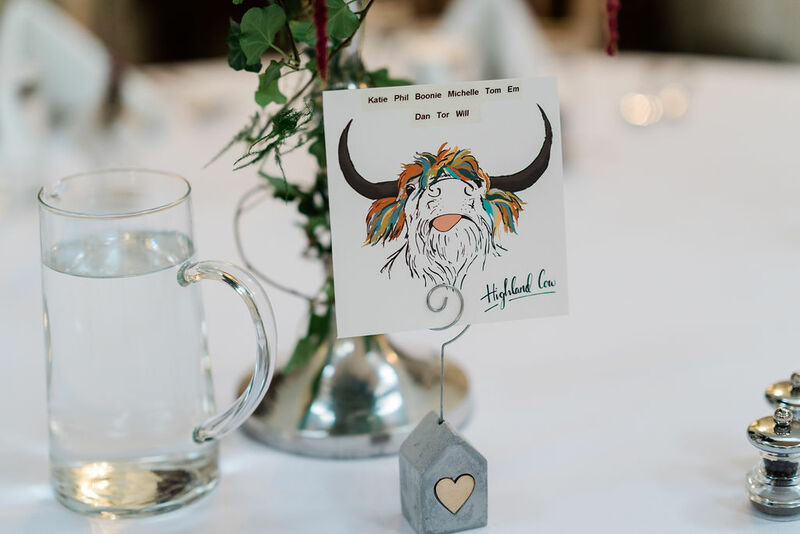 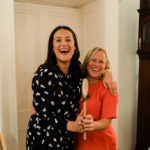 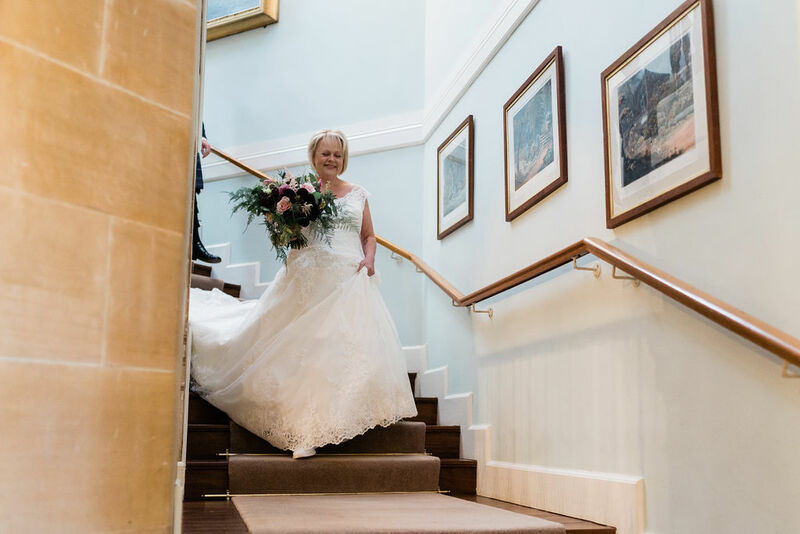 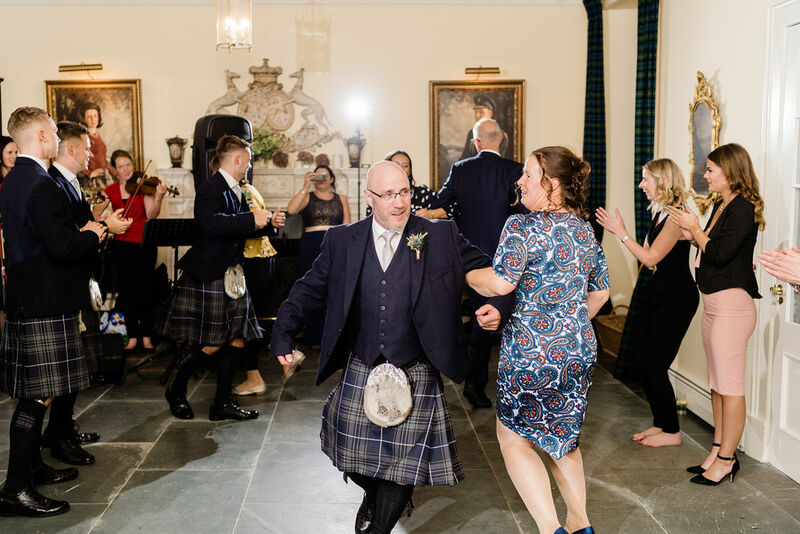 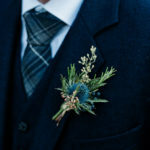 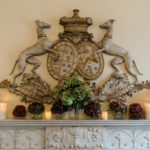 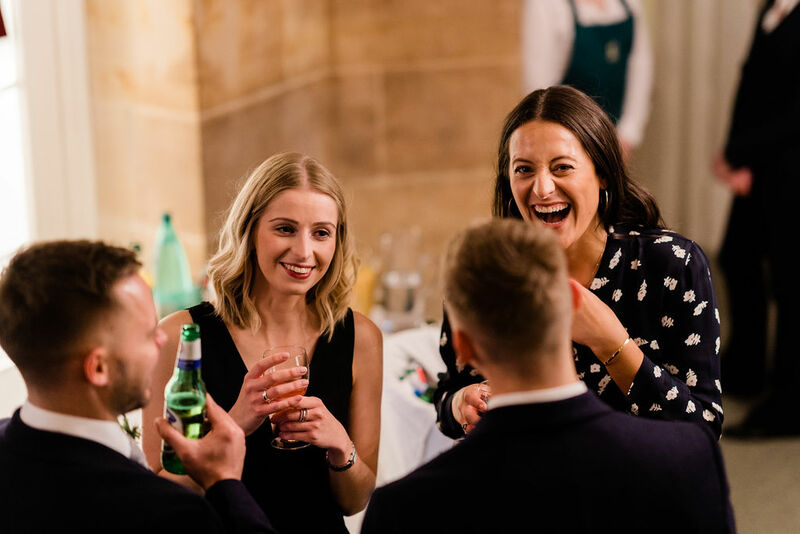 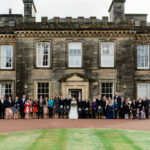 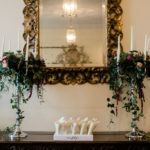 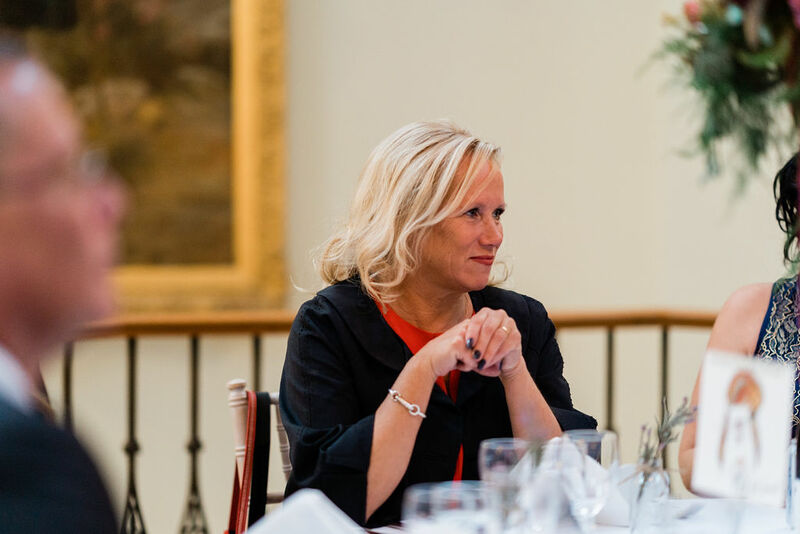 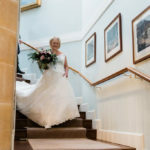 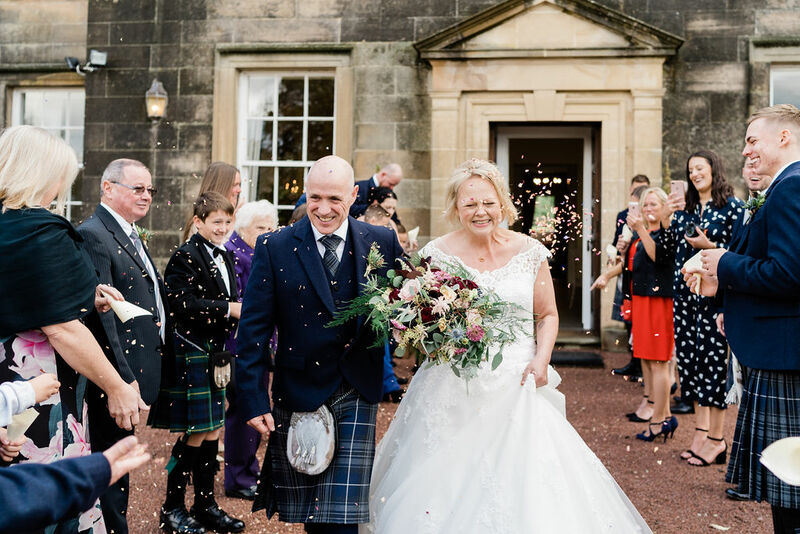 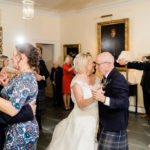 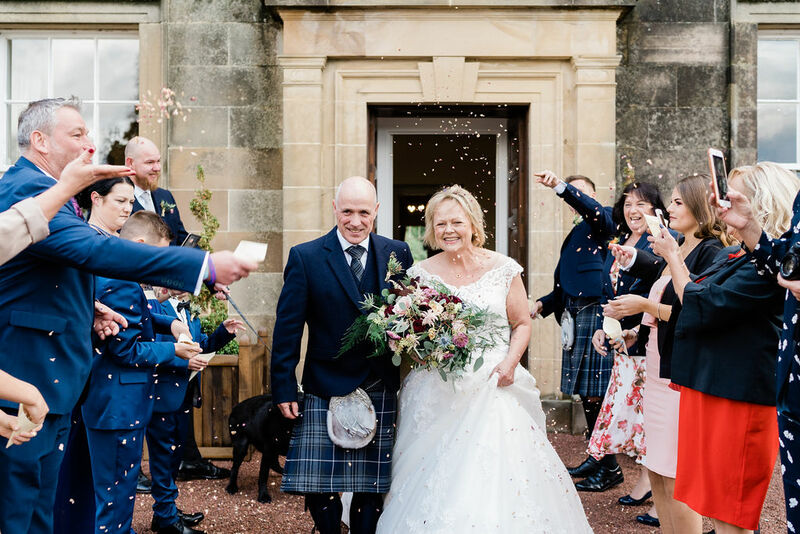 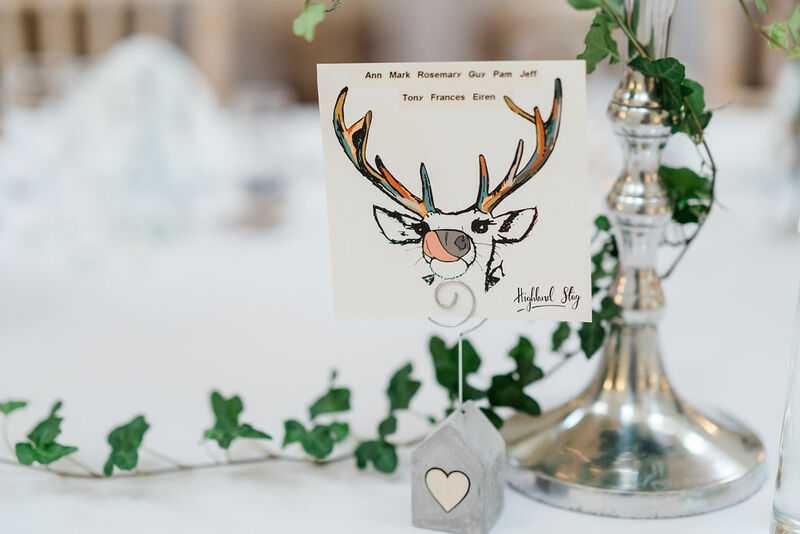 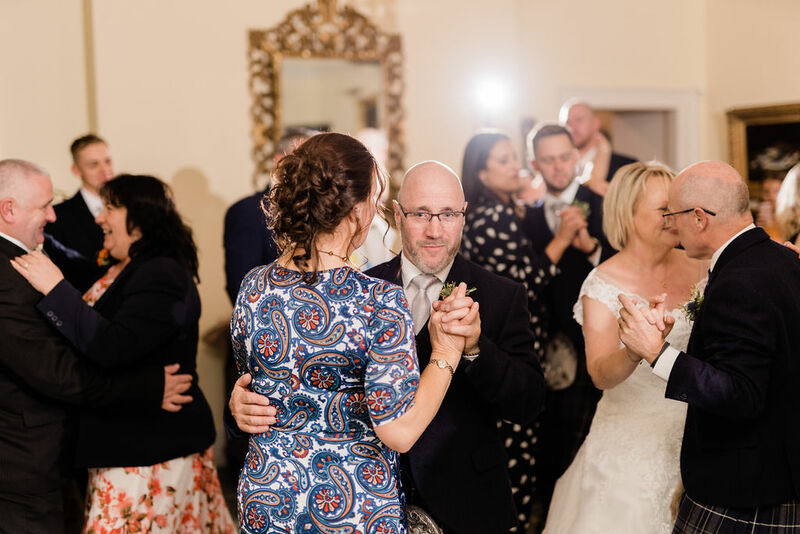 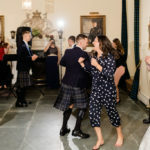 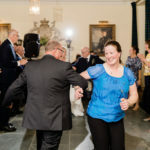 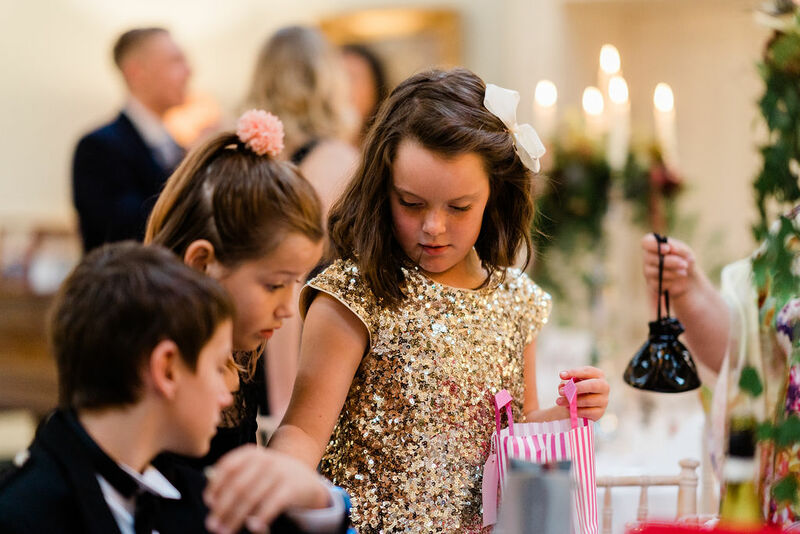 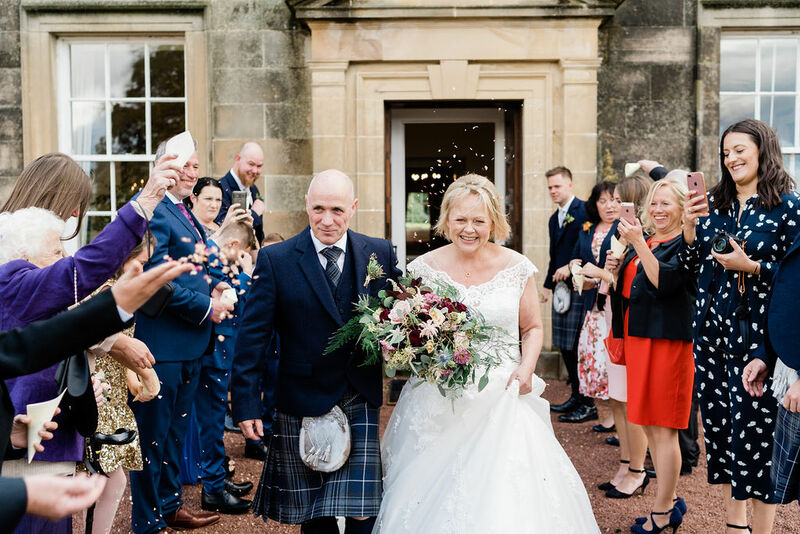 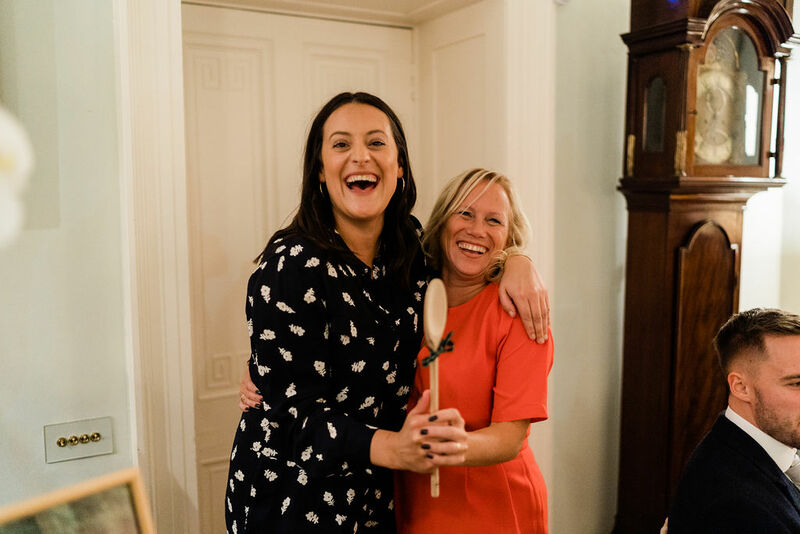 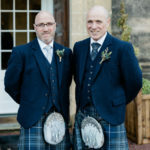 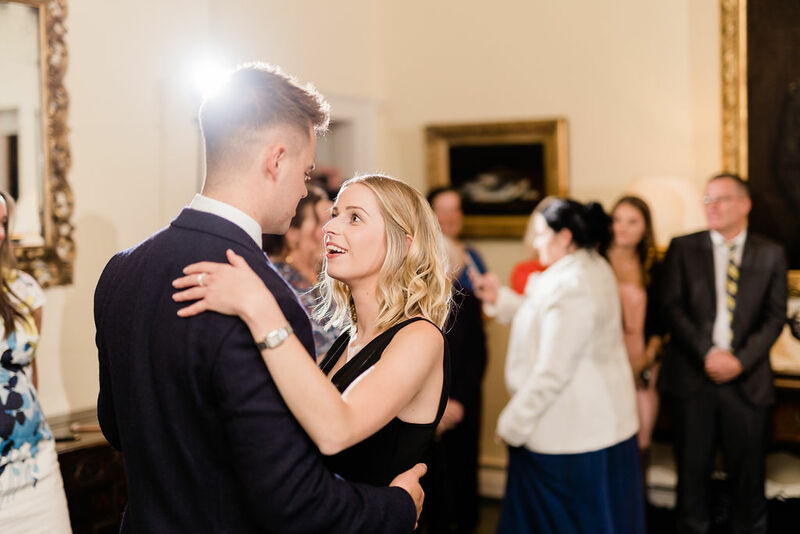 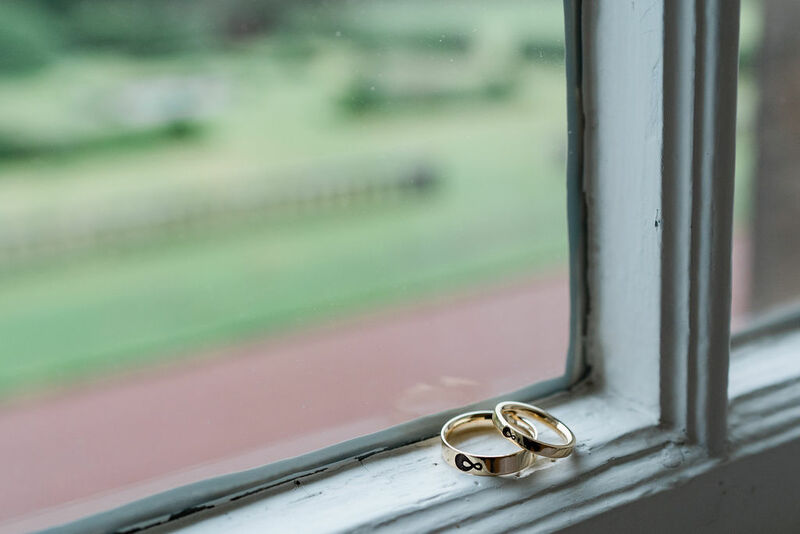 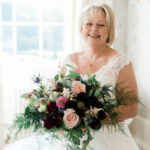 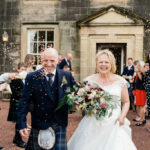 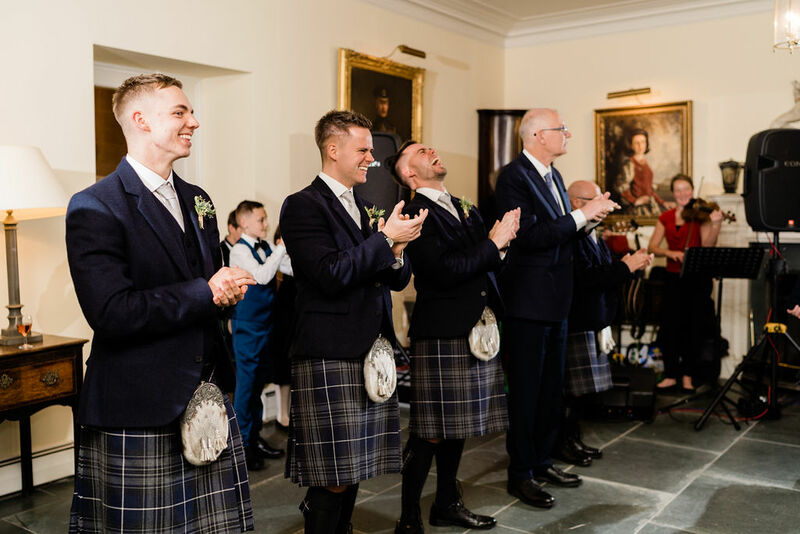 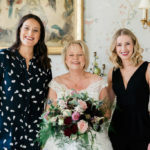 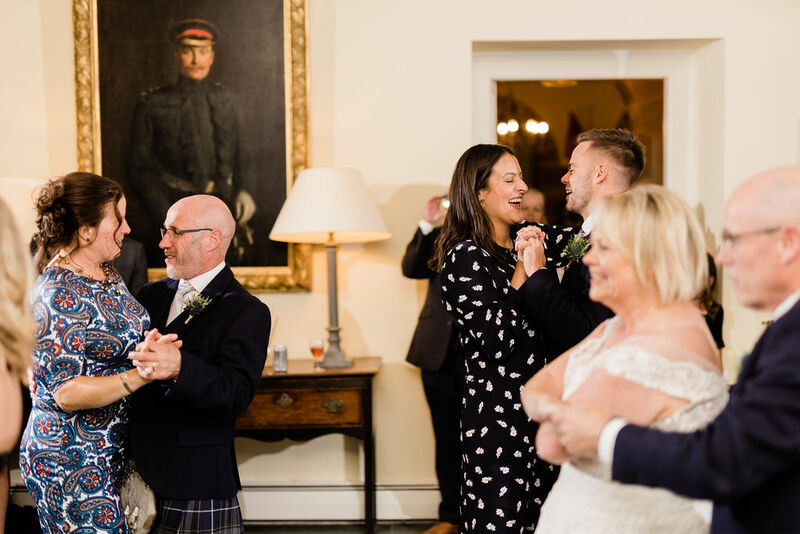 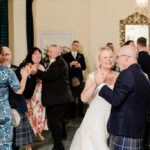 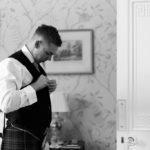 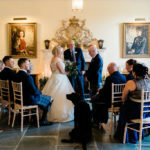 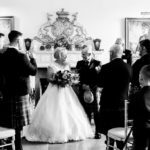 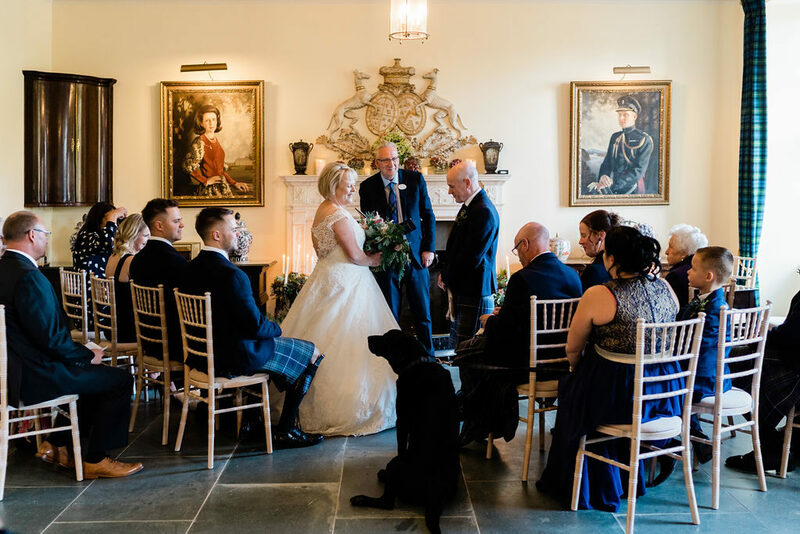 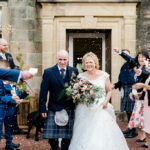 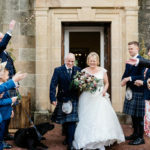 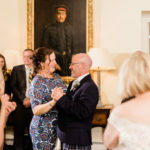 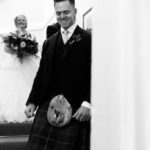 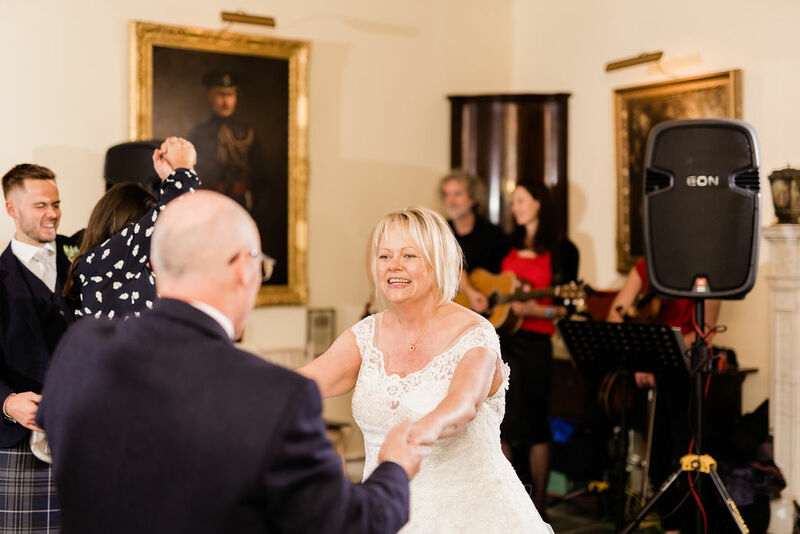 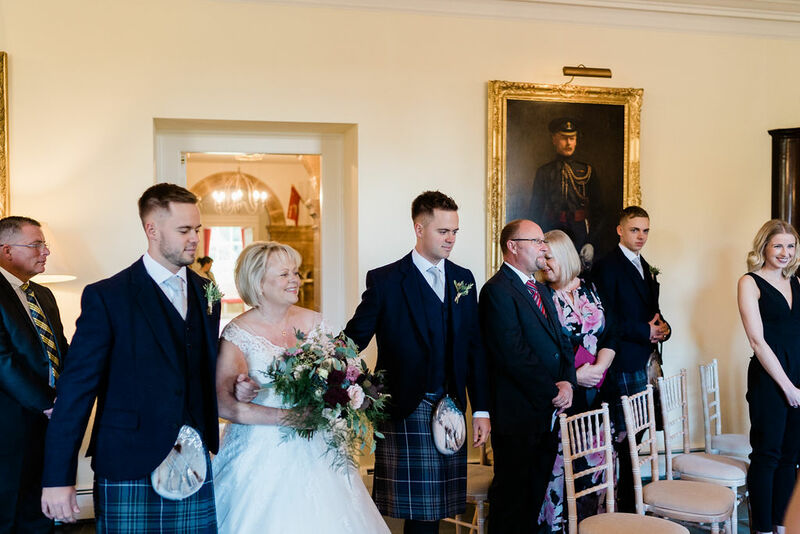 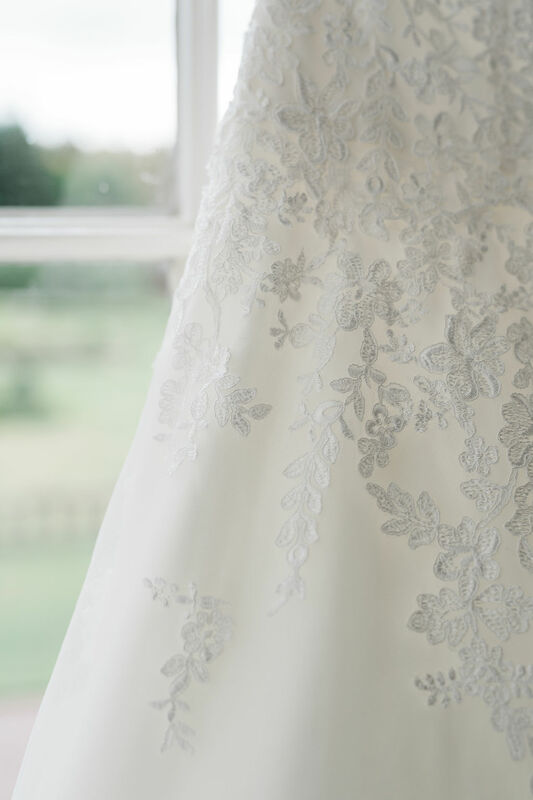 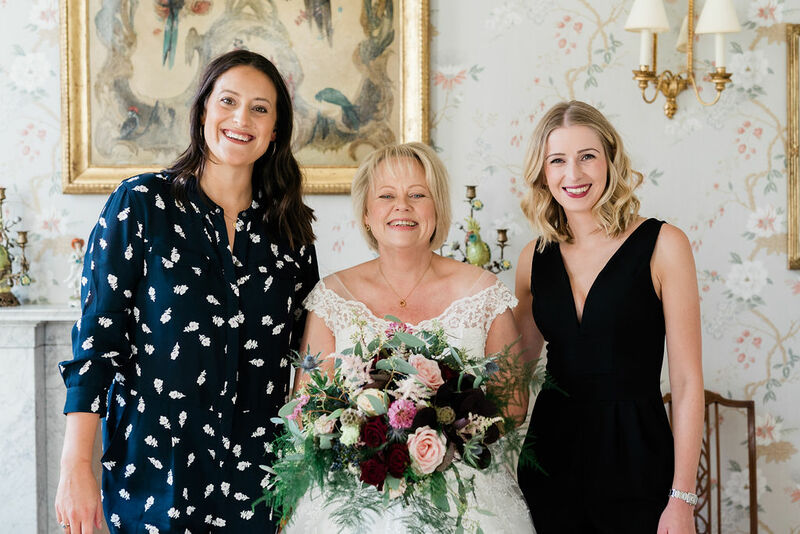 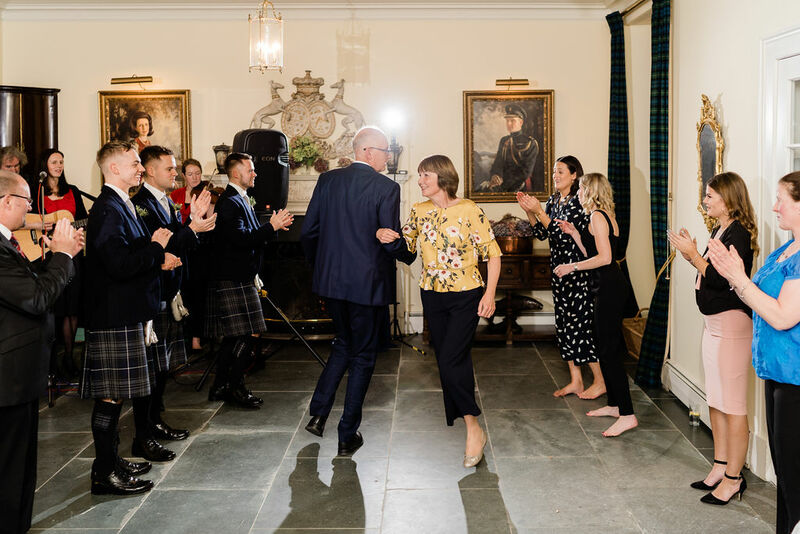 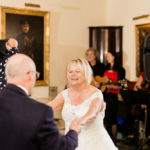 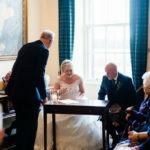 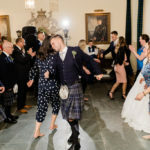 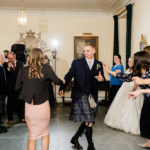 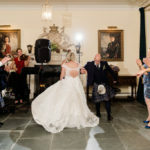 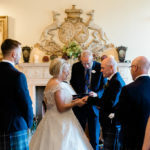 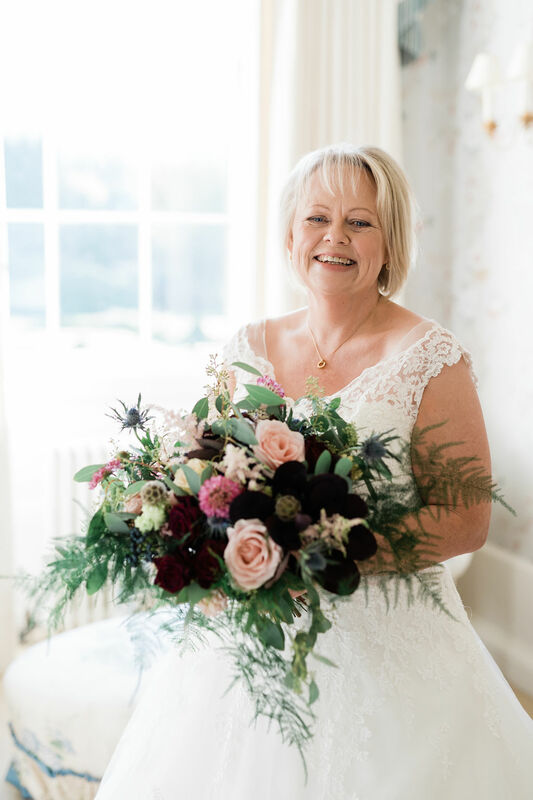 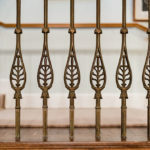 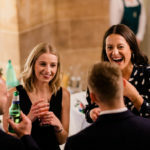 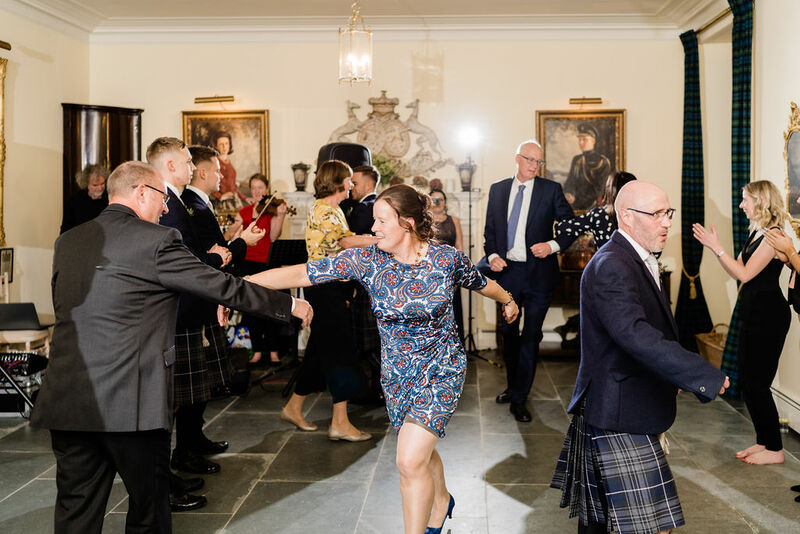 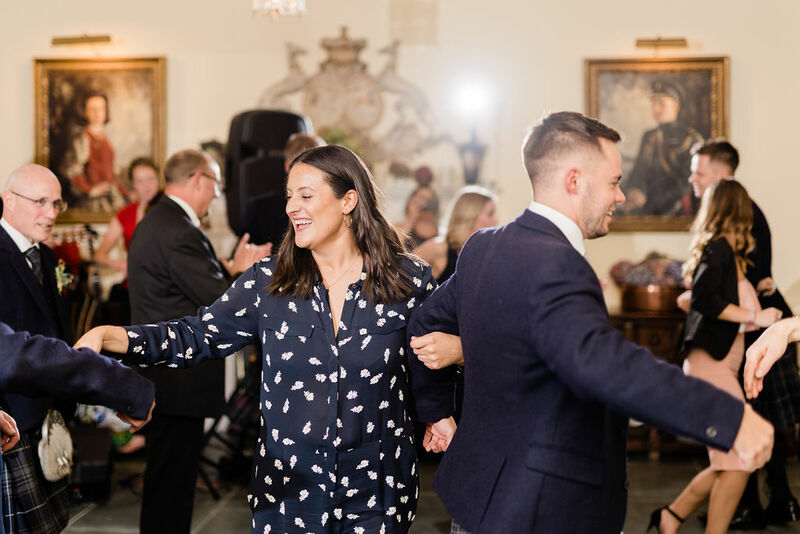 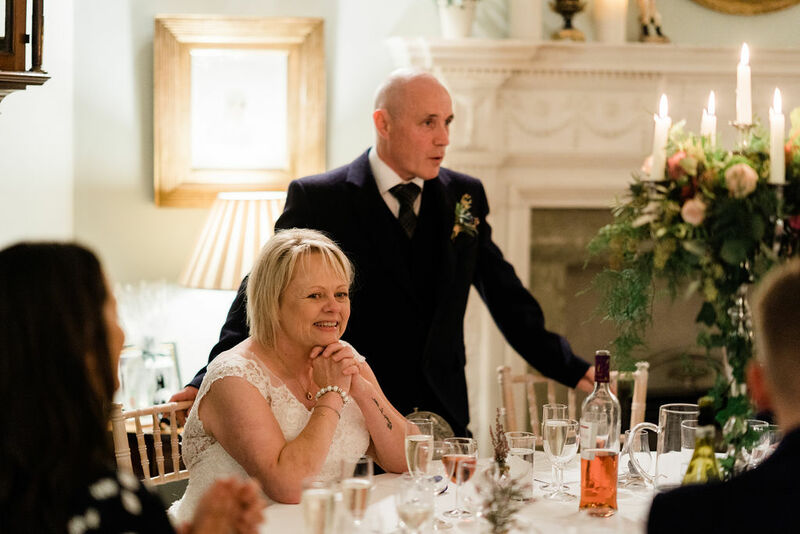 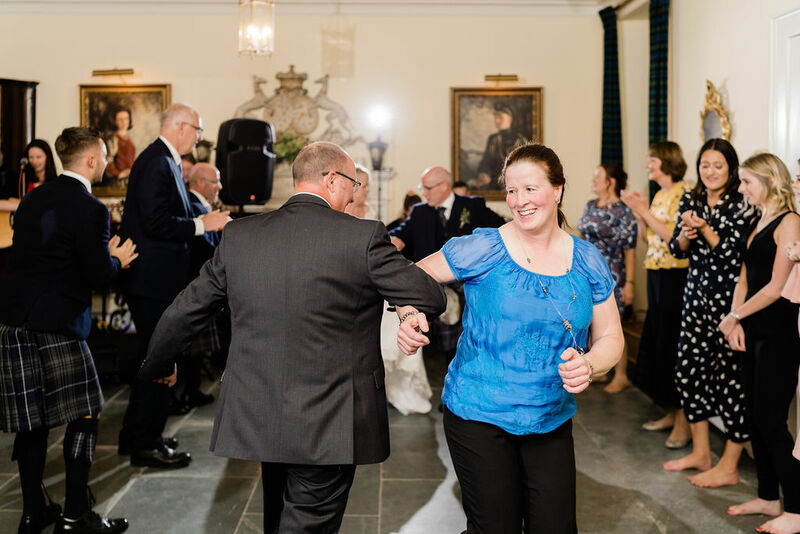 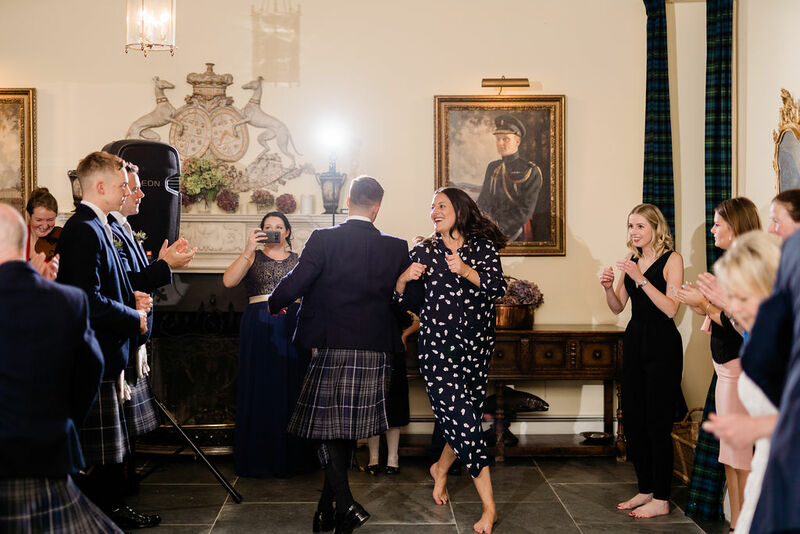 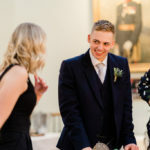 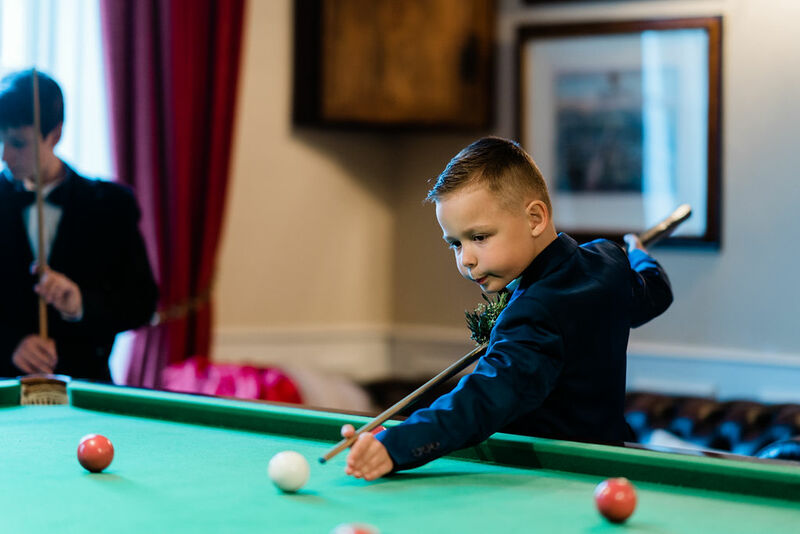 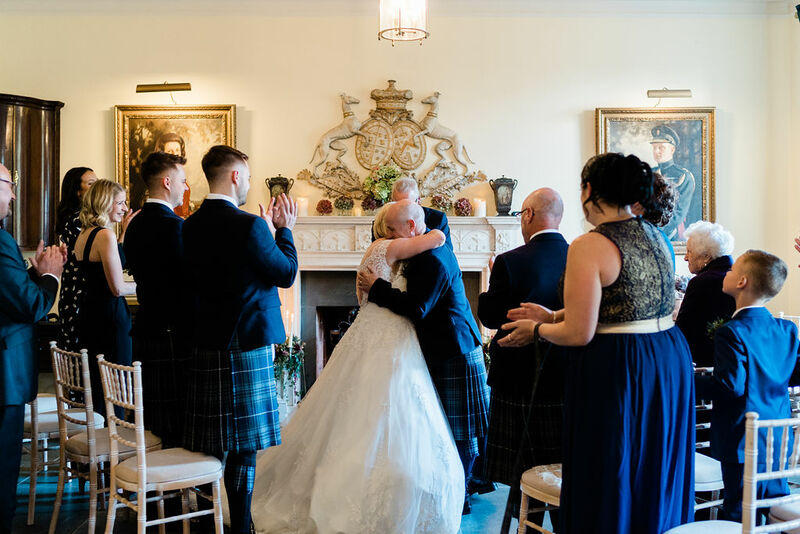 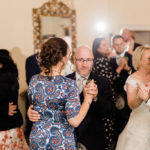 We thought that being able to stay at the castle the night before our wedding was a massive bonus as it allowed our families to stay and have a wonderful meal in the evening then relax in a family environment. 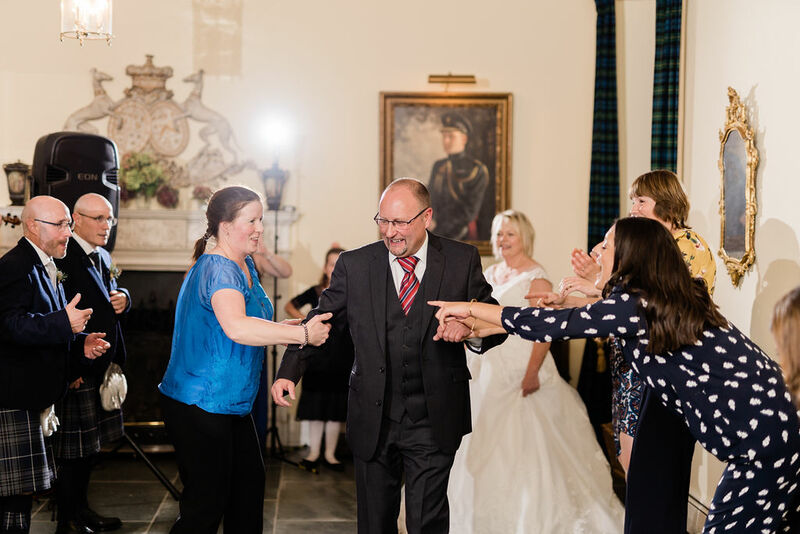 We would also like to say thank you to all the staff who helped to provide us with a truly magical wedding. 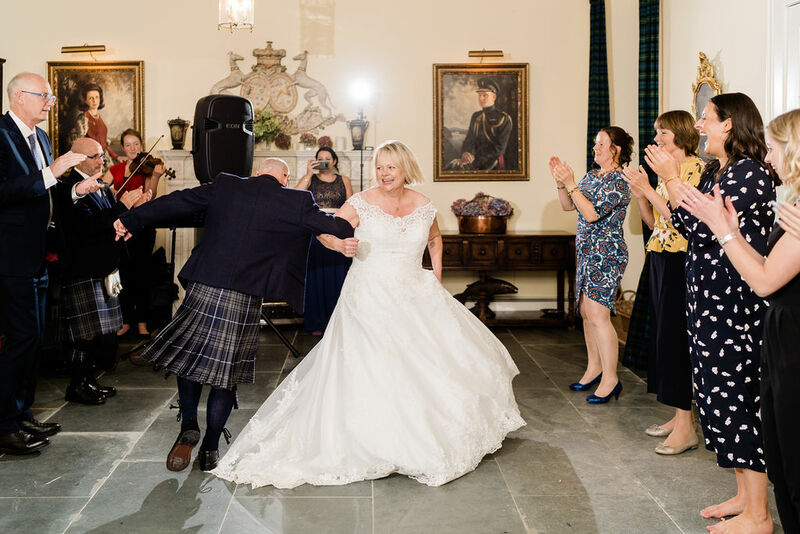 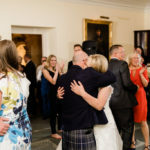 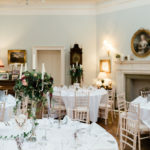 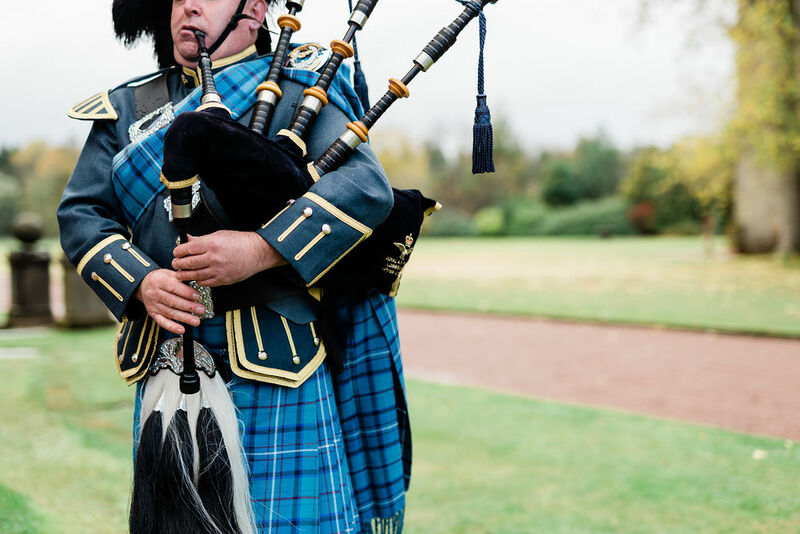 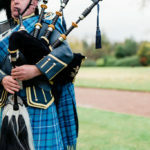 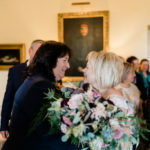 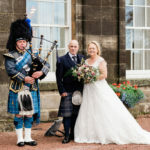 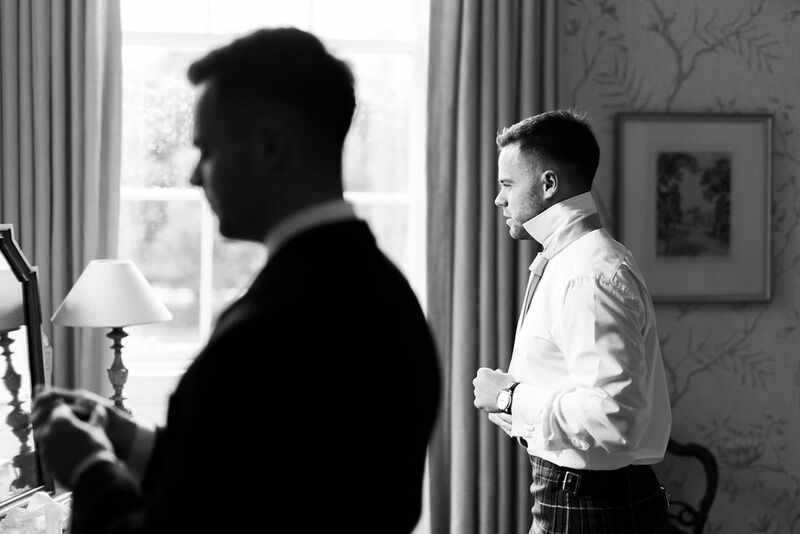 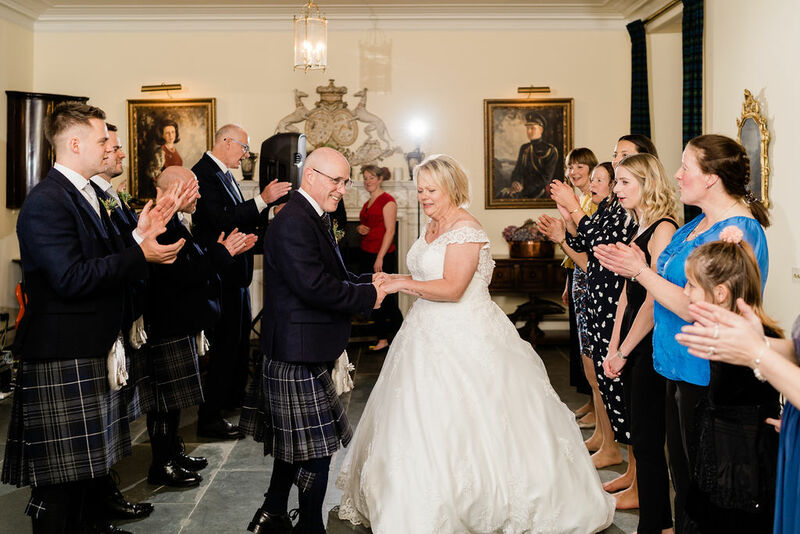 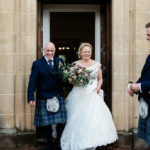 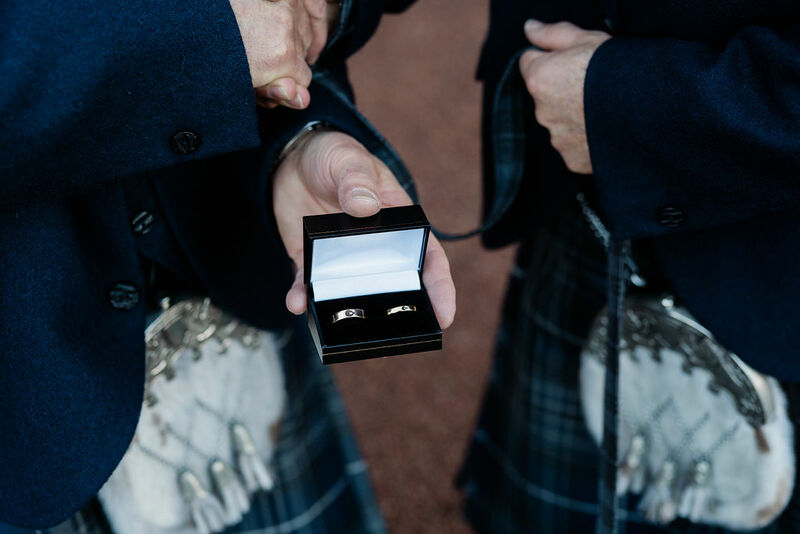 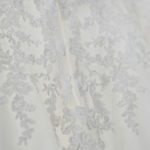 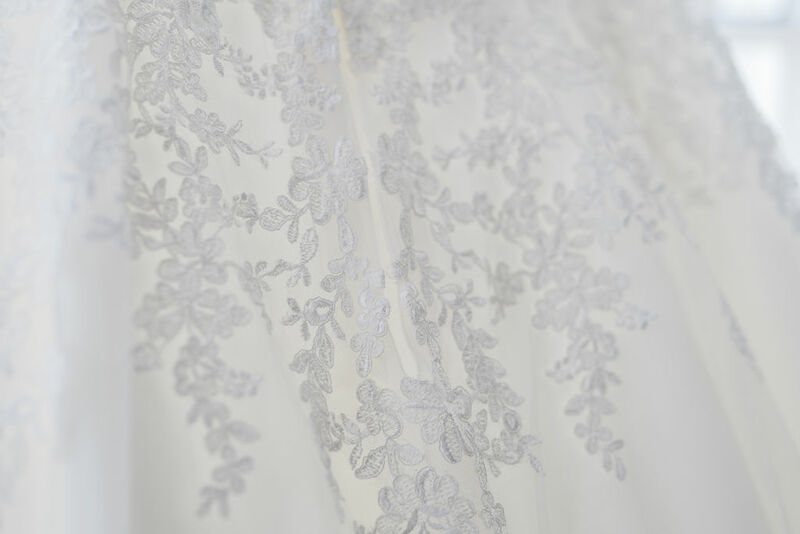 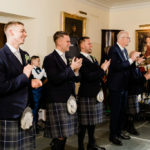 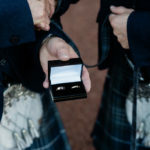 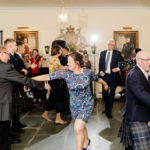 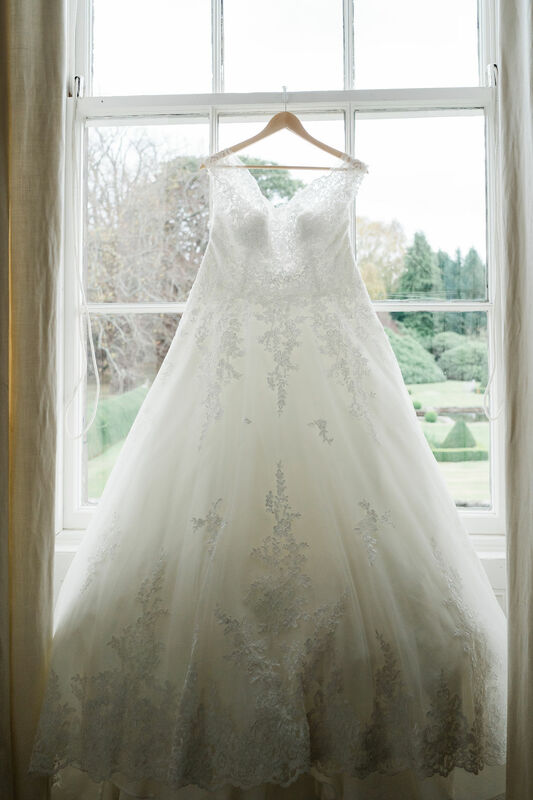 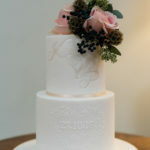 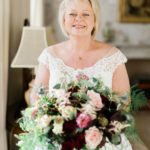 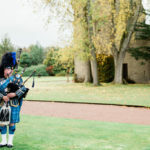 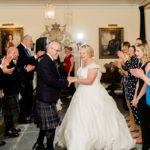 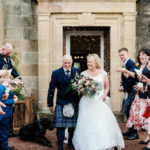 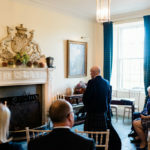 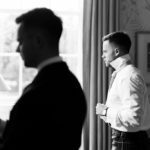 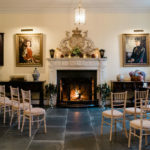 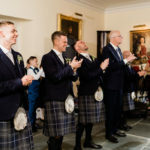 Discover your perfect wedding at Gordon Castle. 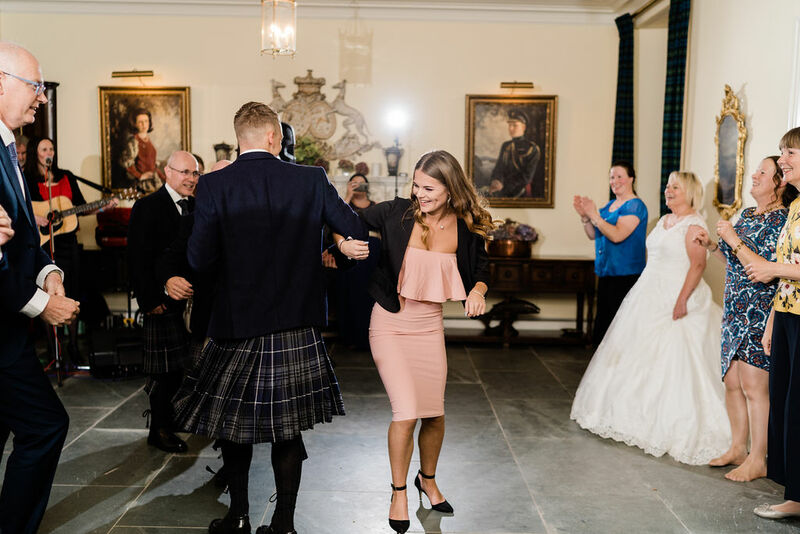 I can honestly say it was the most fantastic weekend. 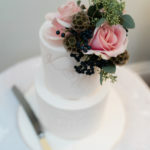 From getting there and being greeted by friendly staff, to leaving after a fabulous breakfast. 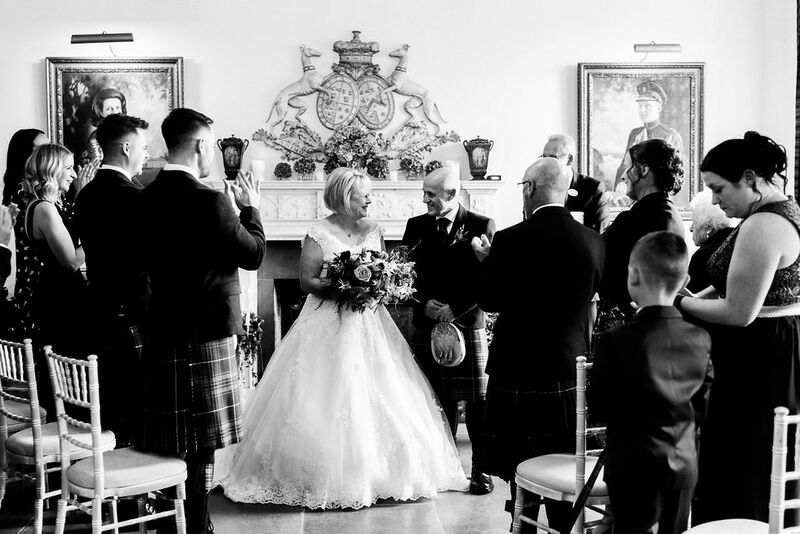 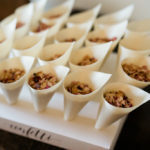 The setting and service was second to none. 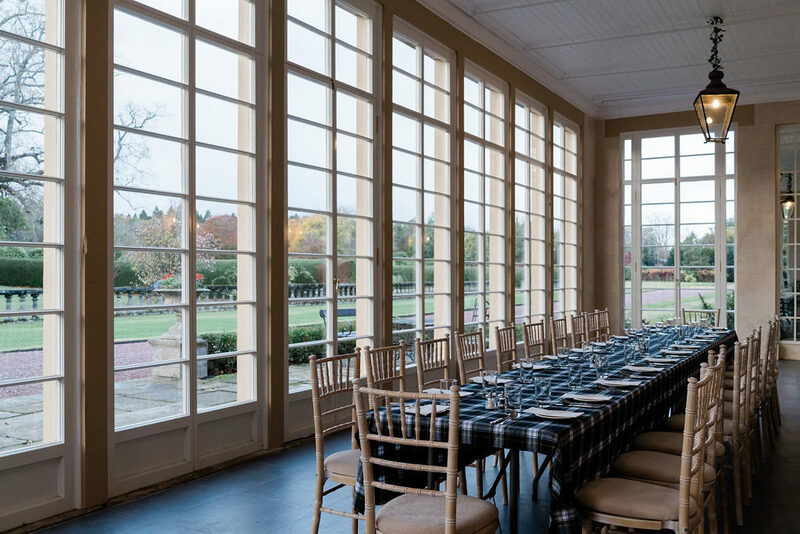 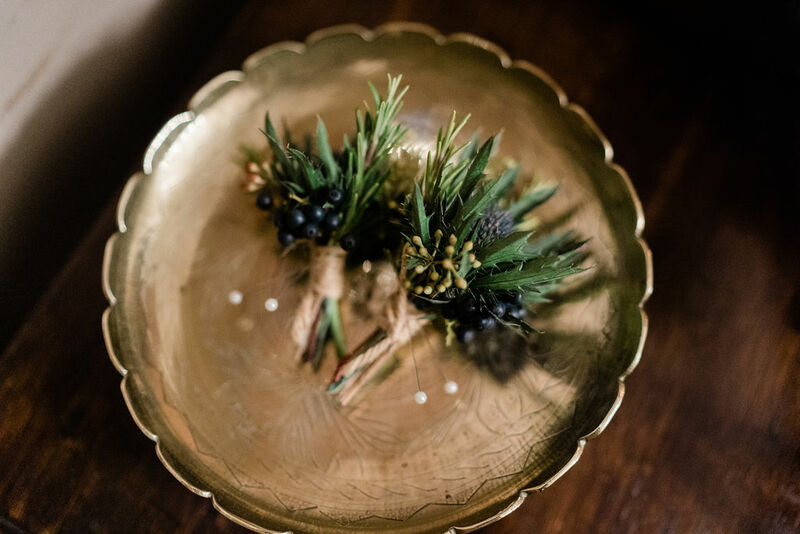 A brilliant place to hold a wedding, or any special occasion. 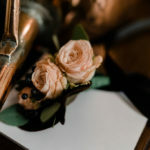 Thank you so much what a wonderful review!